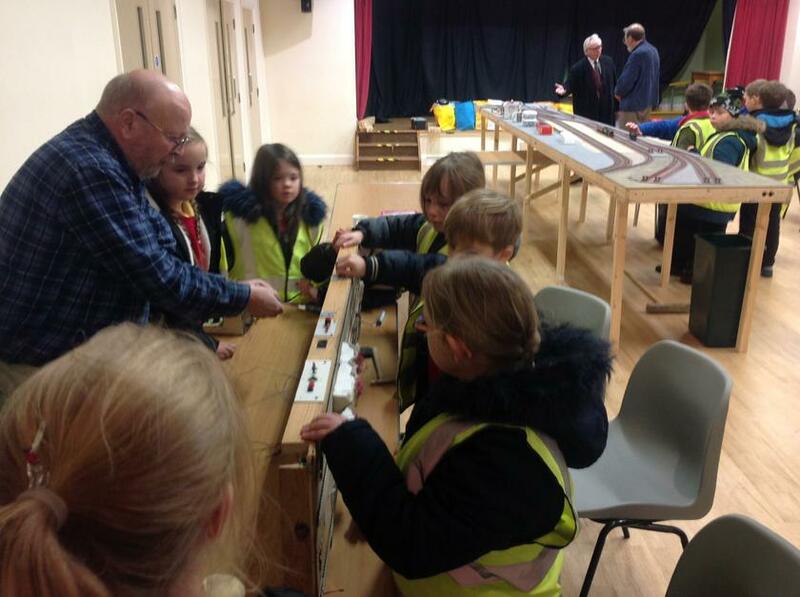 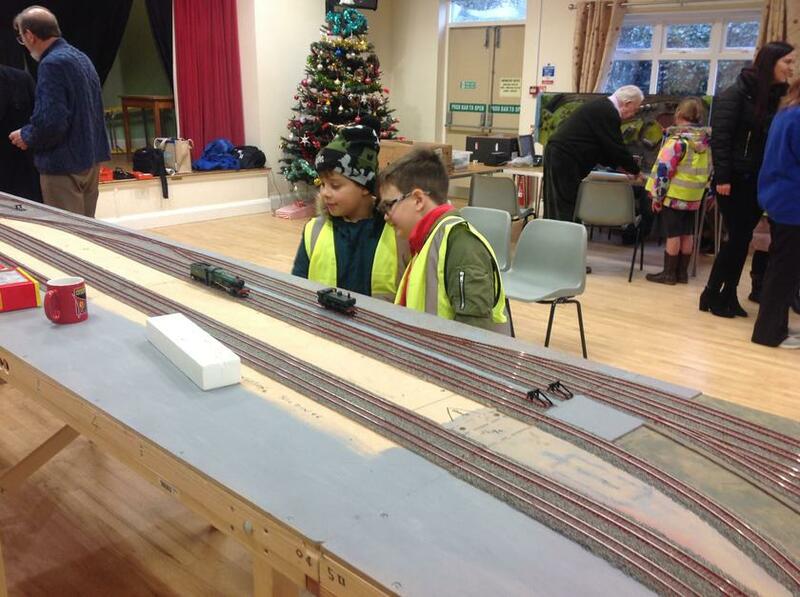 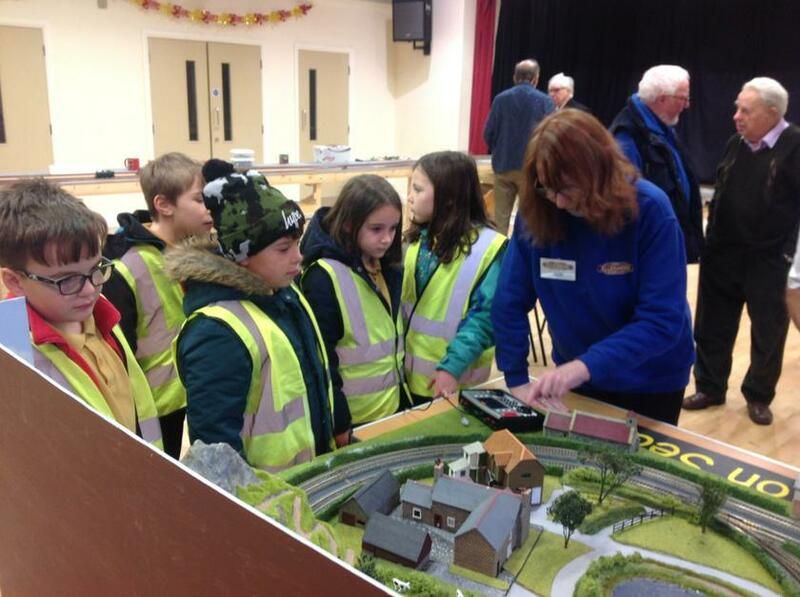 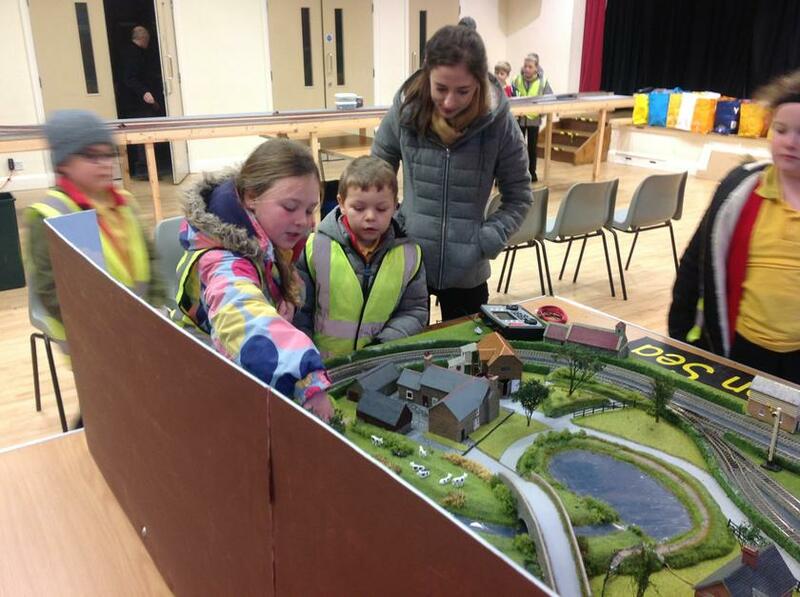 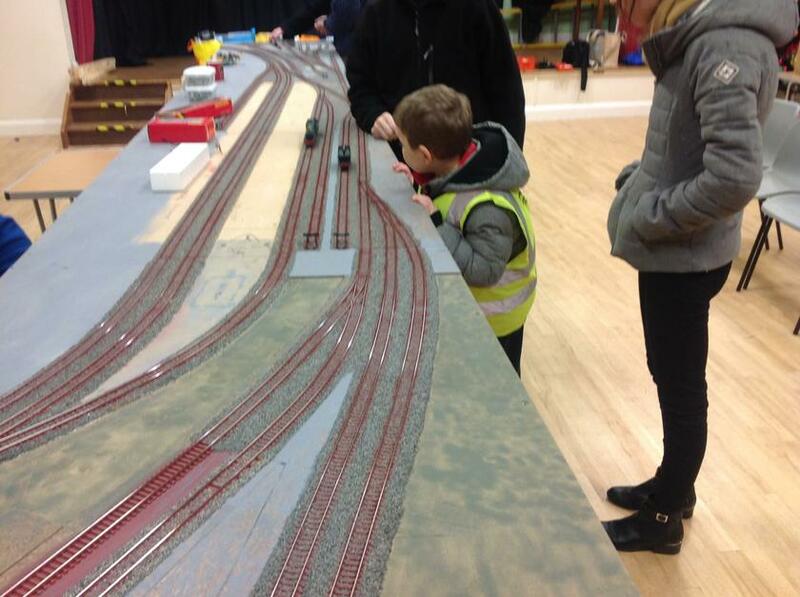 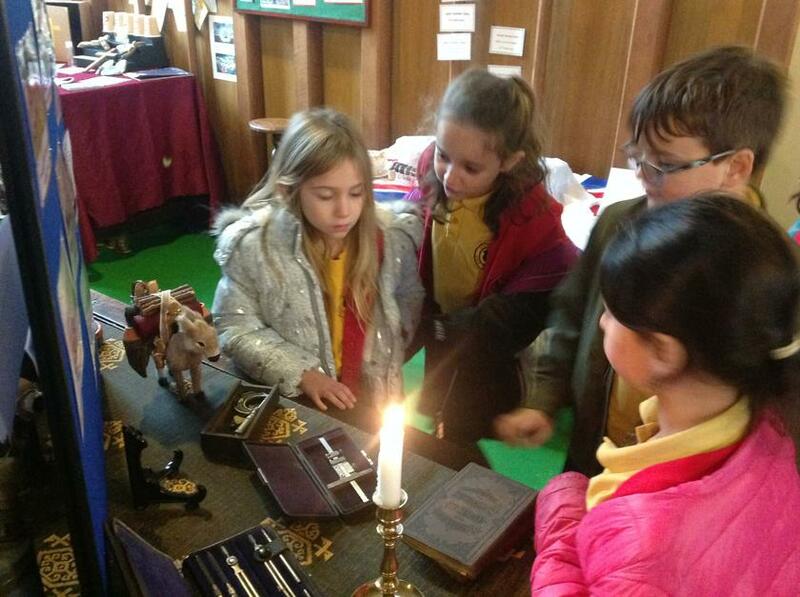 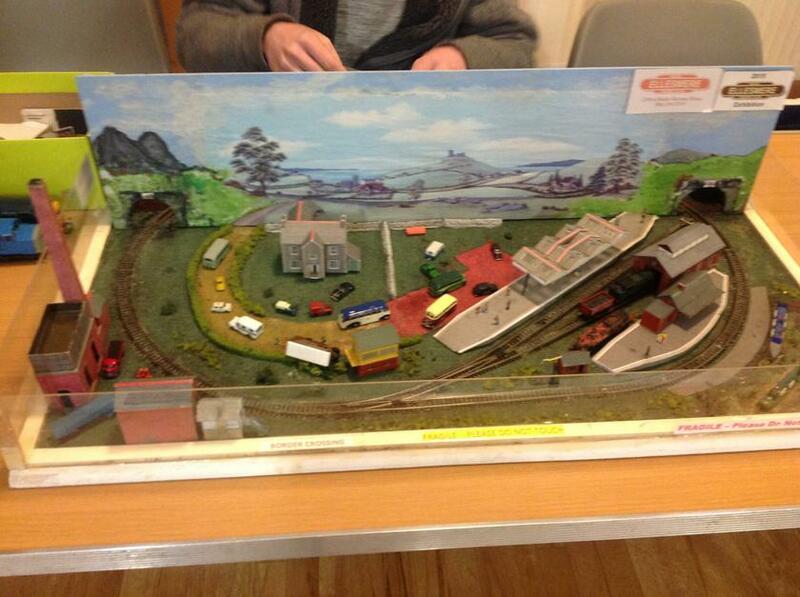 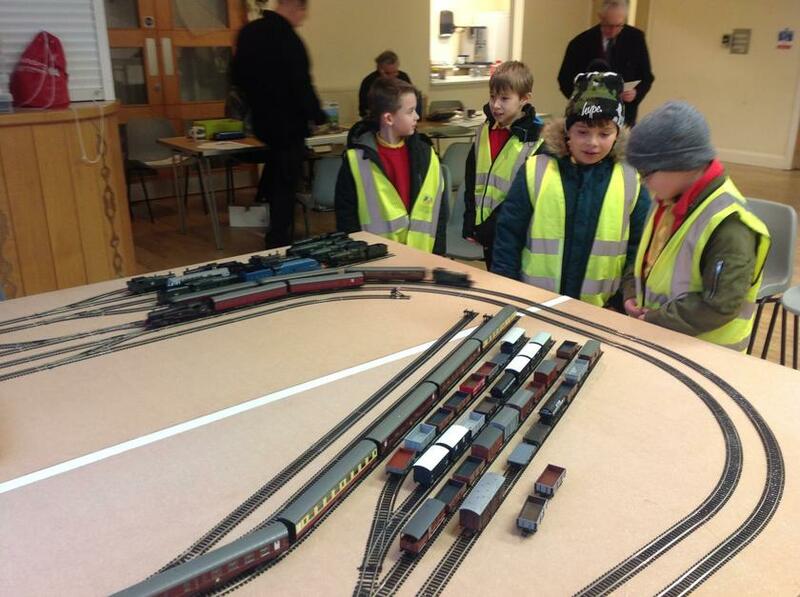 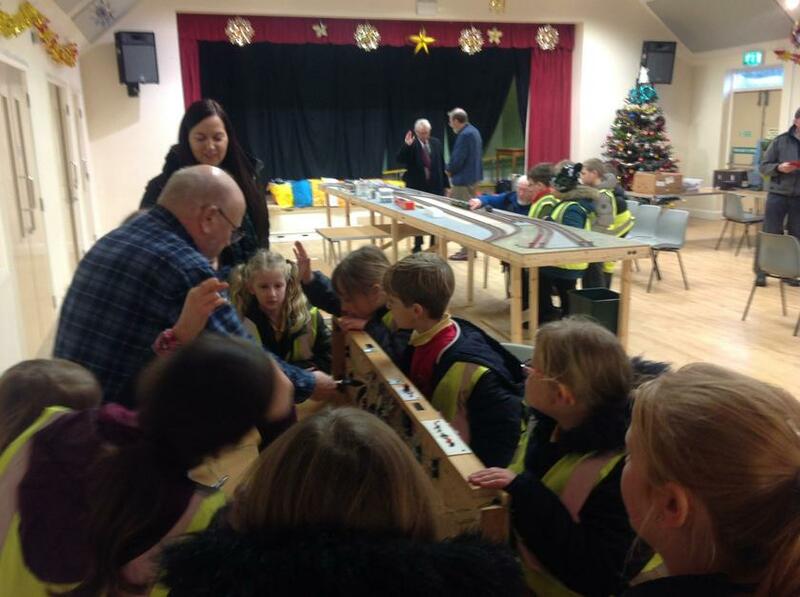 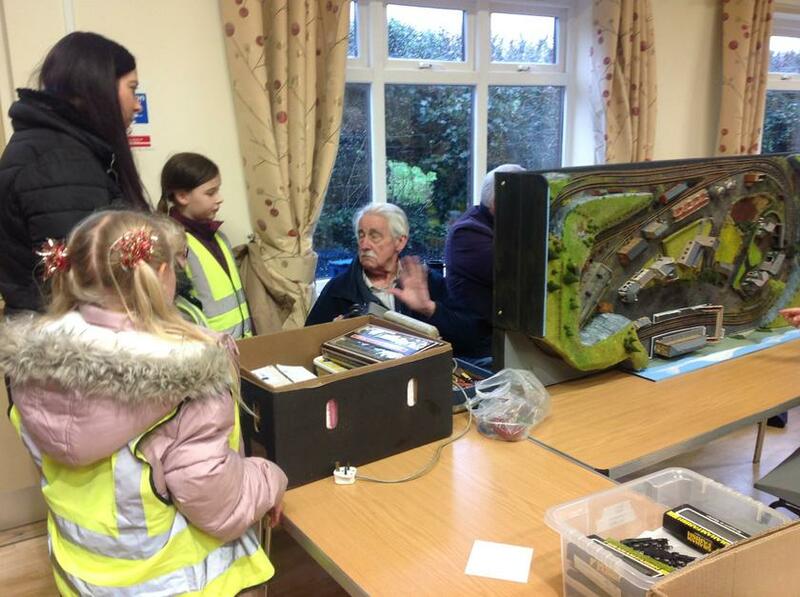 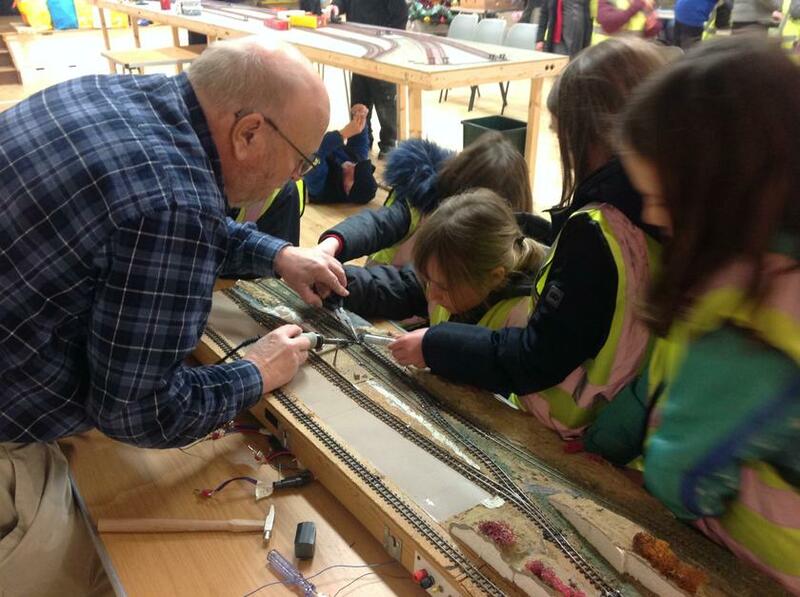 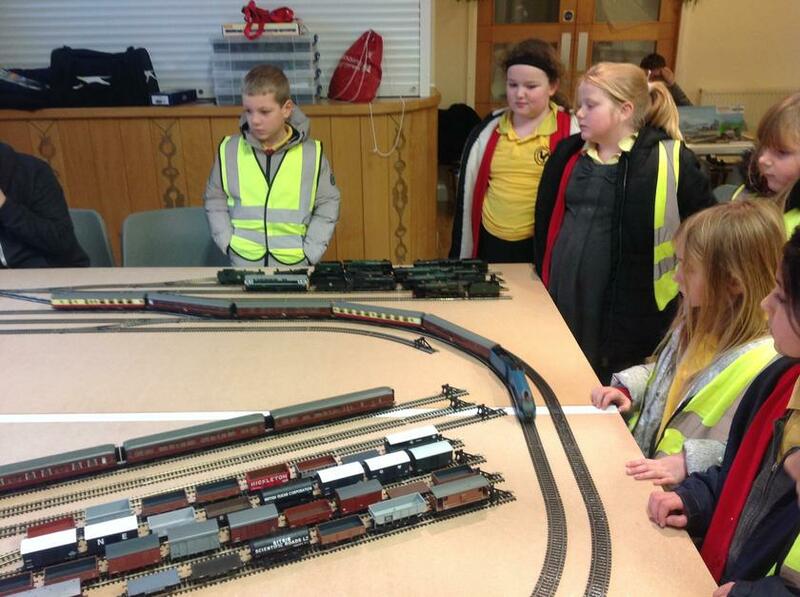 Ash class enjoyed the opportunity to visit the Model Train Society exhibition. 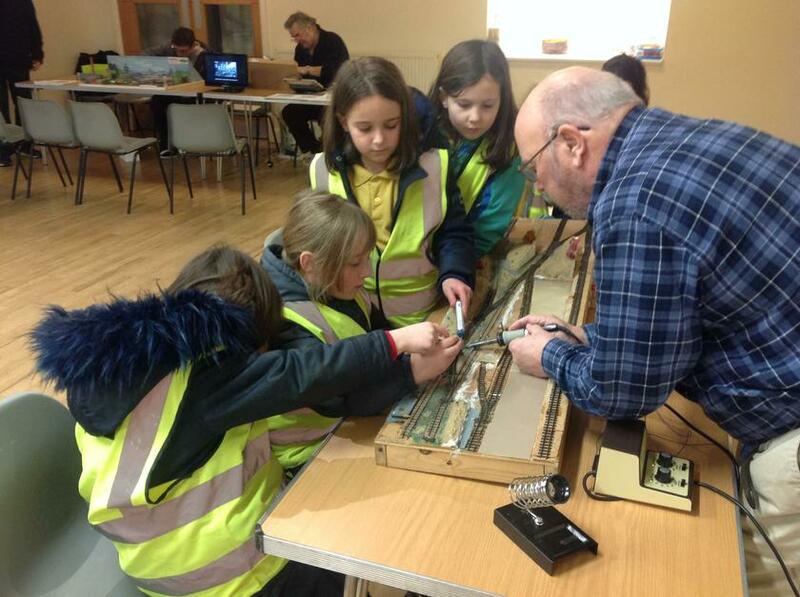 They were fascinated by the models and even helped with some soldering. 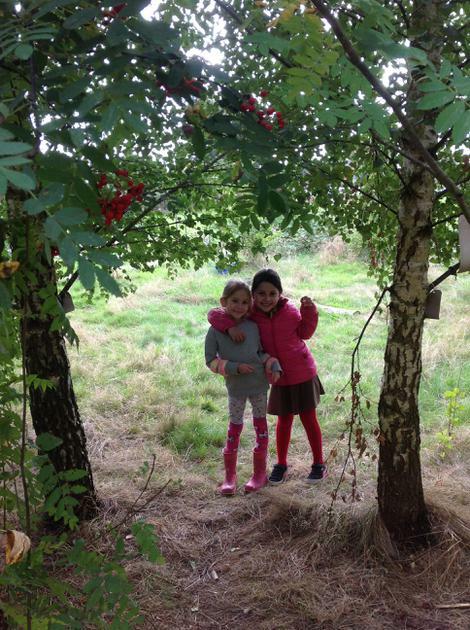 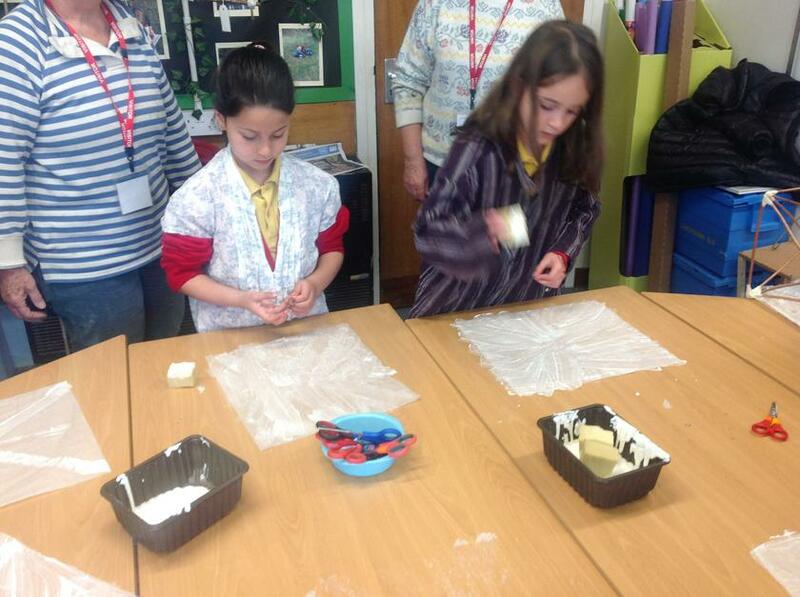 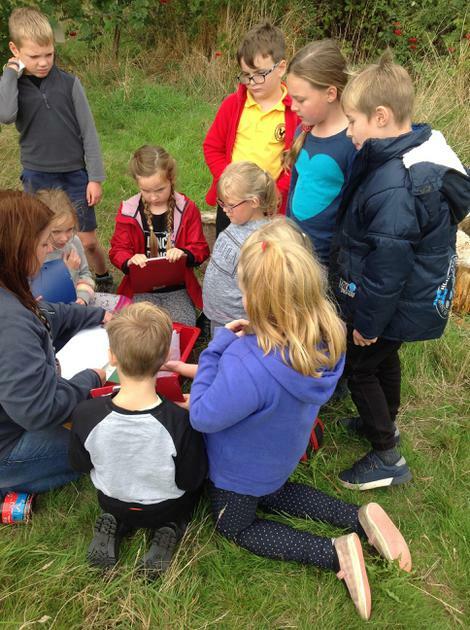 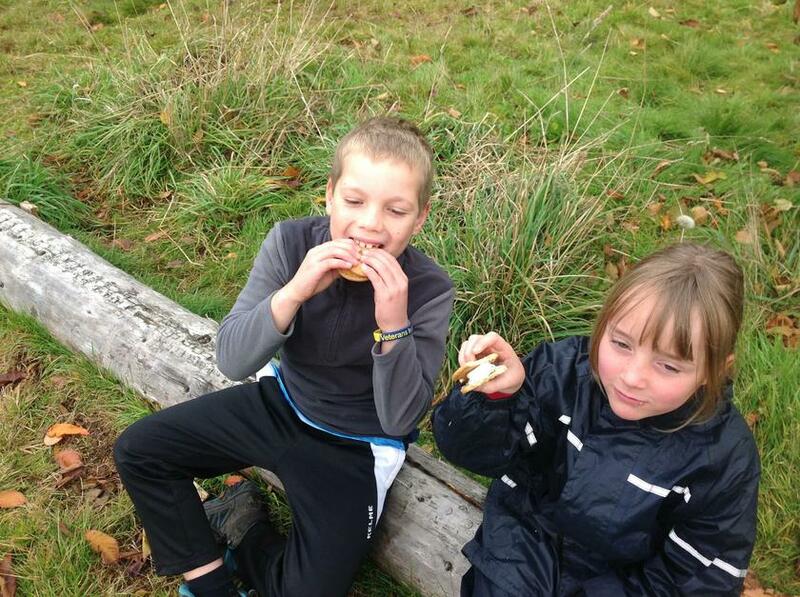 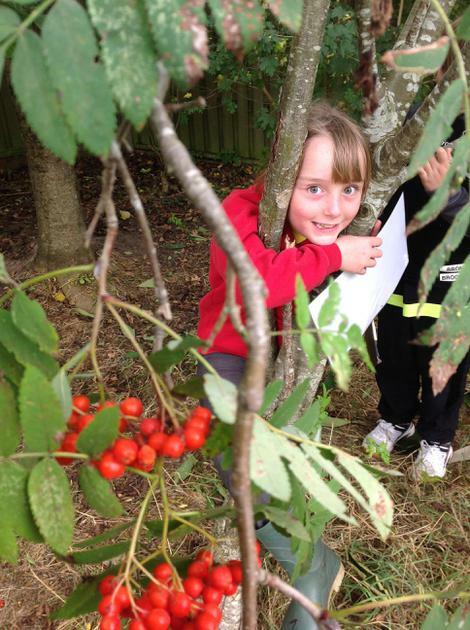 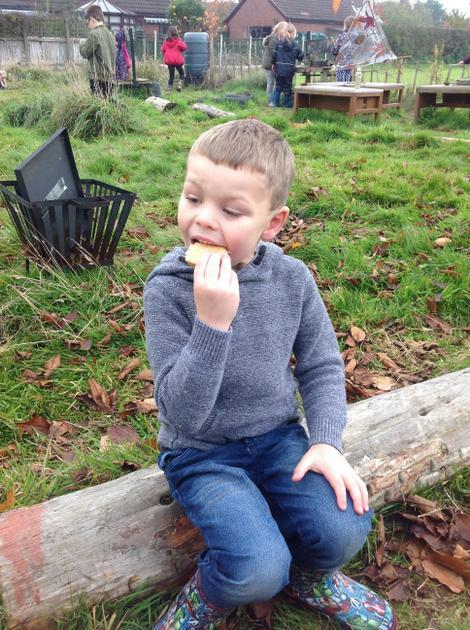 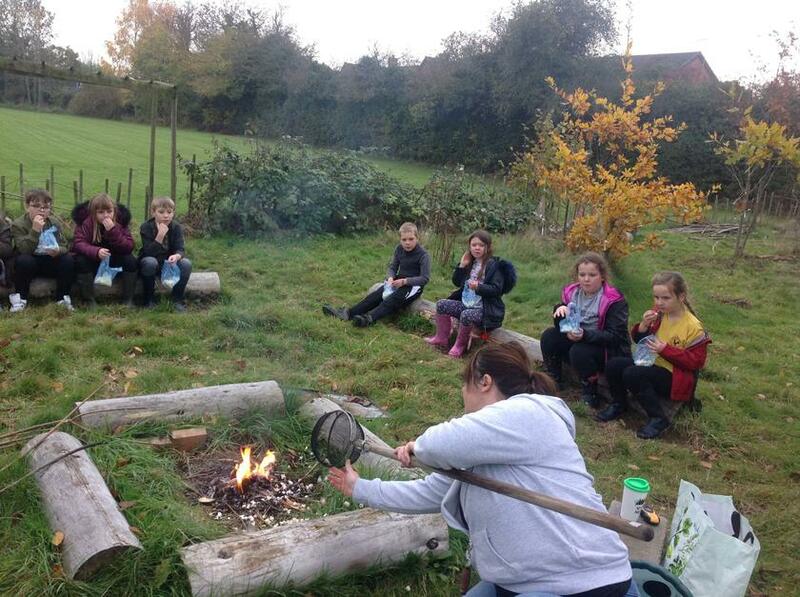 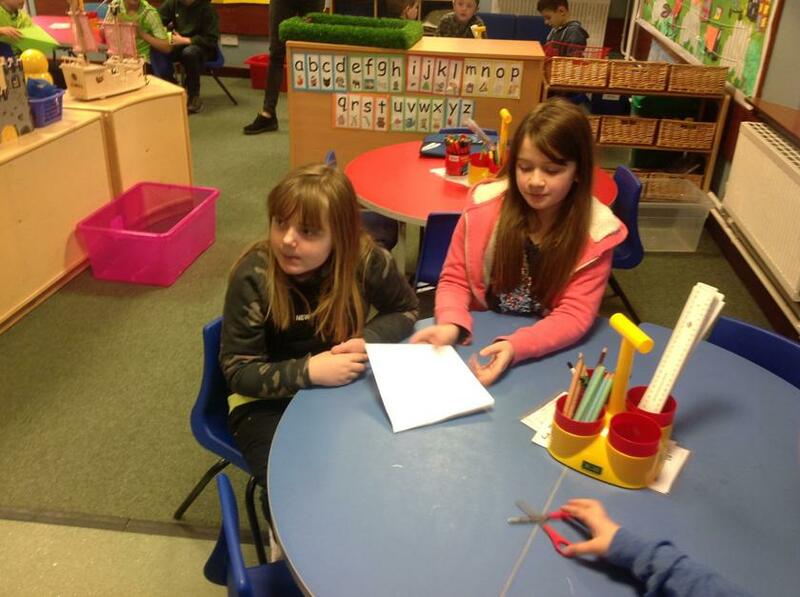 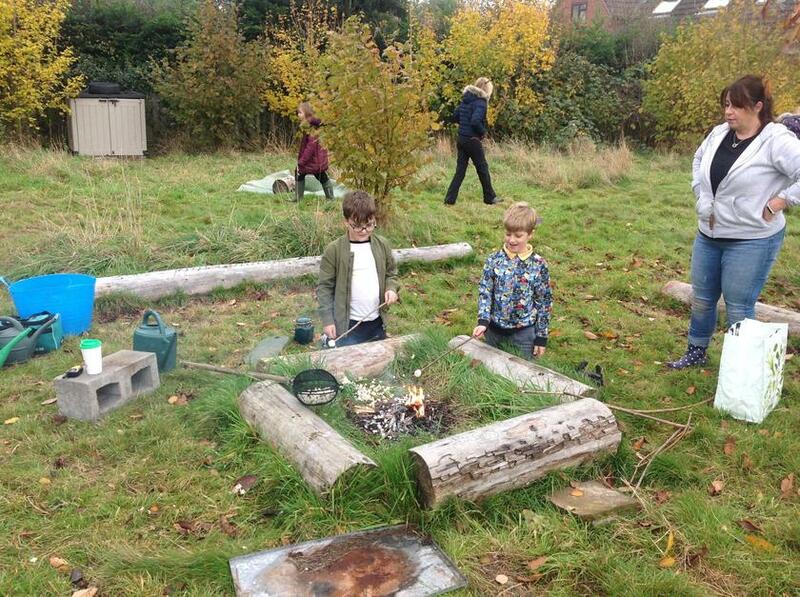 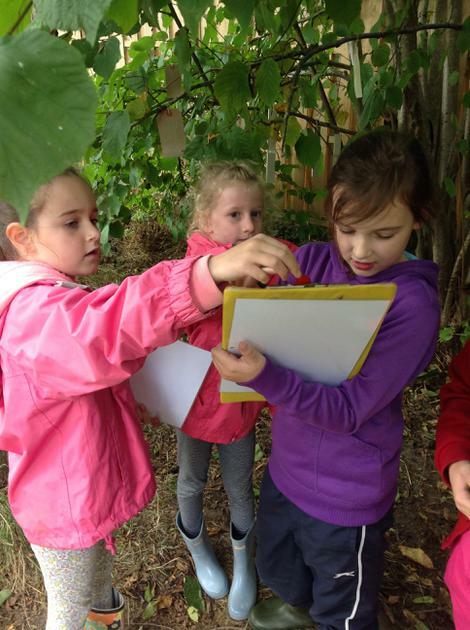 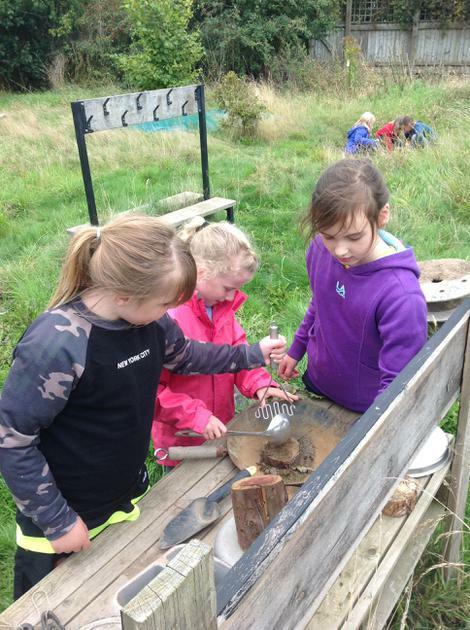 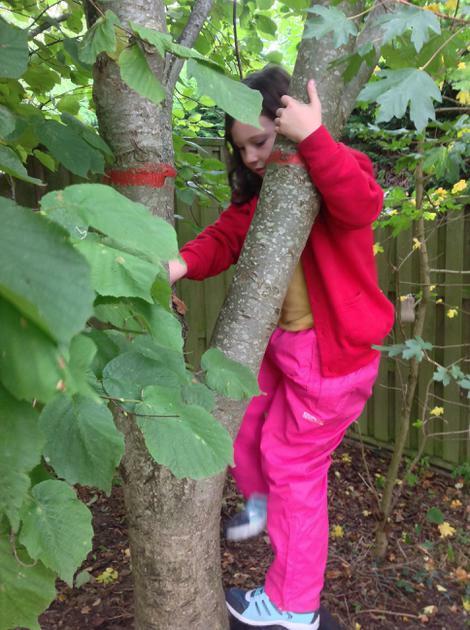 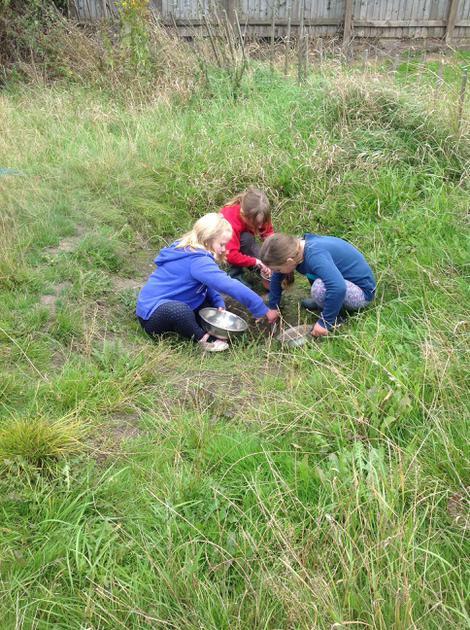 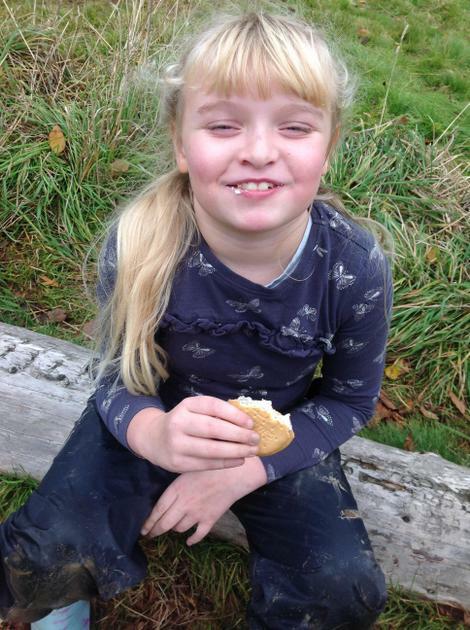 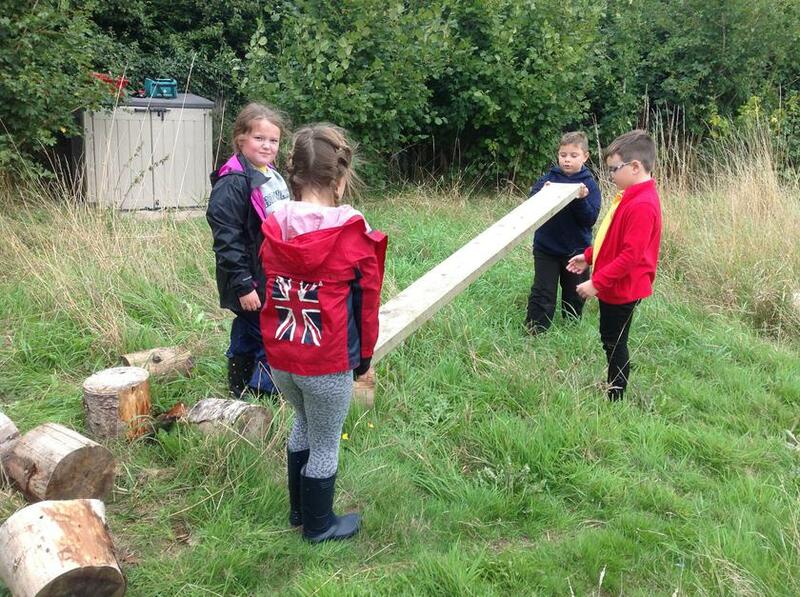 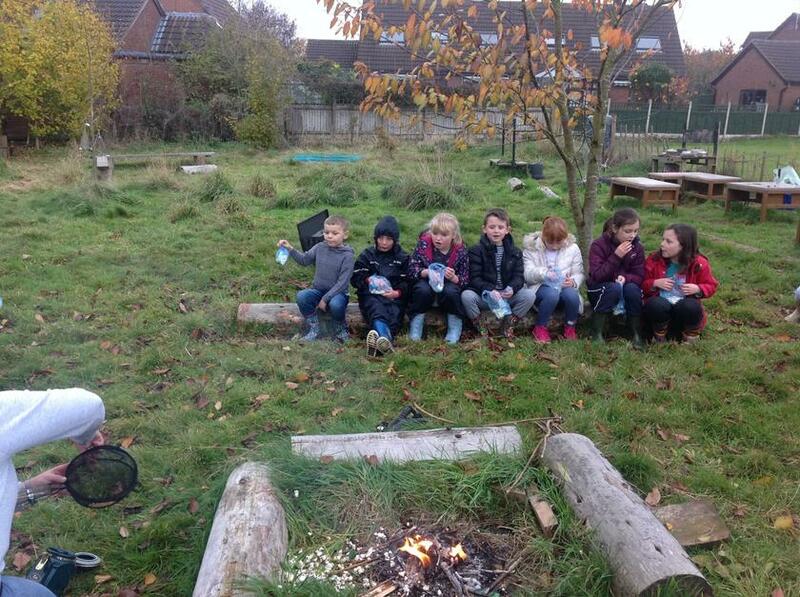 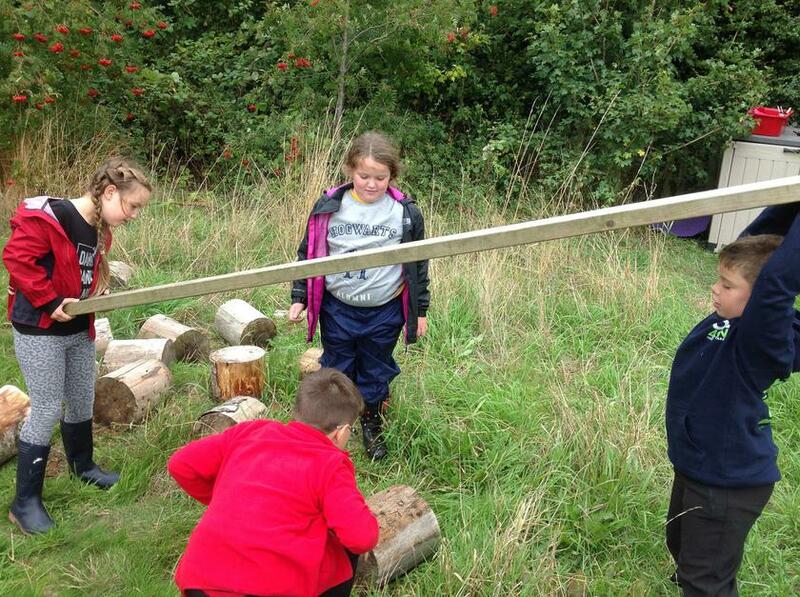 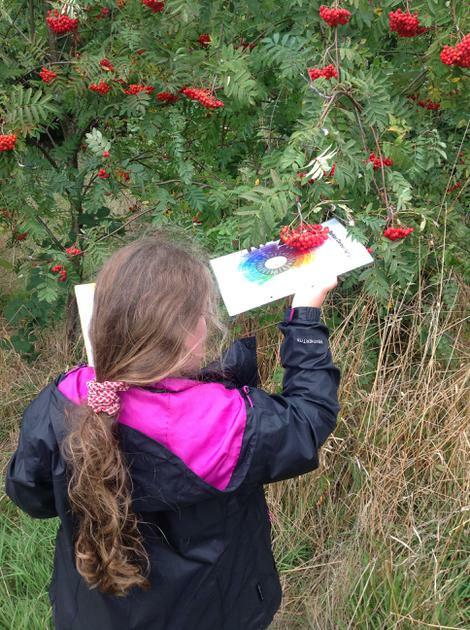 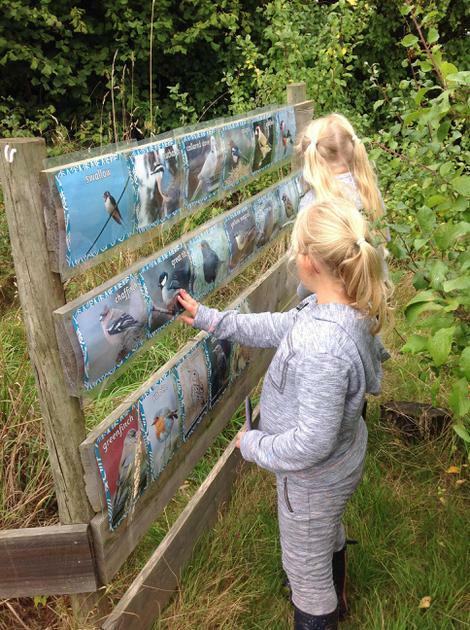 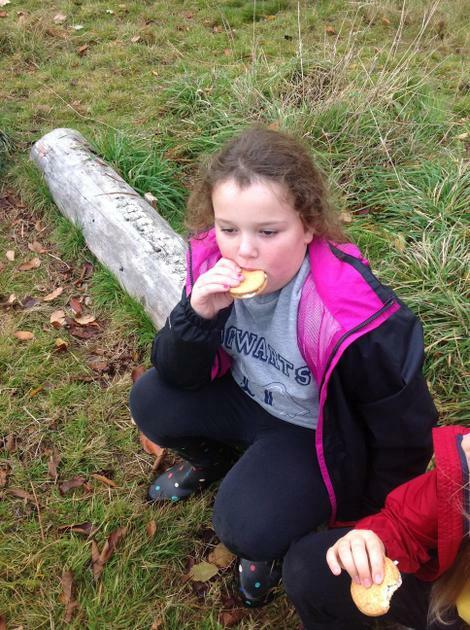 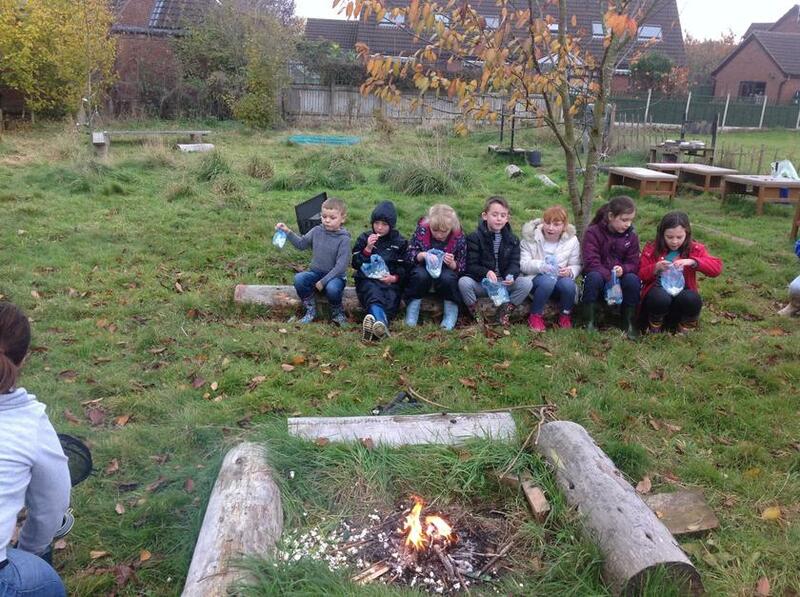 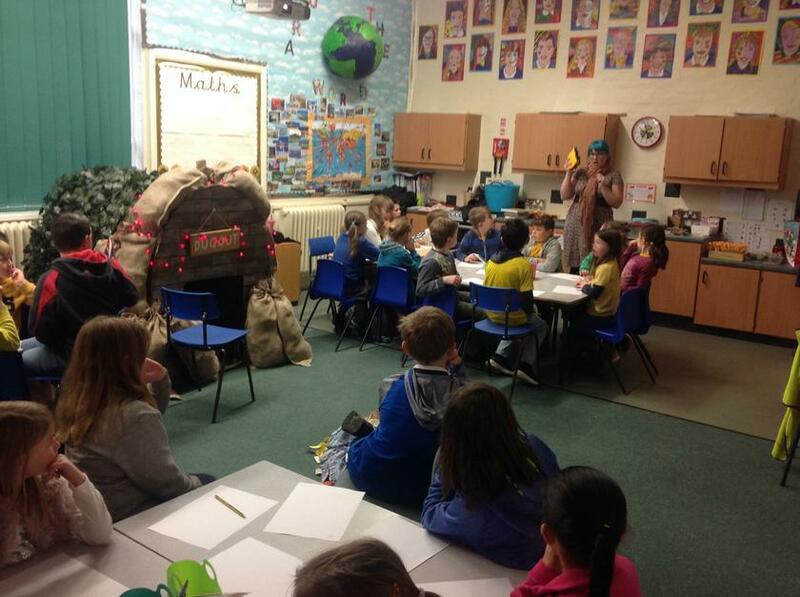 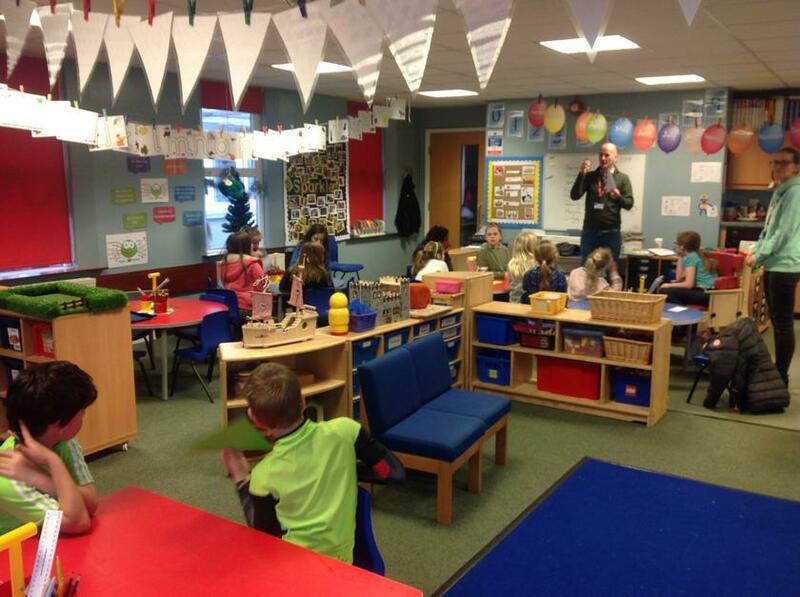 The Key Stage Two children had a fantastic day at Criftins for our journey day. 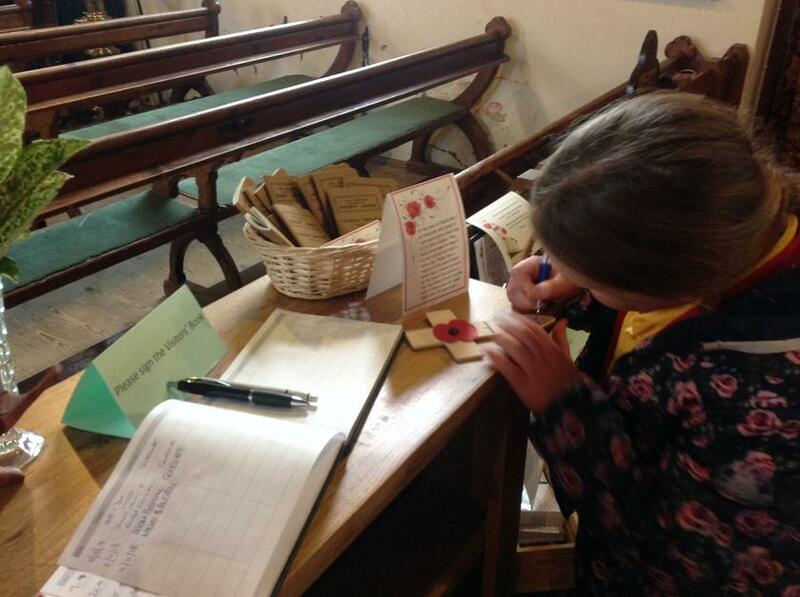 It was an amazing opportunity to spend time with the staff and children to reflect on the theme 'for GOD so LOVED the World'. 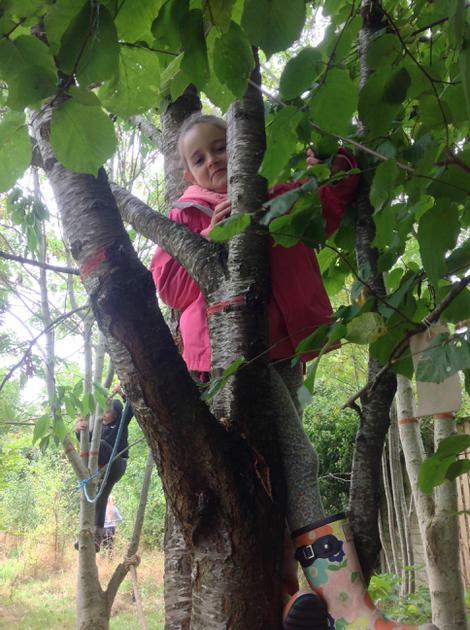 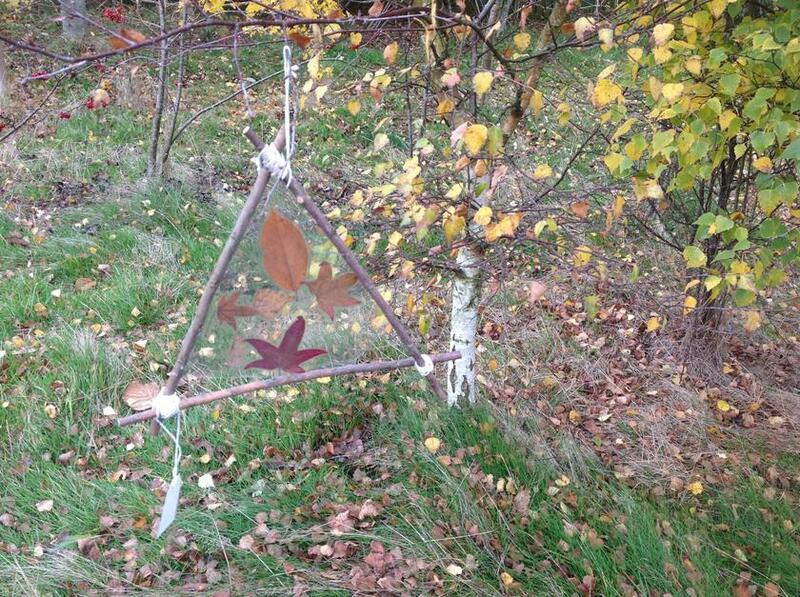 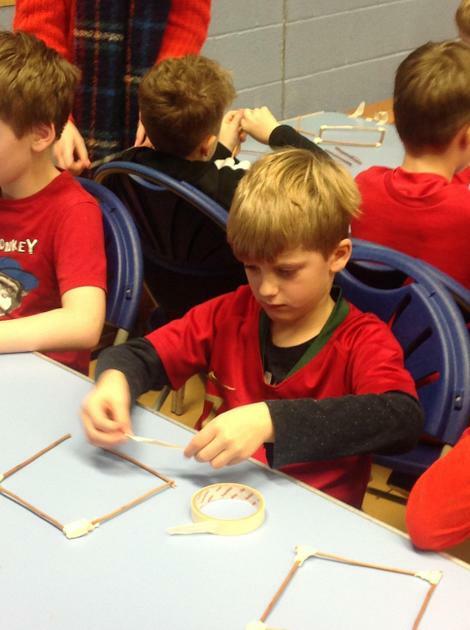 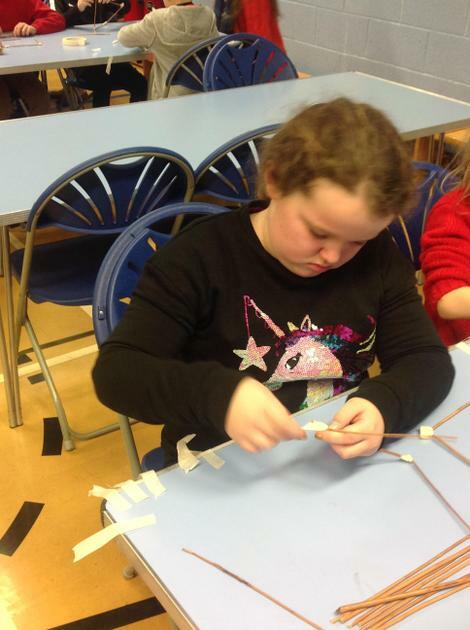 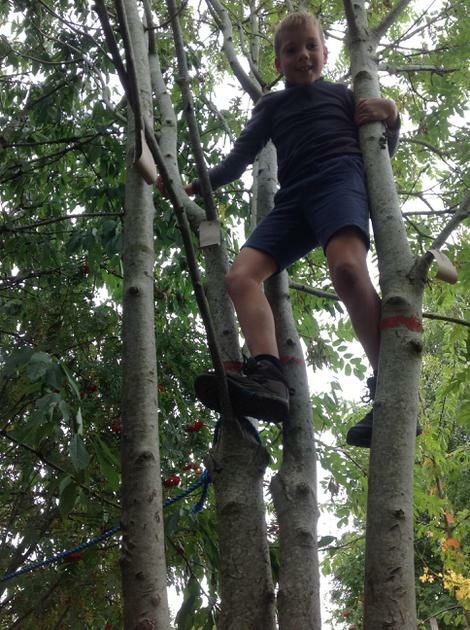 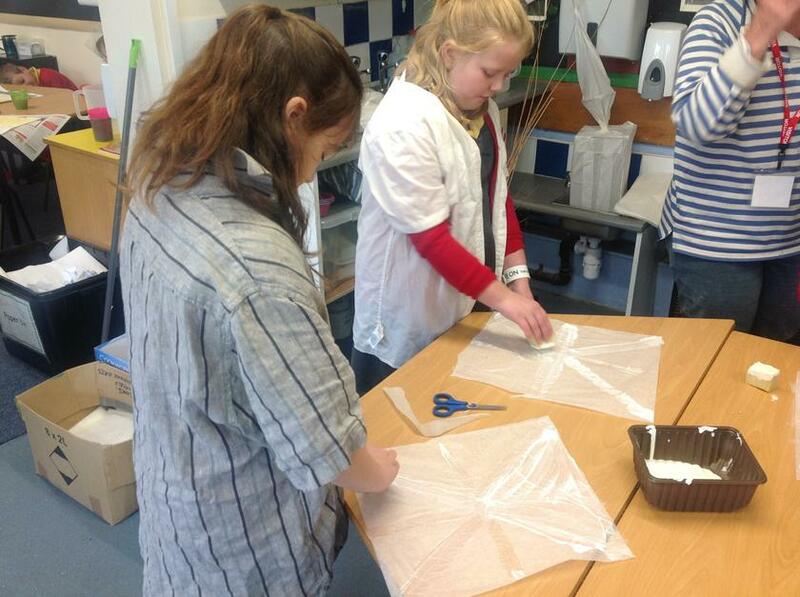 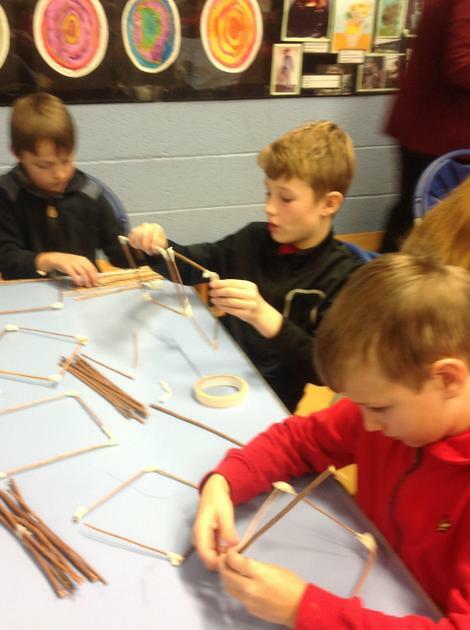 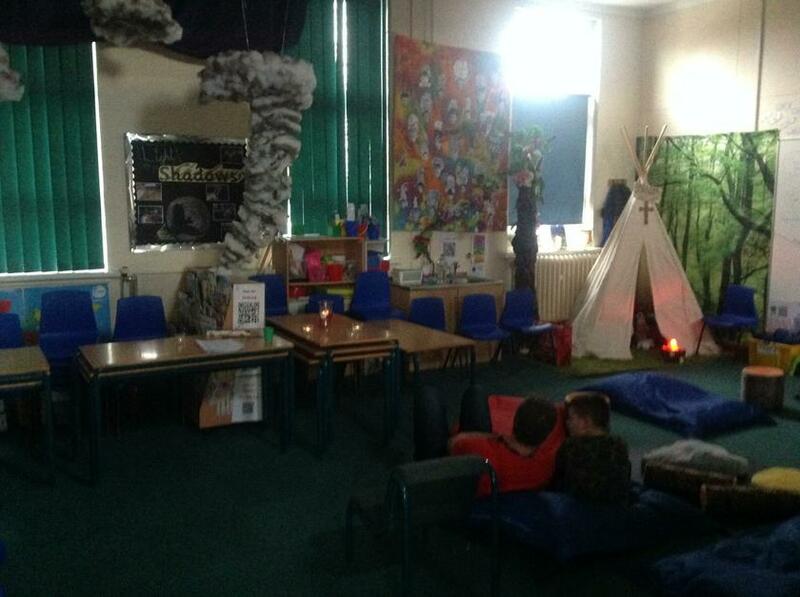 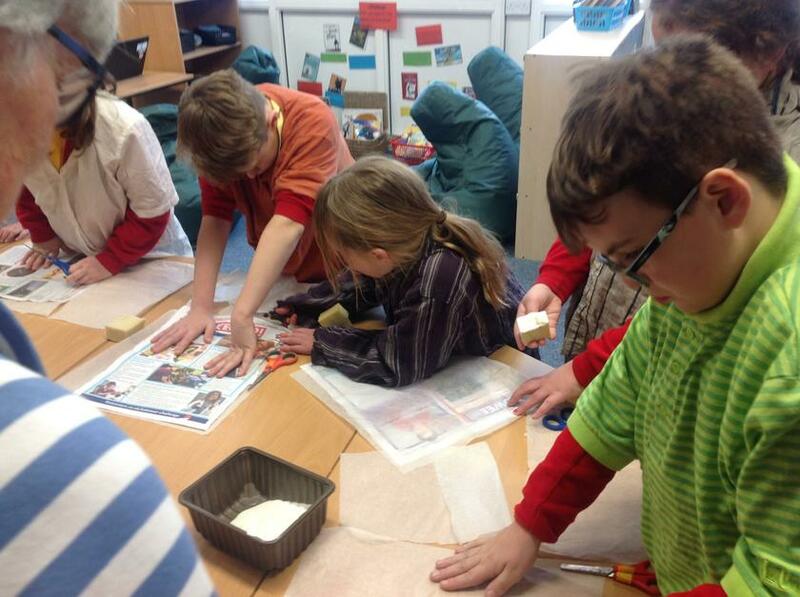 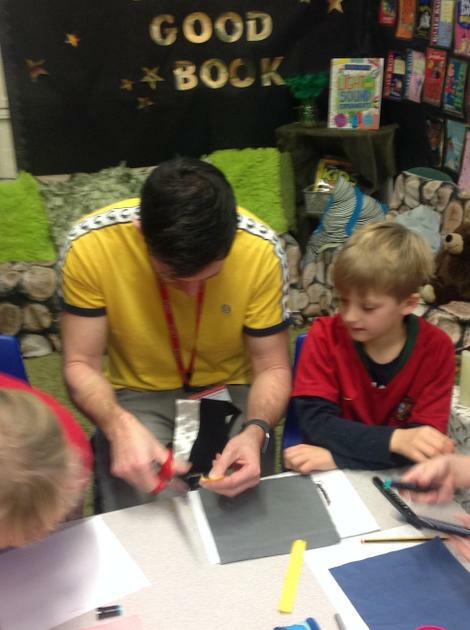 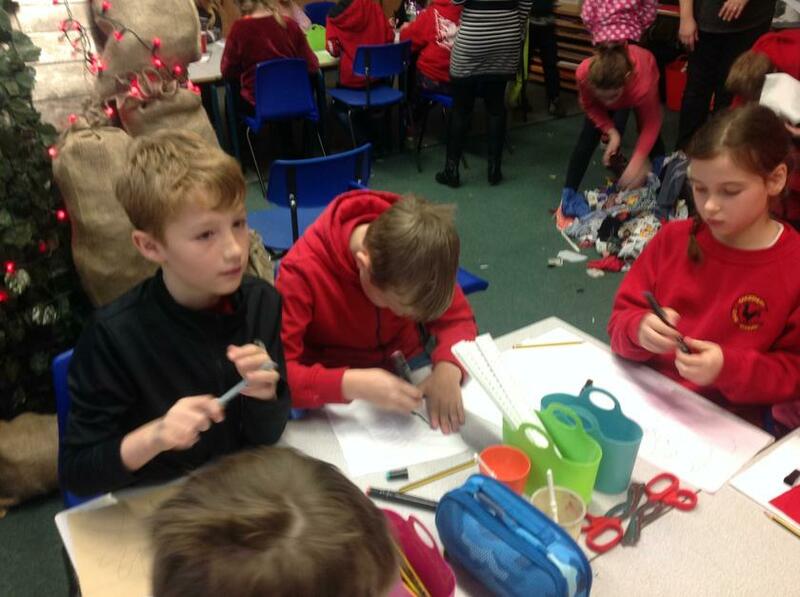 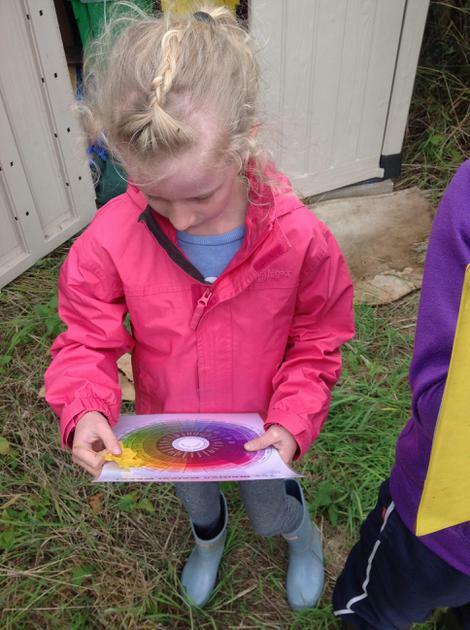 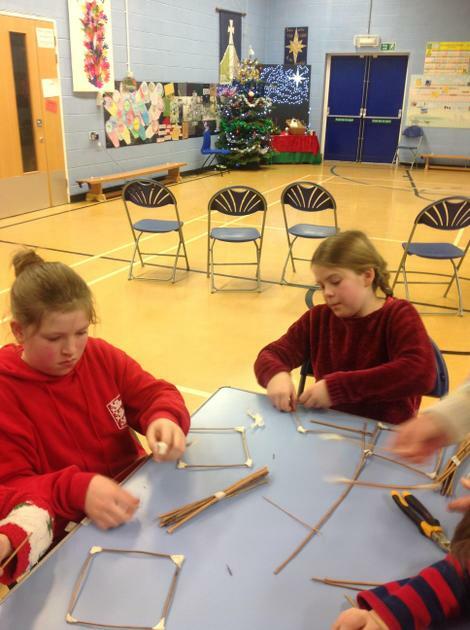 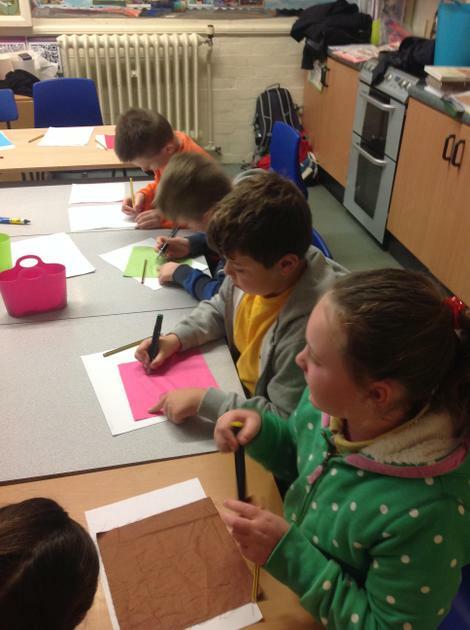 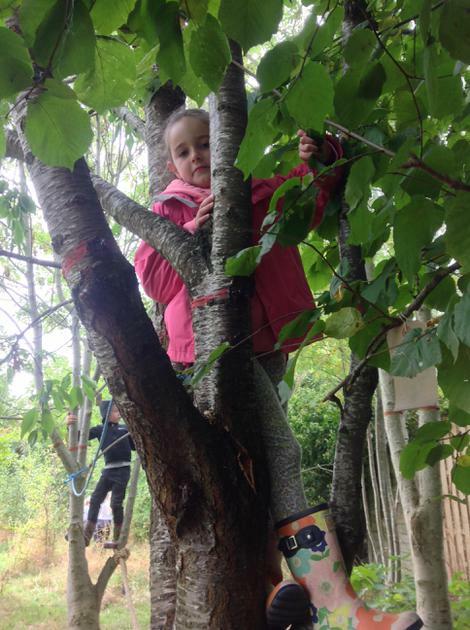 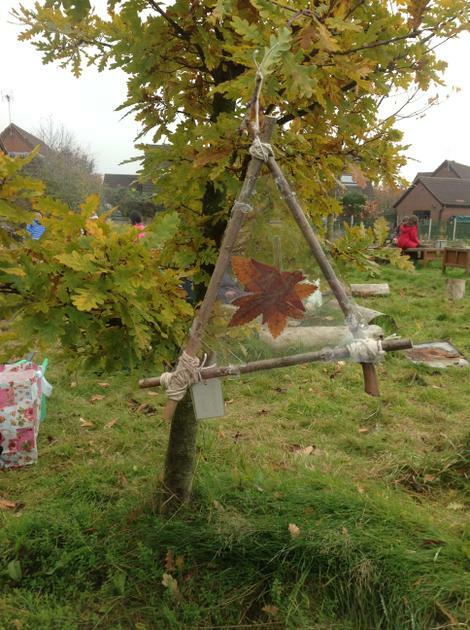 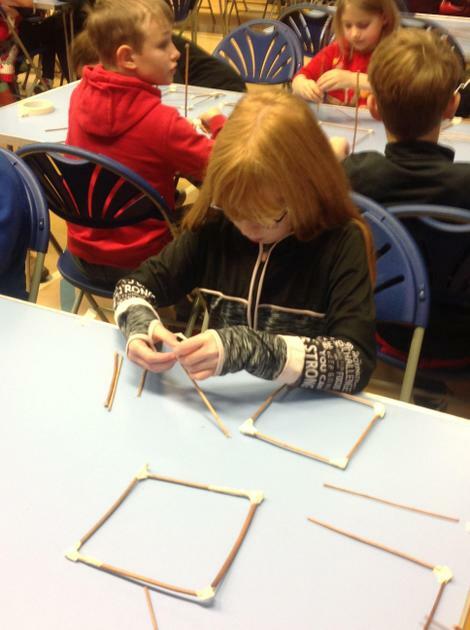 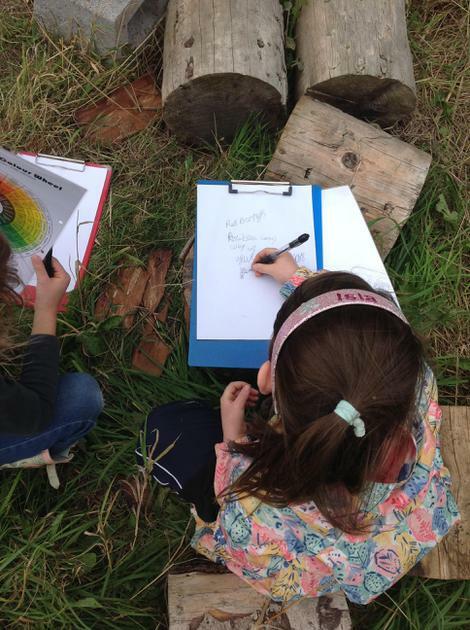 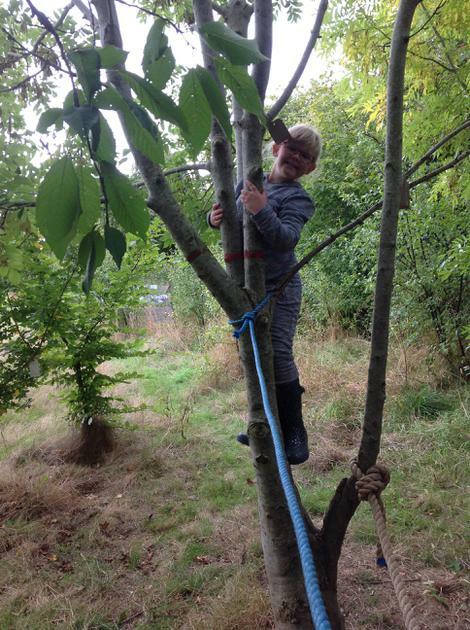 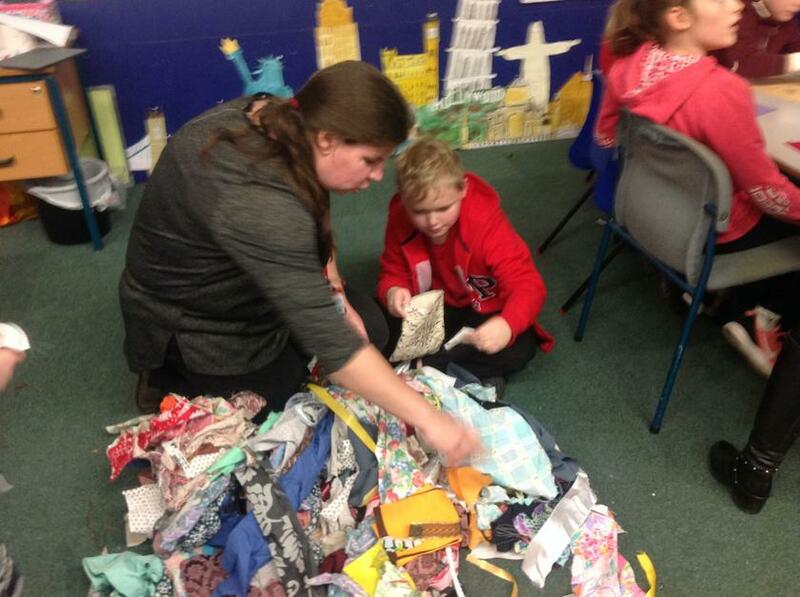 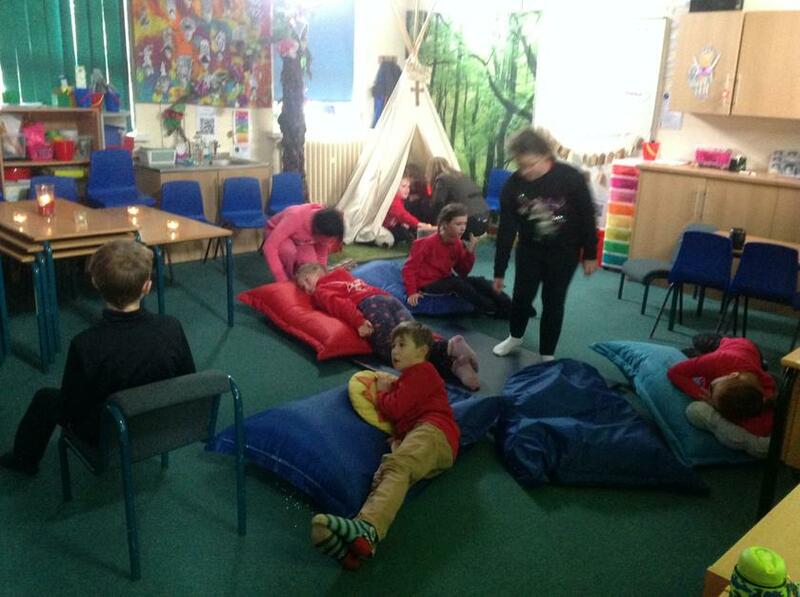 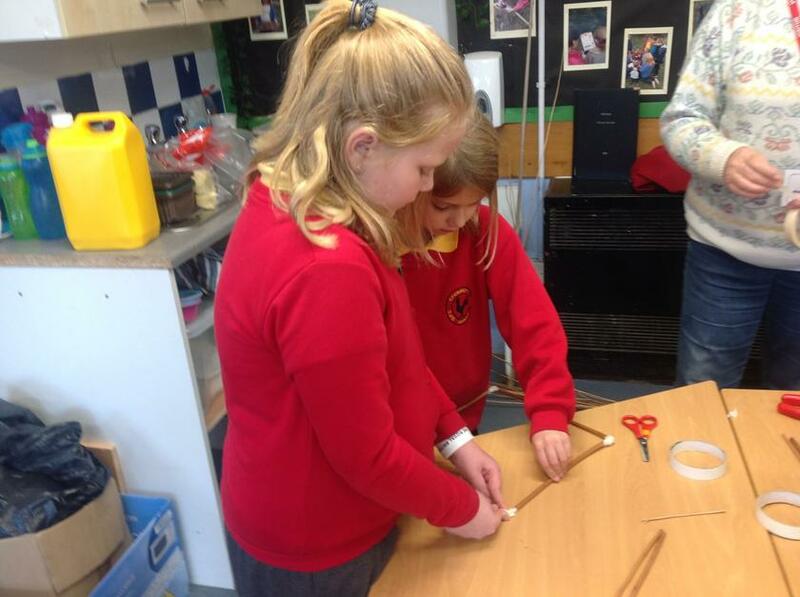 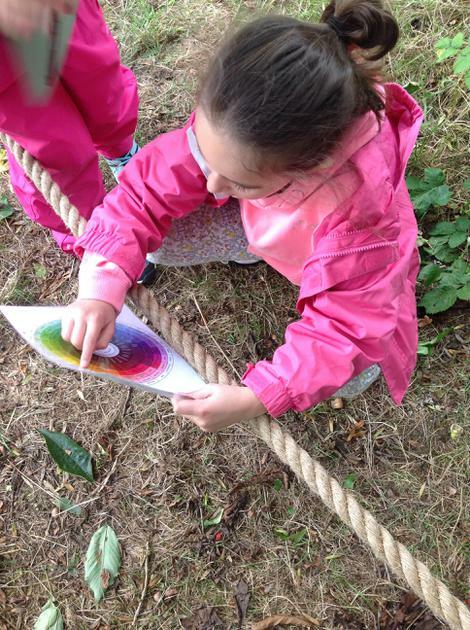 The theme was explored through a fantastic range of experiences such as lantern making, creating a fabric square for a quilt, courage and trust activities and a prayer room. 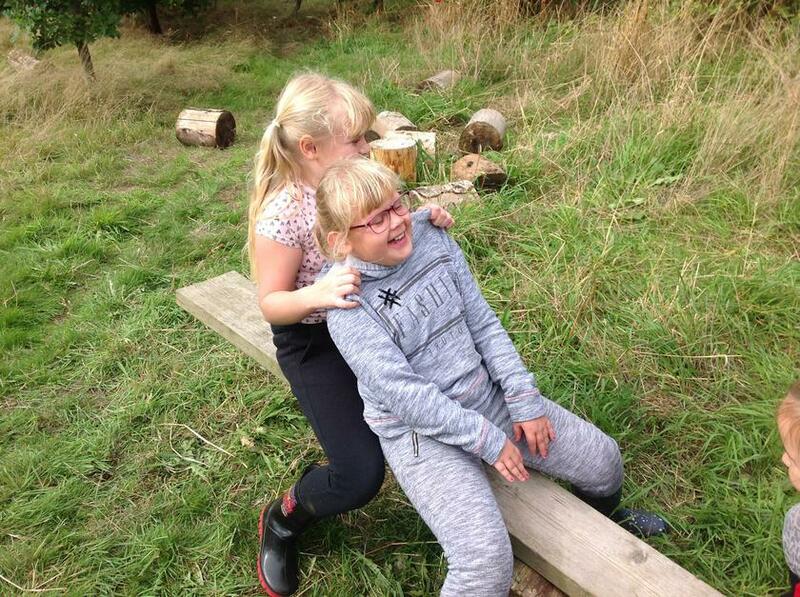 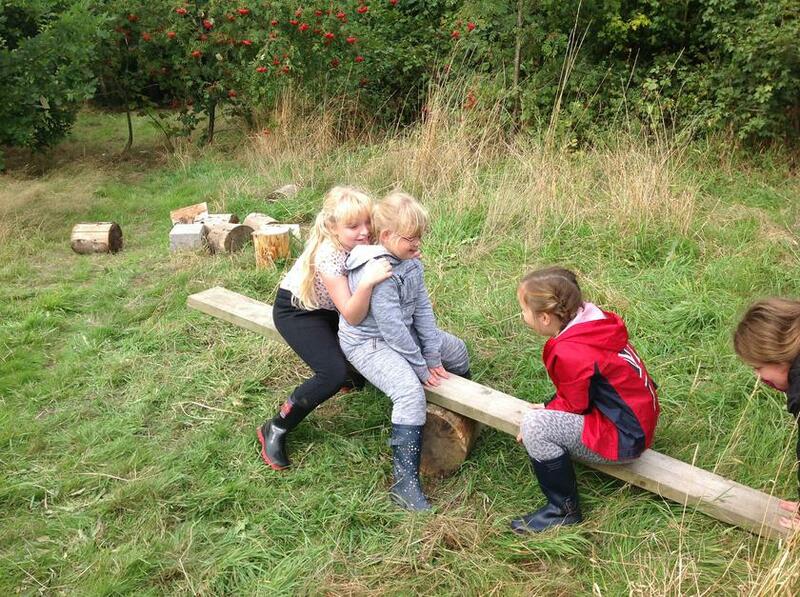 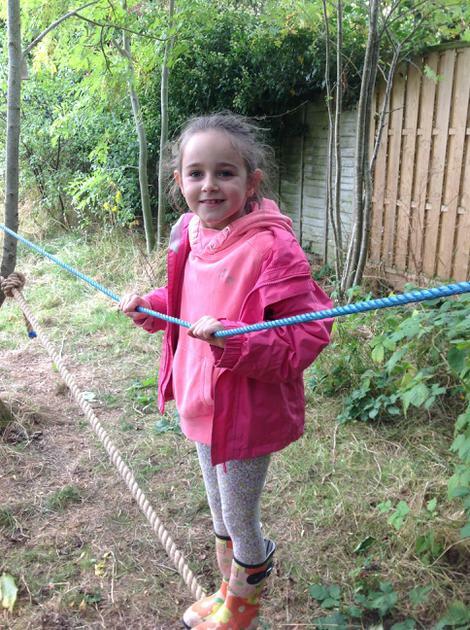 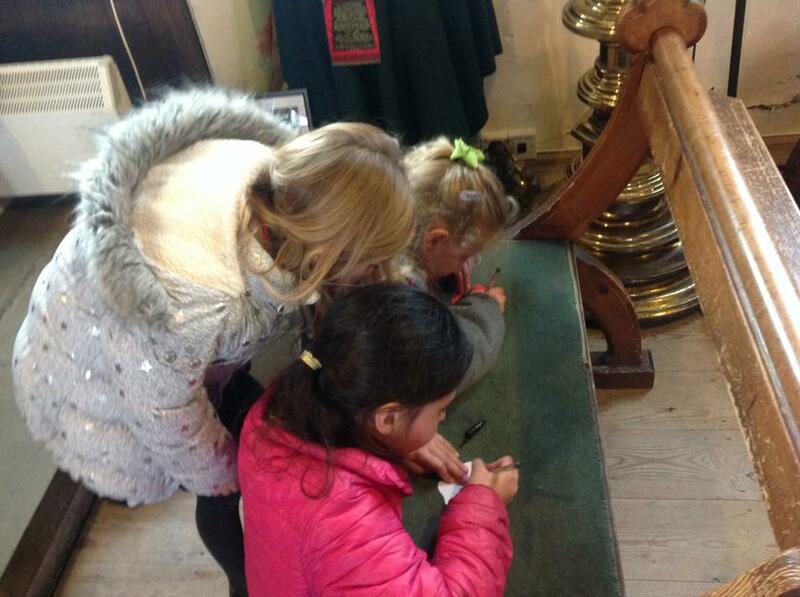 As always the children were enthusiastic, well behaved and embraced the opportunity to make new friends. 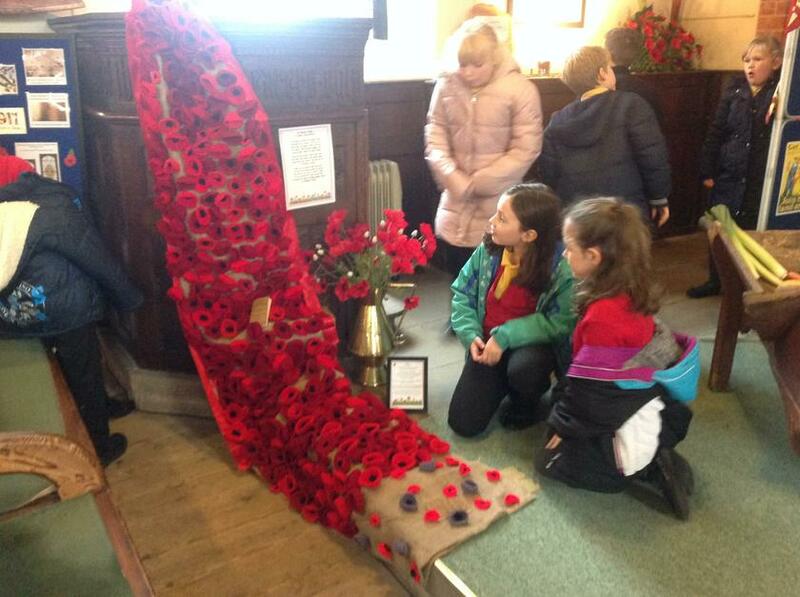 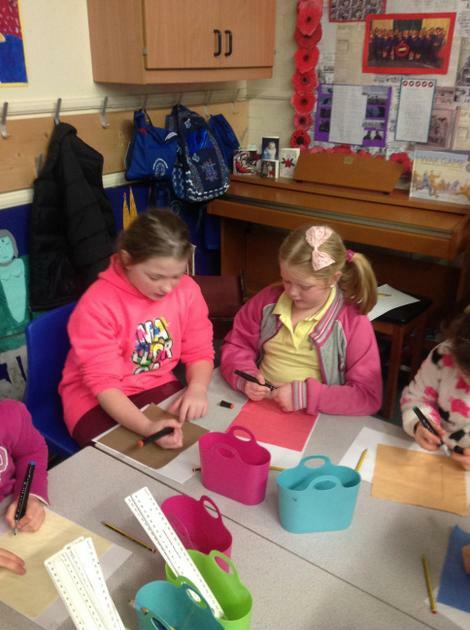 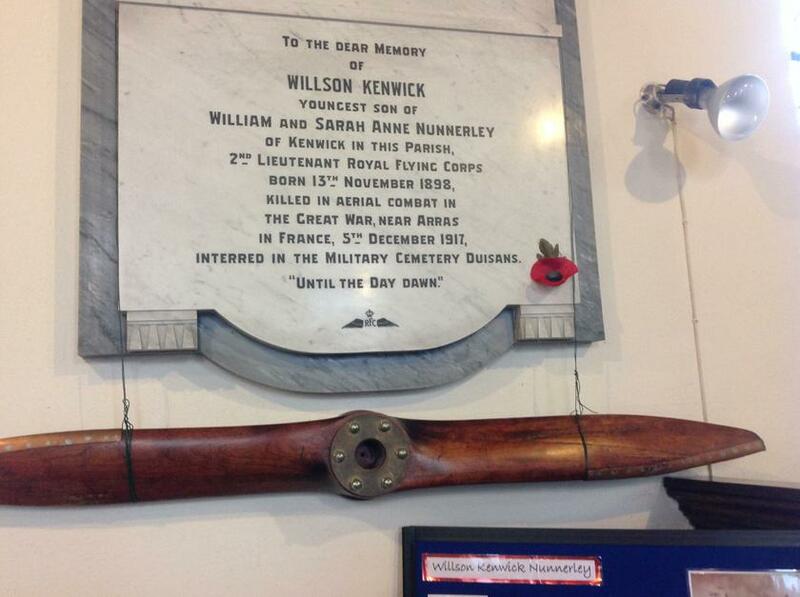 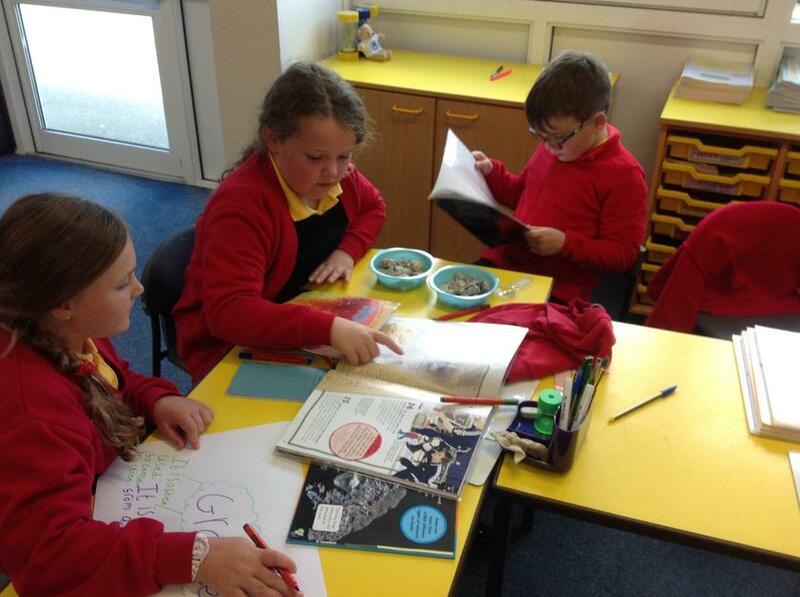 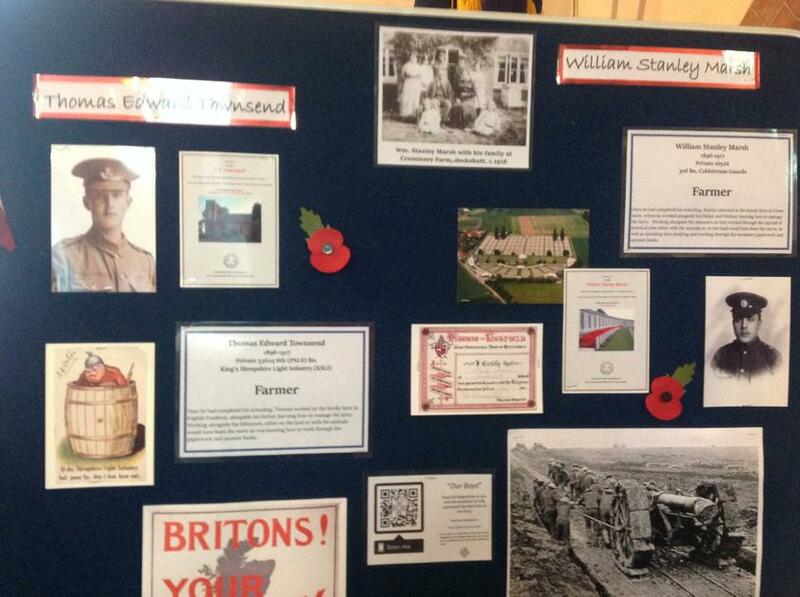 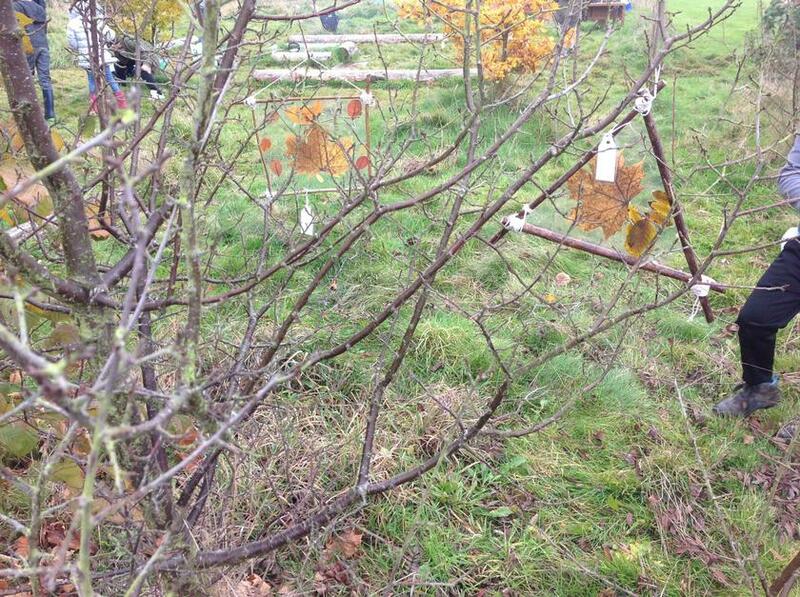 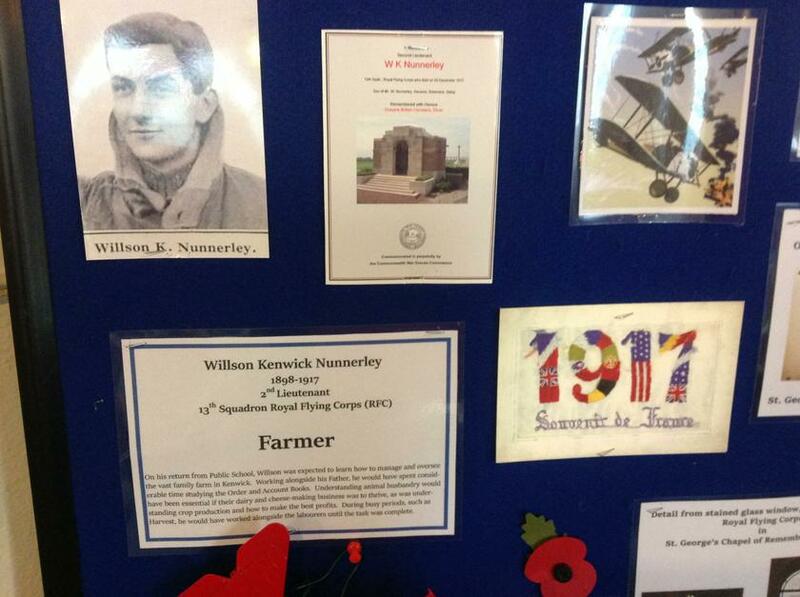 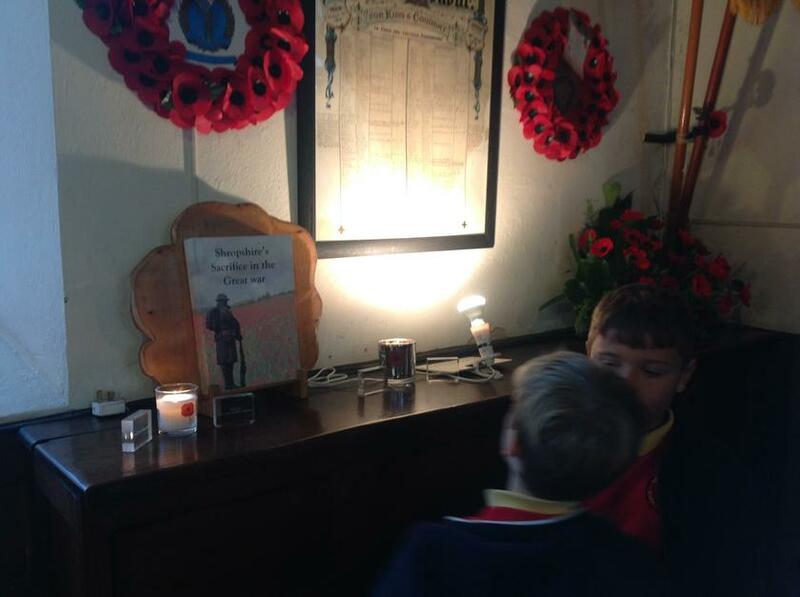 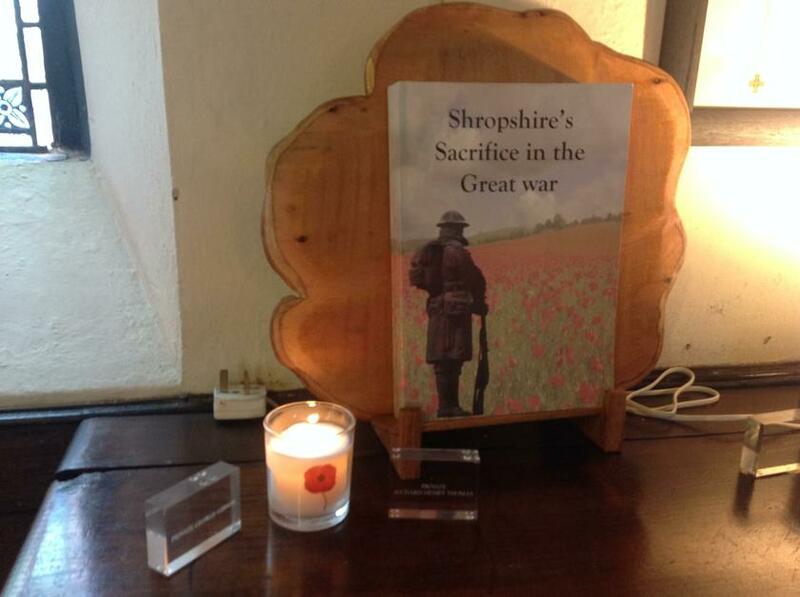 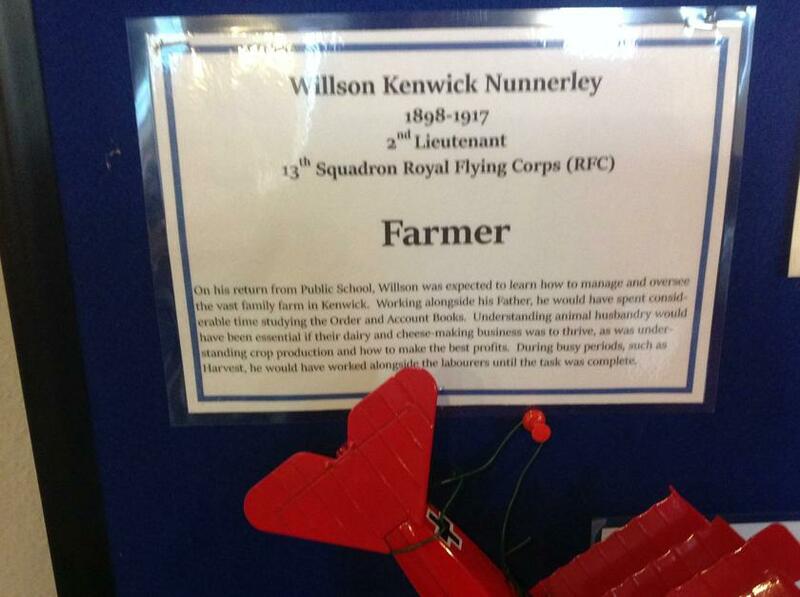 Ash class have been learning and thinking about Remembrance Sunday and the centenary of the end of WW1. 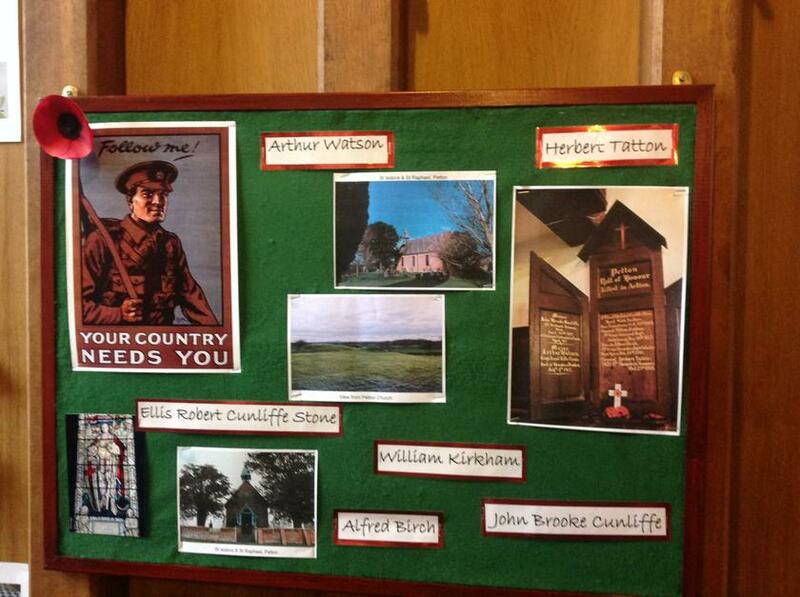 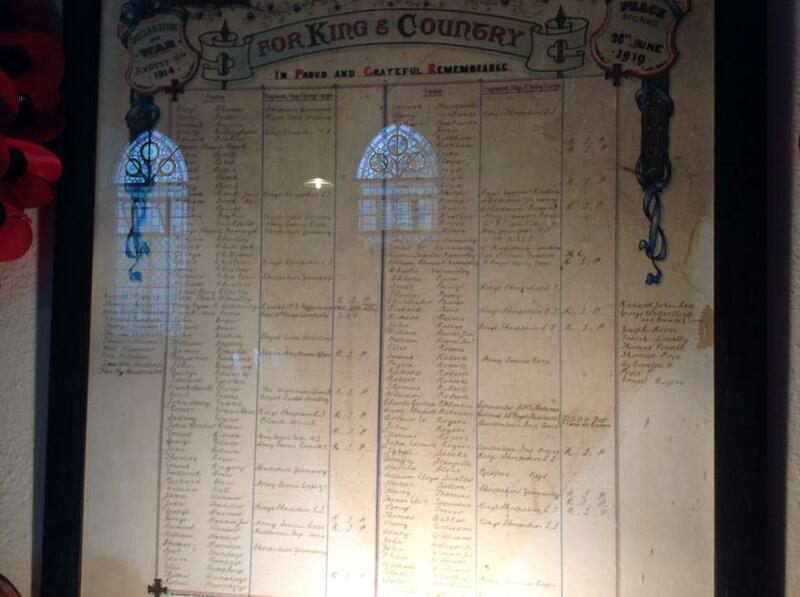 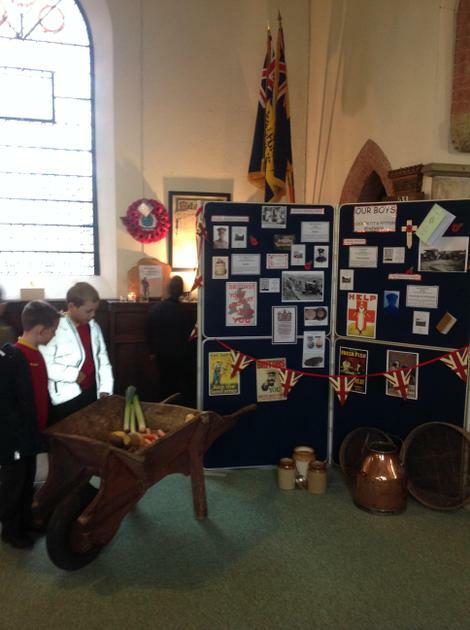 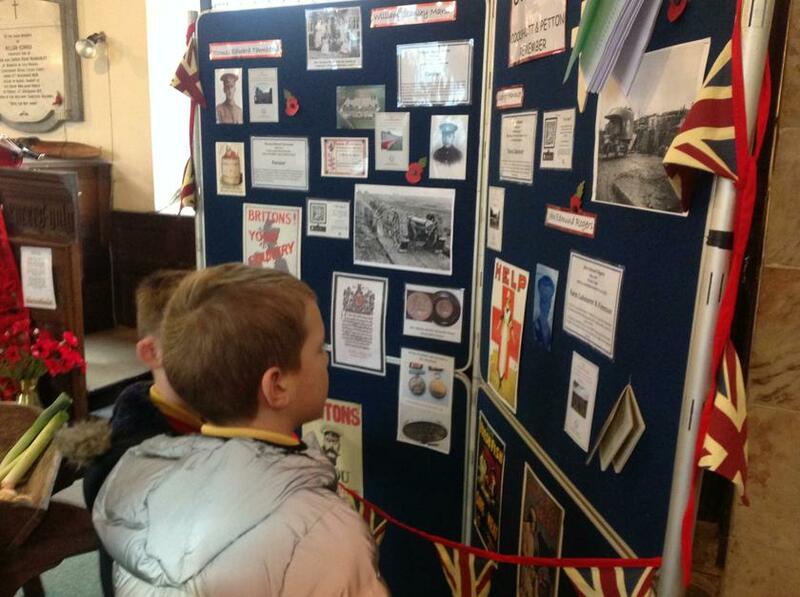 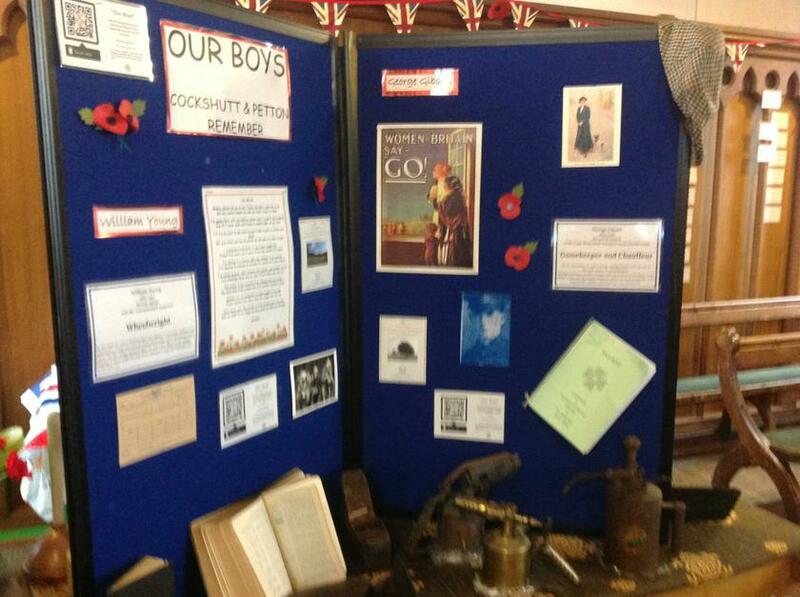 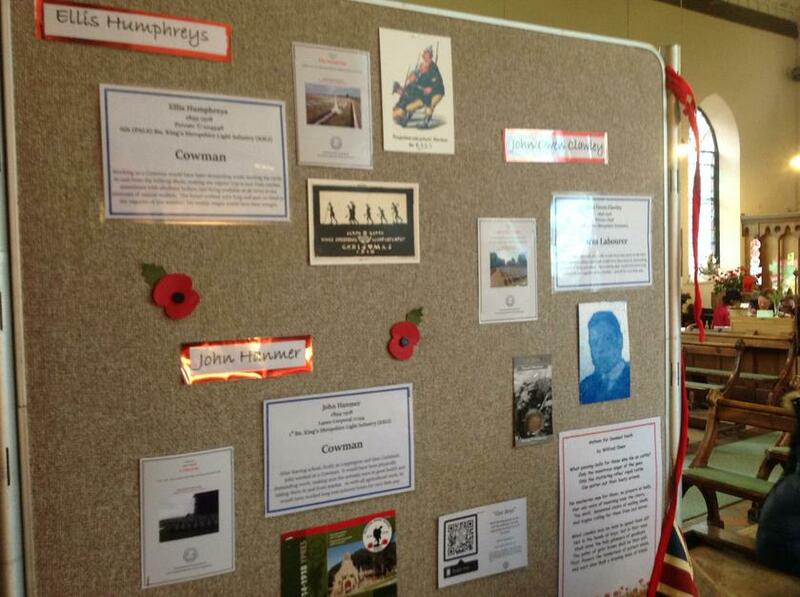 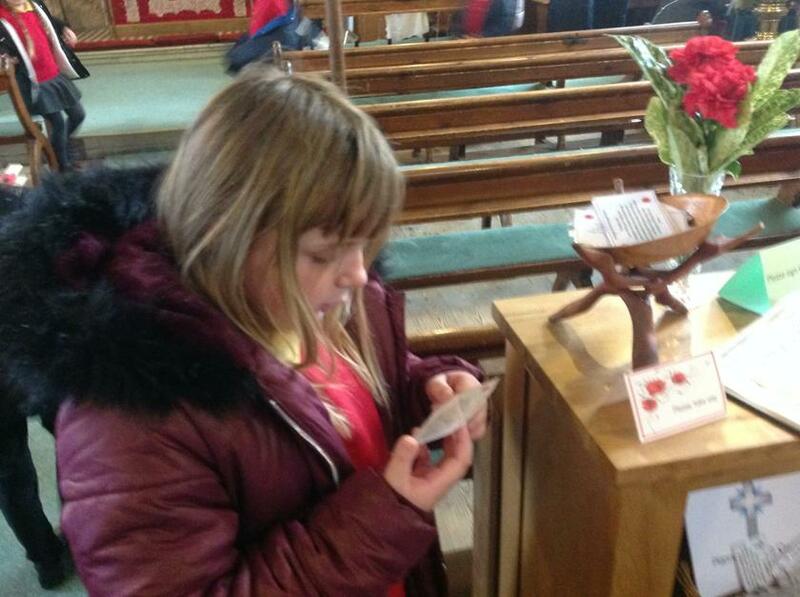 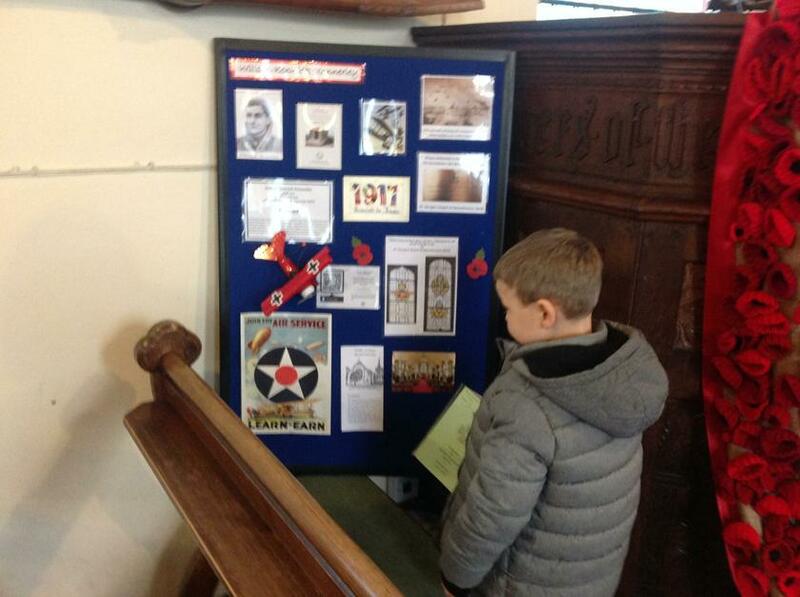 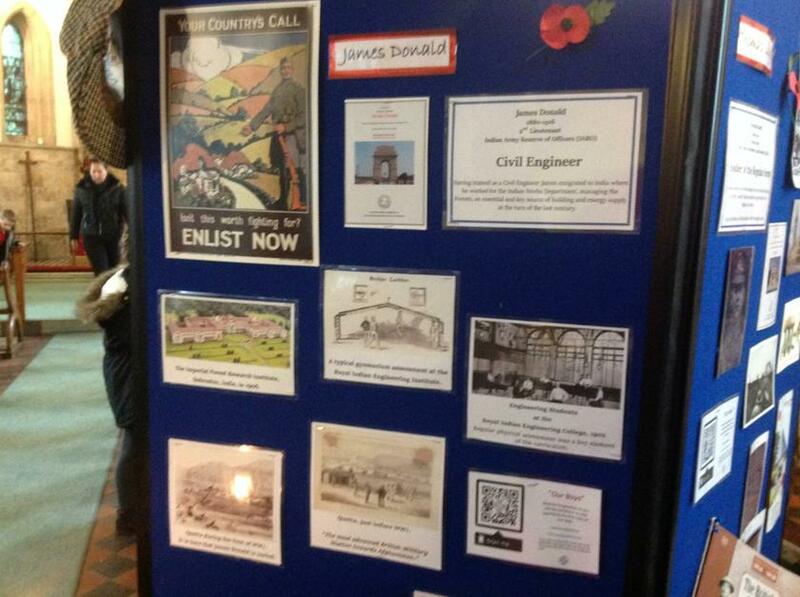 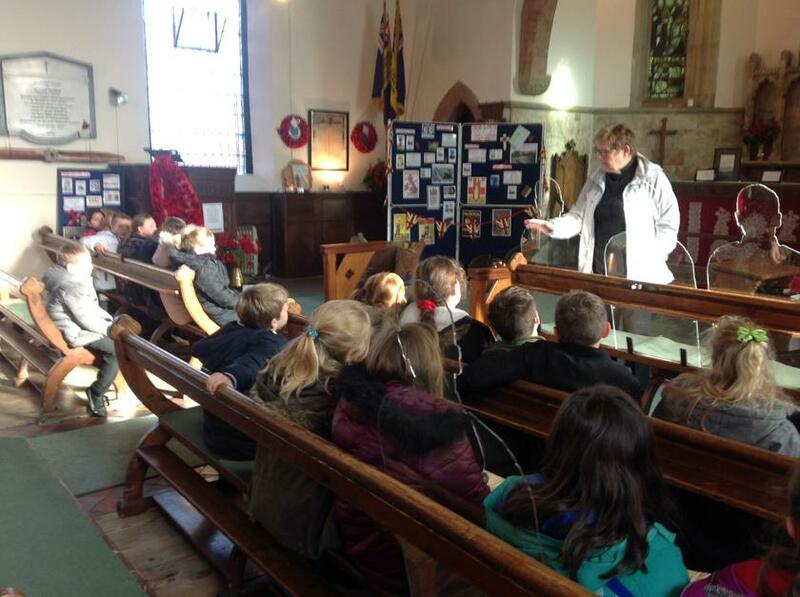 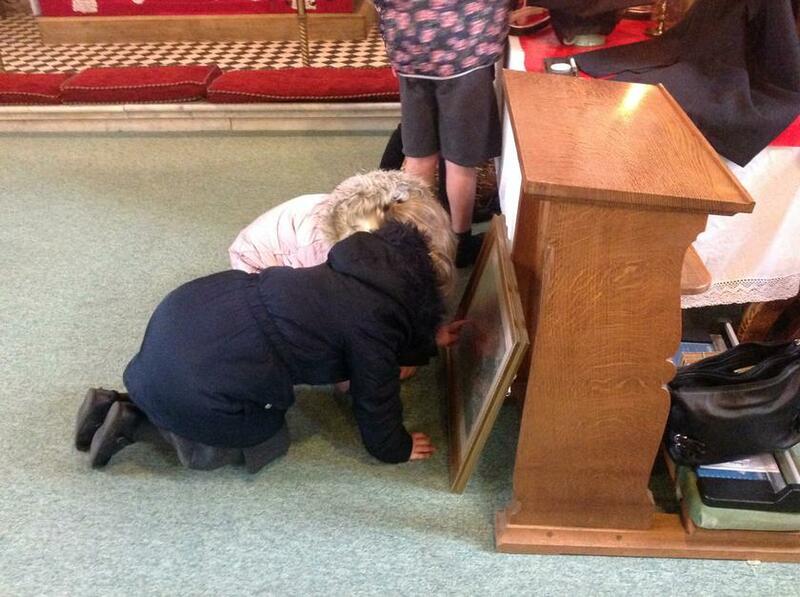 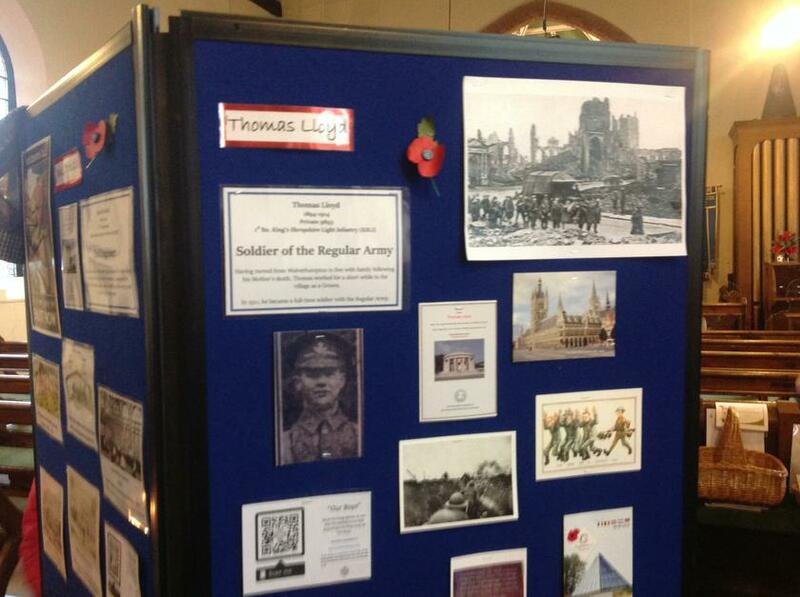 As part of this we visited the church to look around the exhibition. 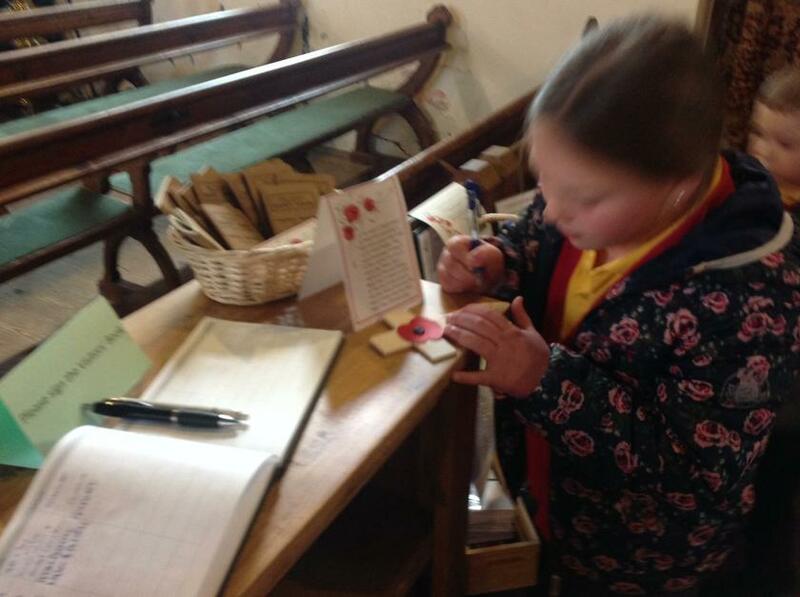 This was a fantastic experience with a great deal of information about local soldiers and gave us time to reflect through writing prayers and messages. 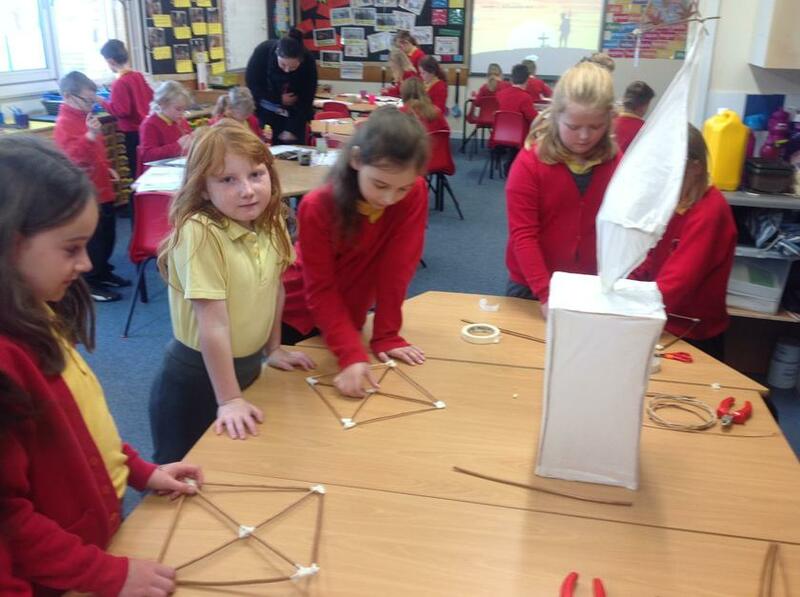 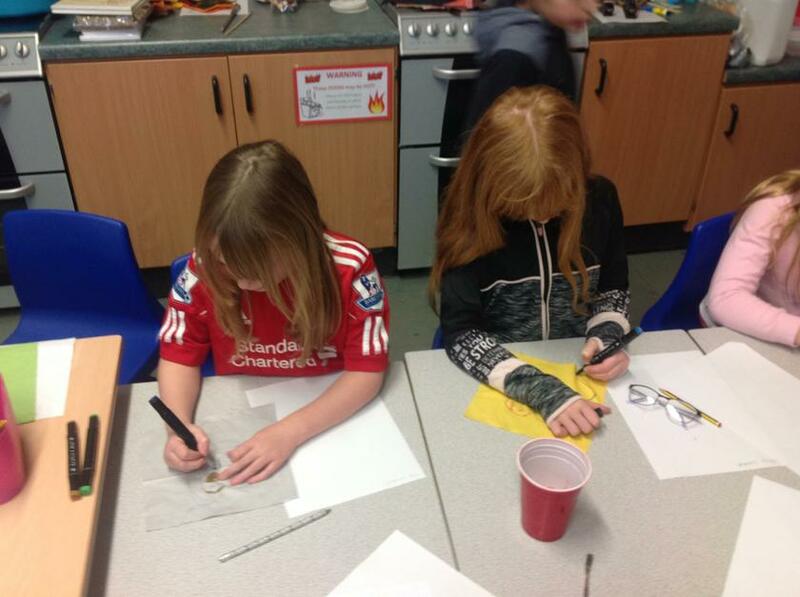 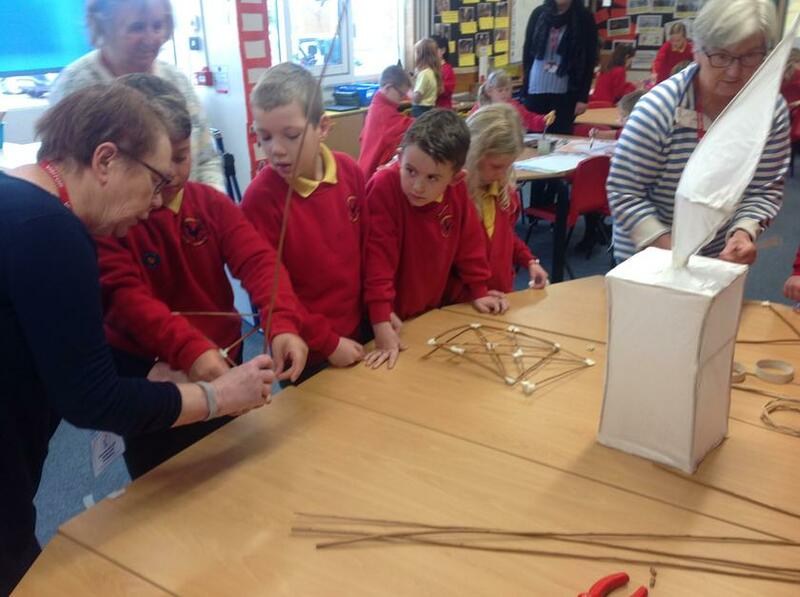 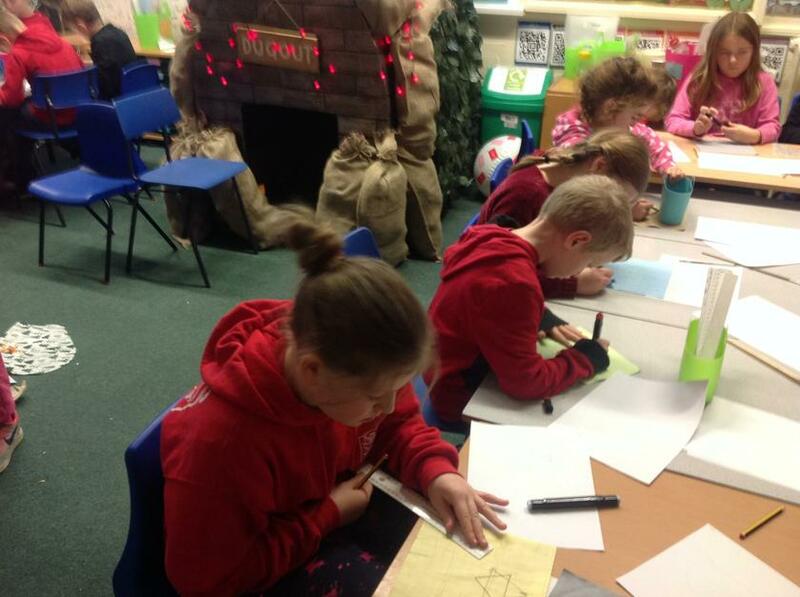 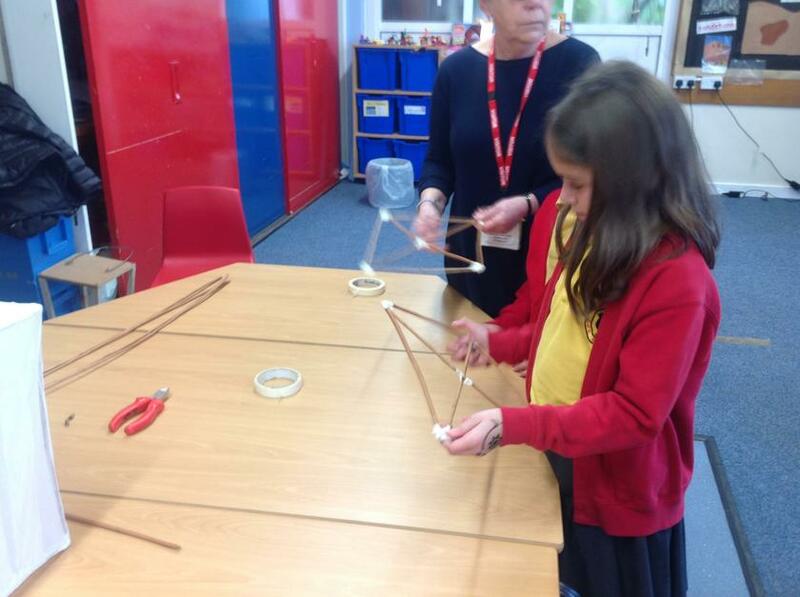 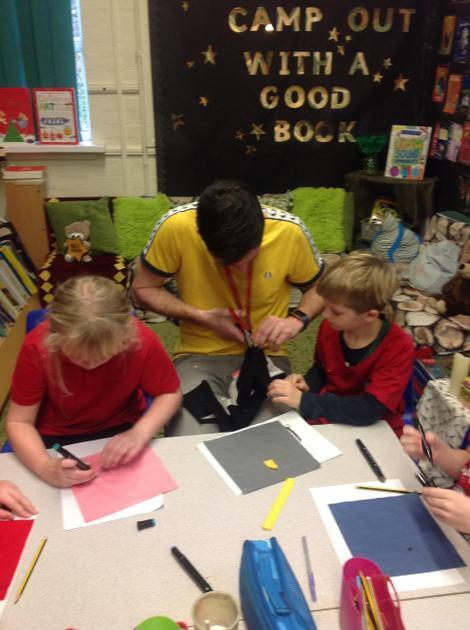 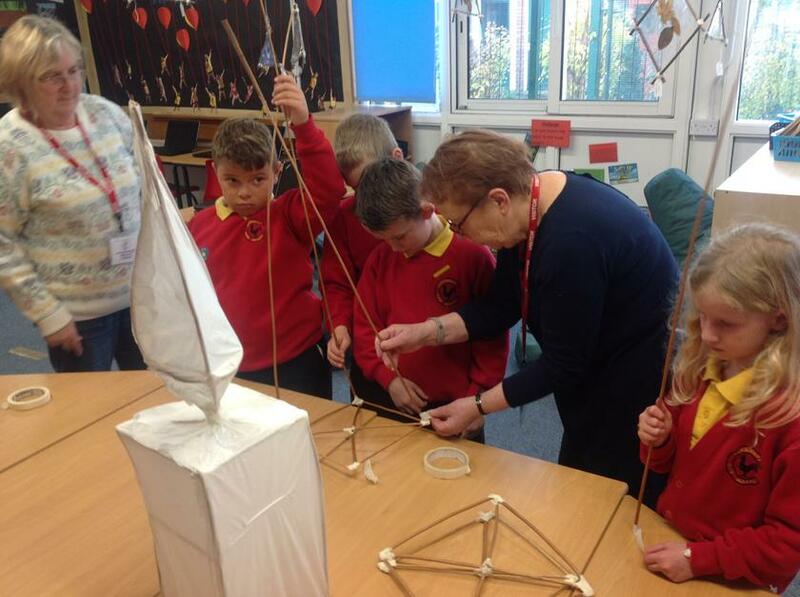 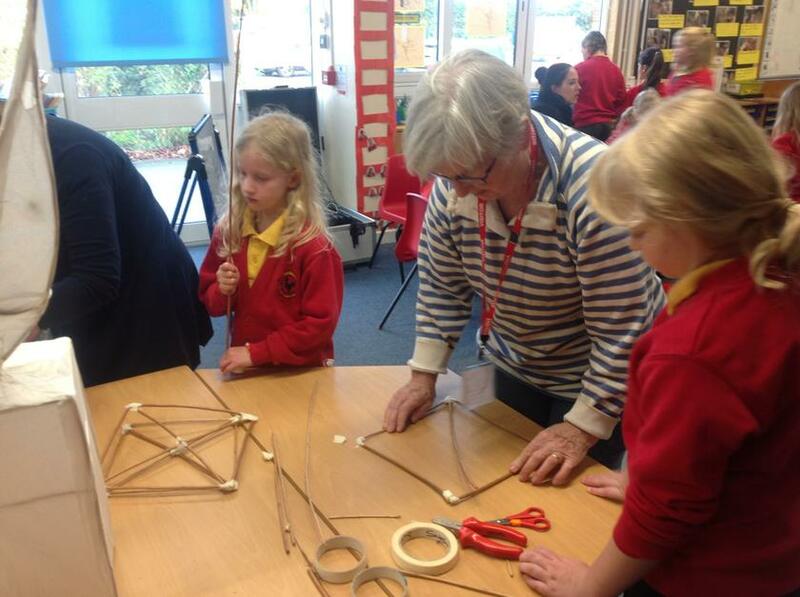 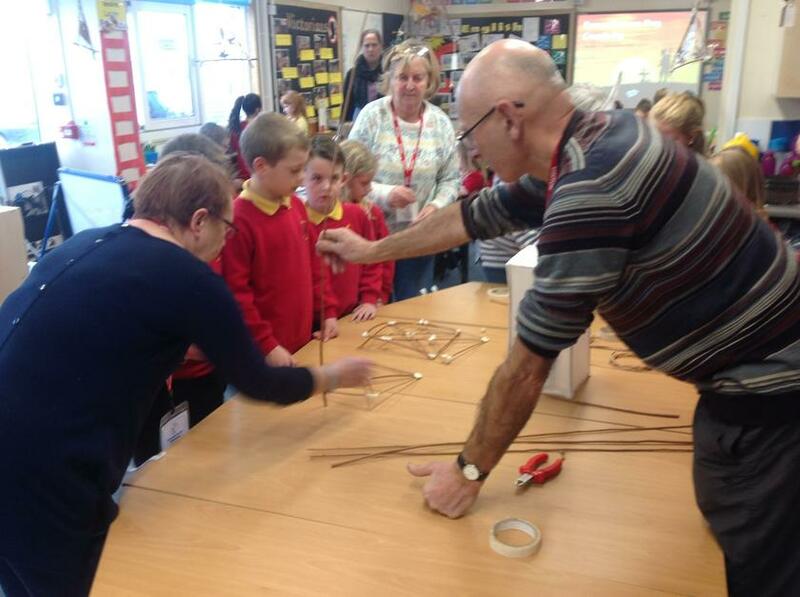 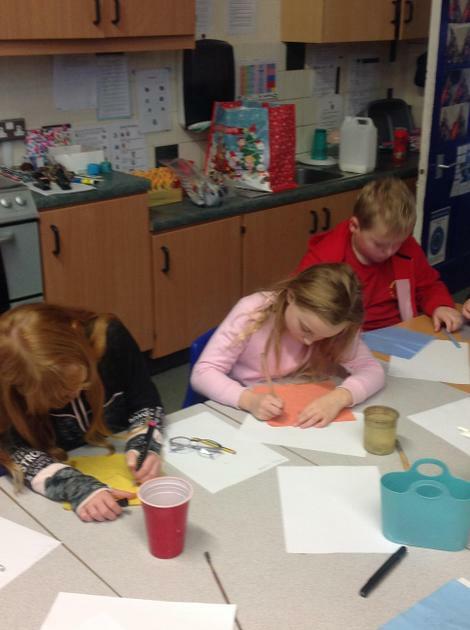 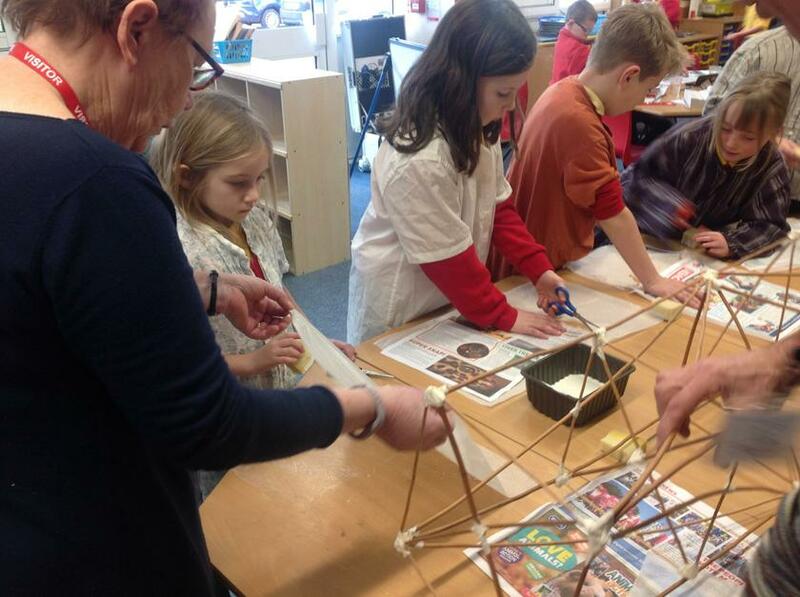 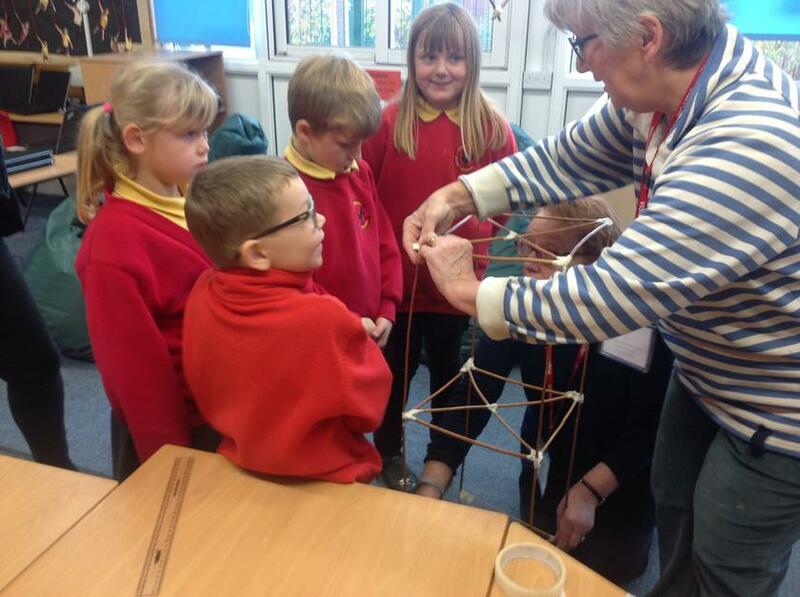 Ash class had a fantastic opportunity to work with the members of Fizz Gigz from Ellesmere to make a candle lantern to take to the Multicultural Day at the Marches. 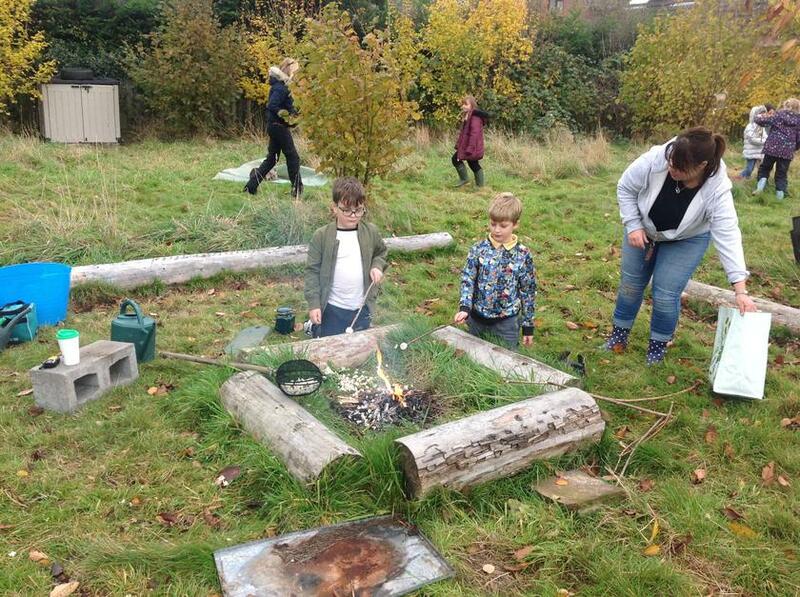 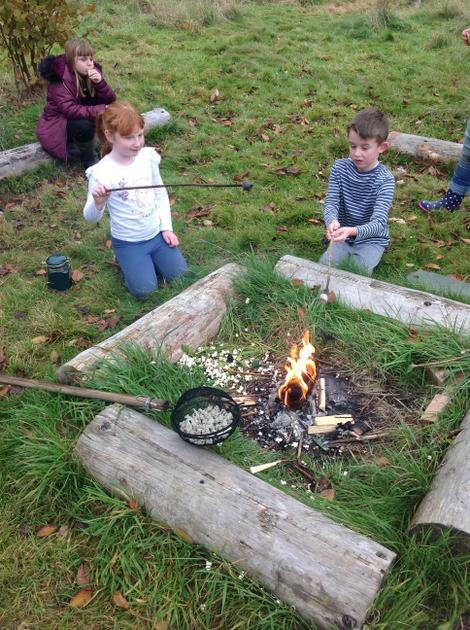 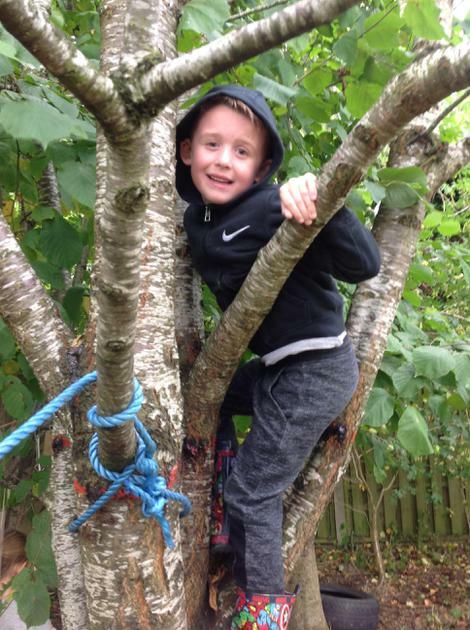 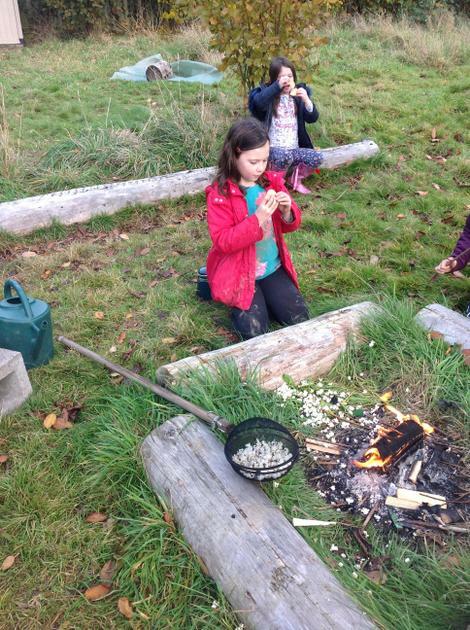 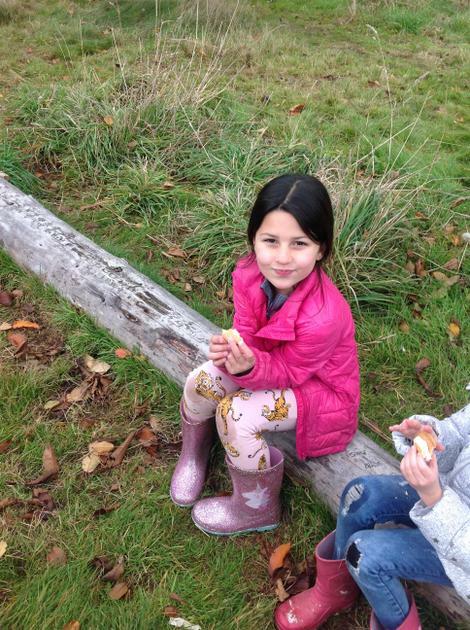 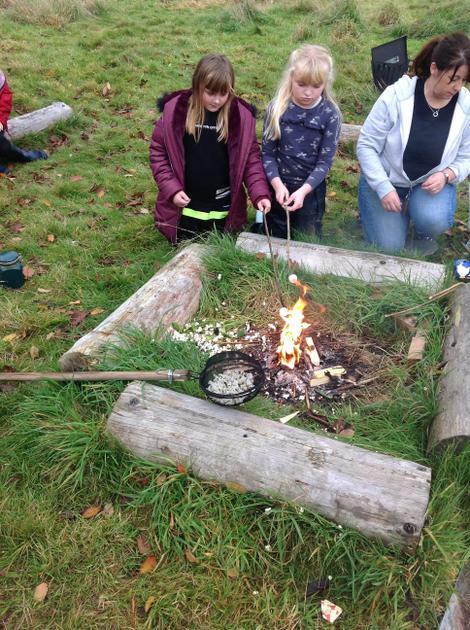 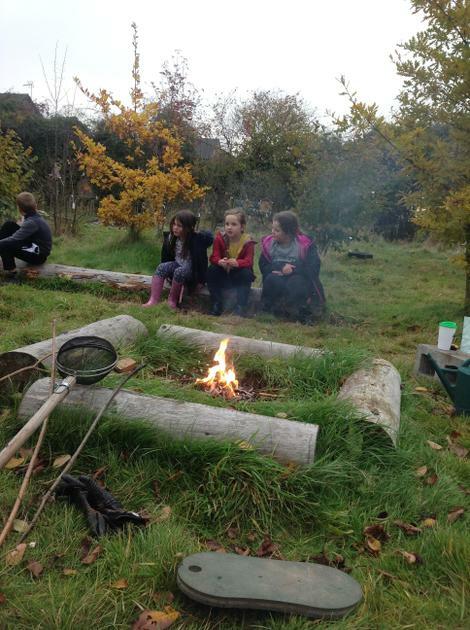 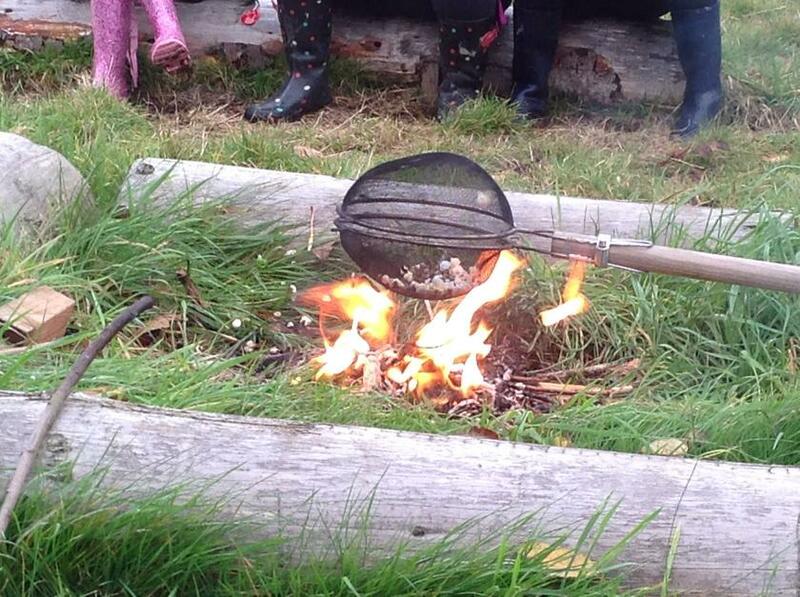 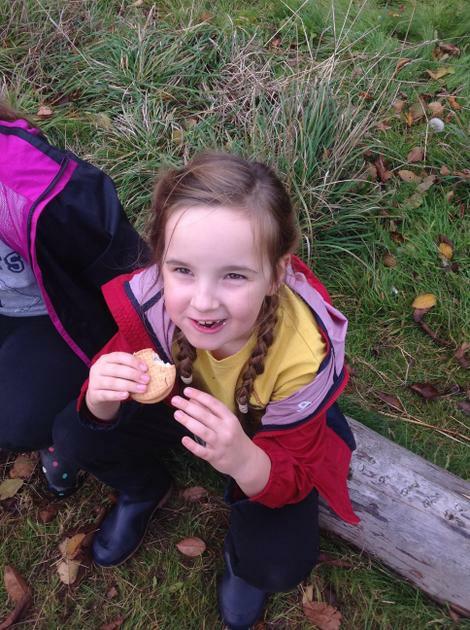 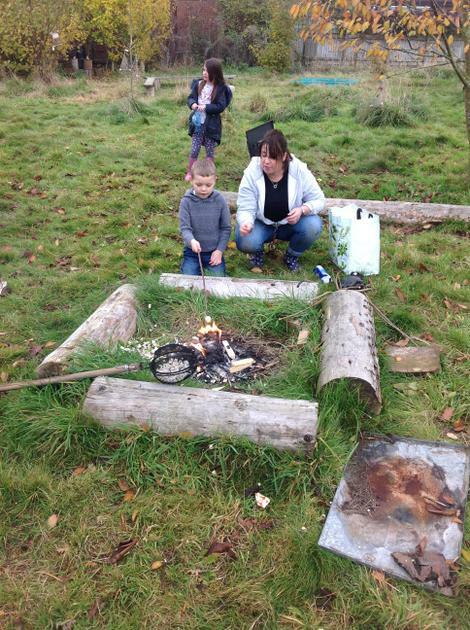 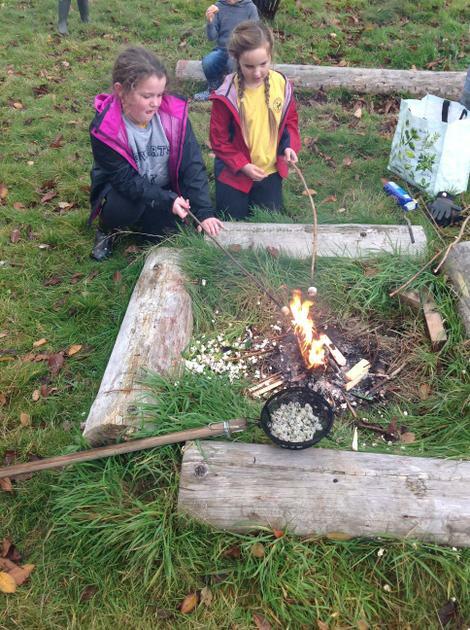 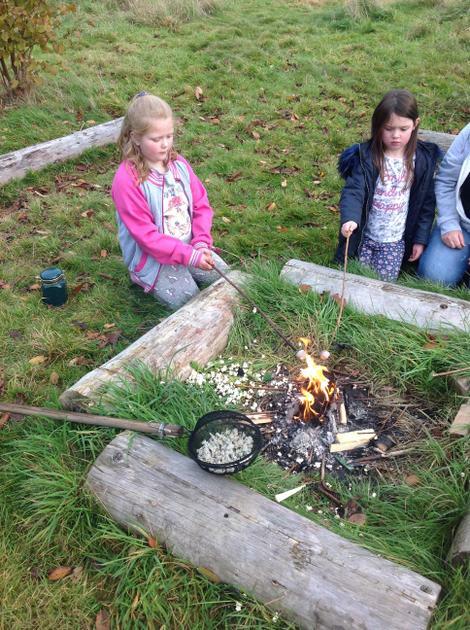 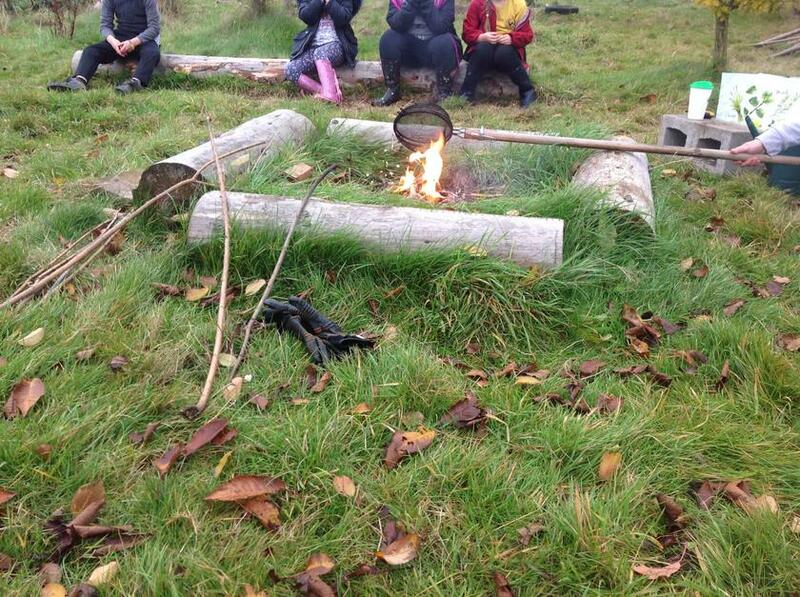 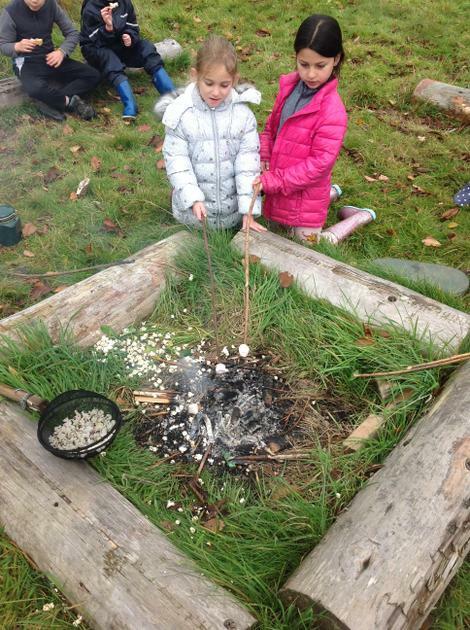 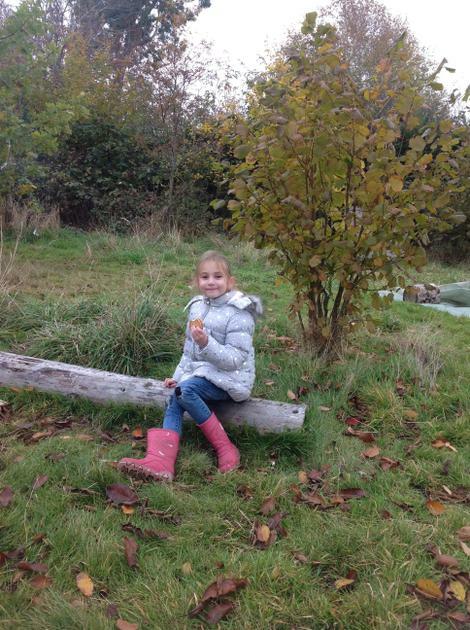 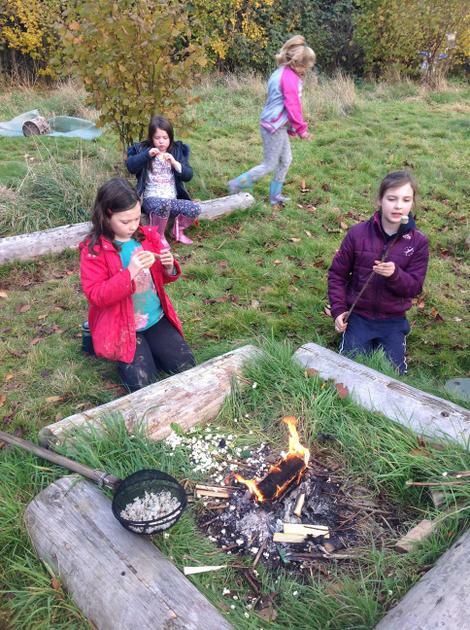 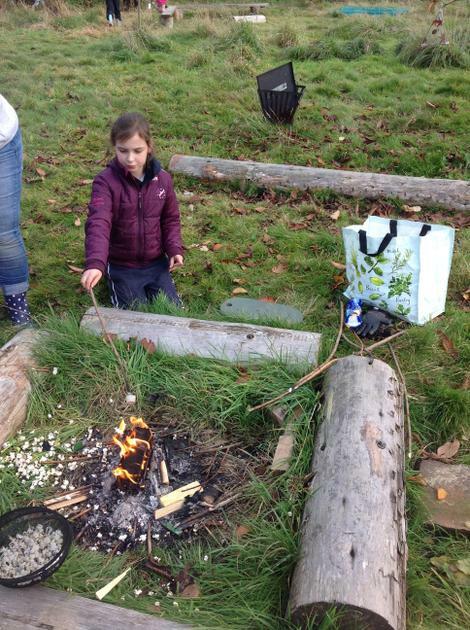 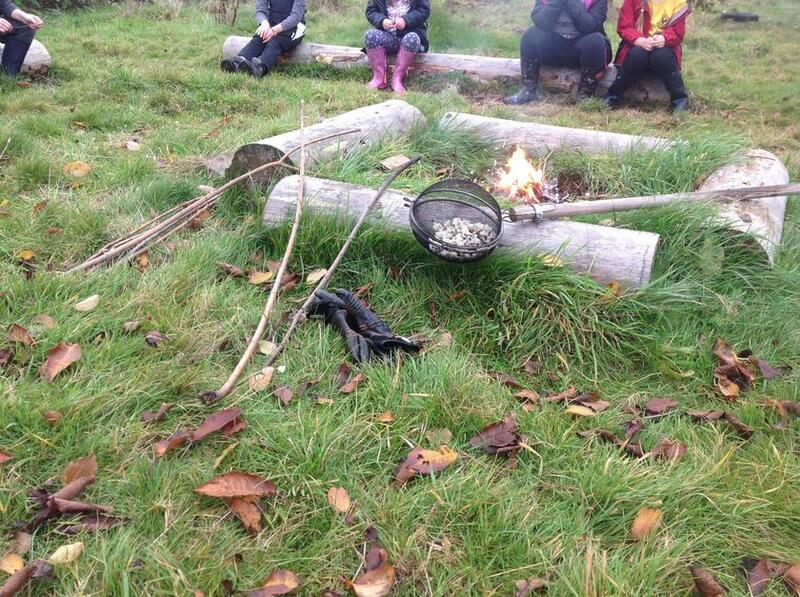 If you go down to the woods today, you'll have a big surprise......Ash class having a fantastic time around the campfire. 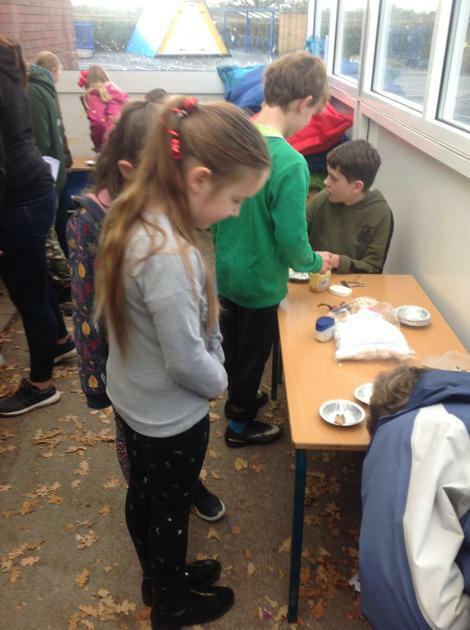 There was popcorn making, marshmallows toasting and s'mores being enjoyed by all. 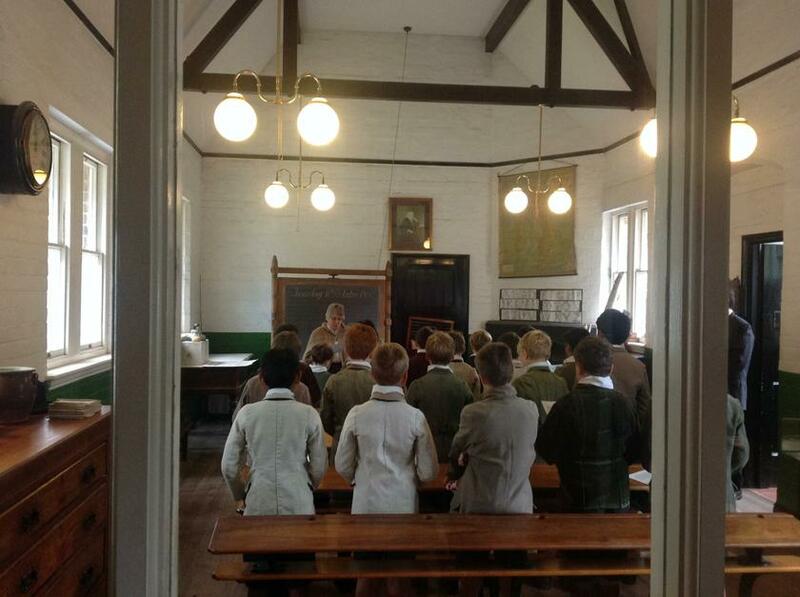 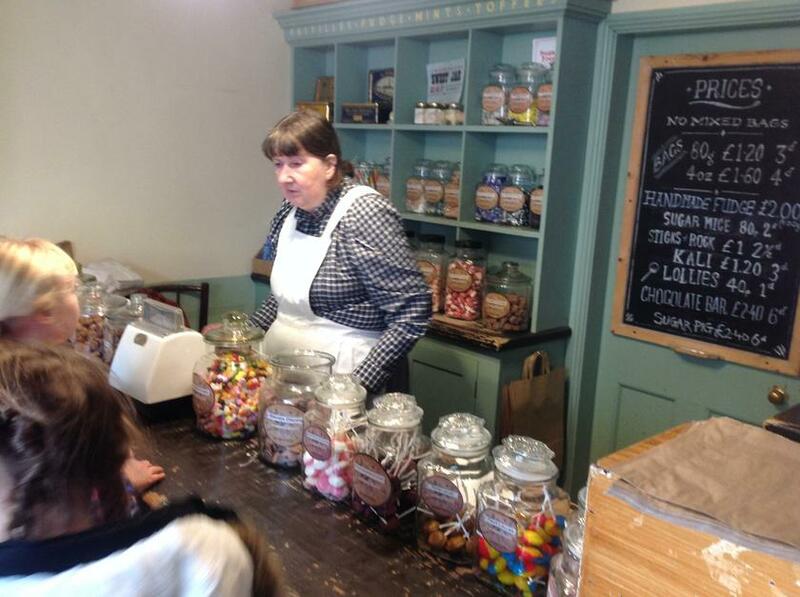 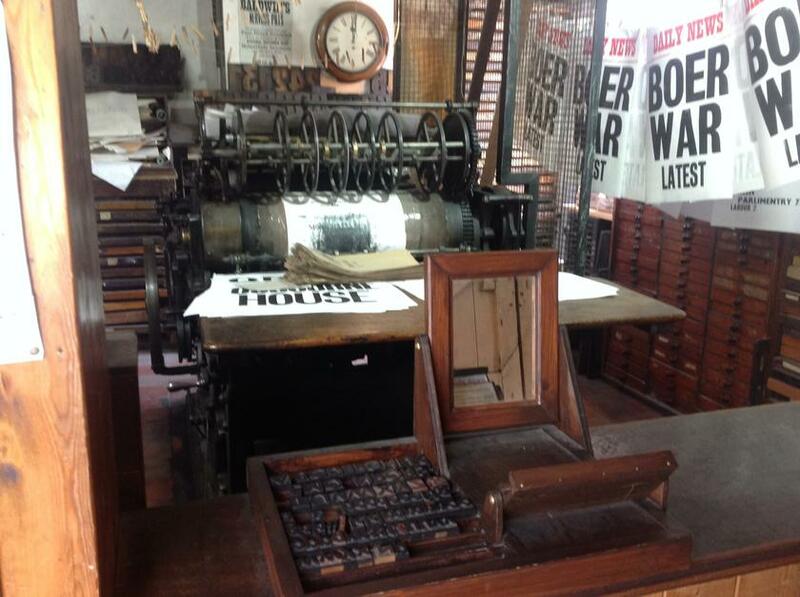 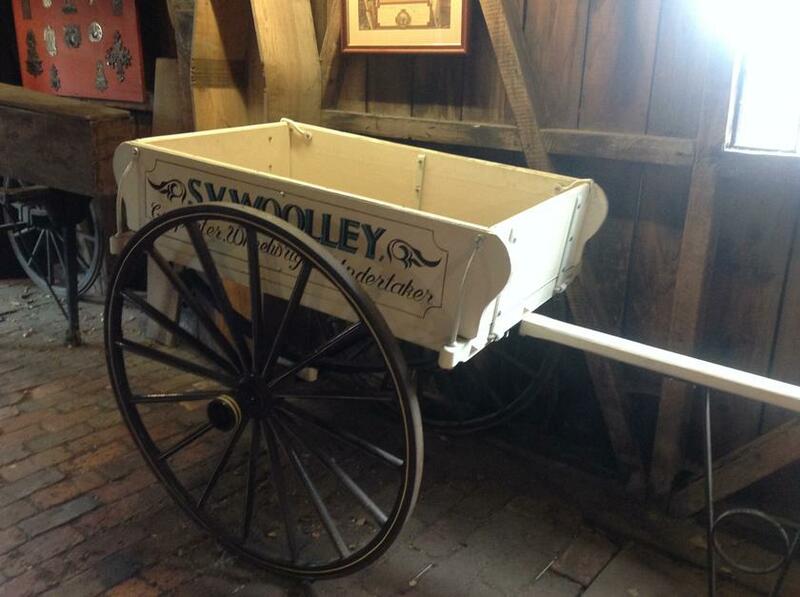 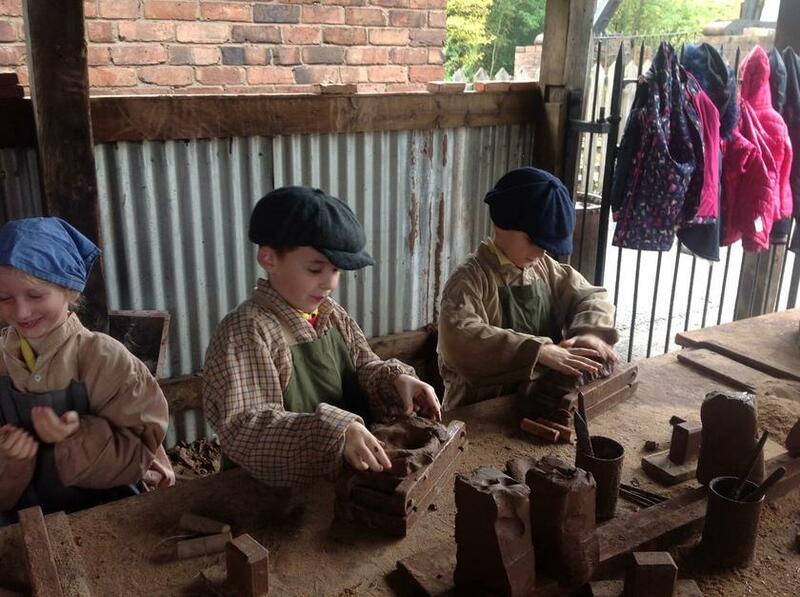 Ash class enjoyed a fantastic day at Blists Hill Victorian Town where we explored life in Victorian times. 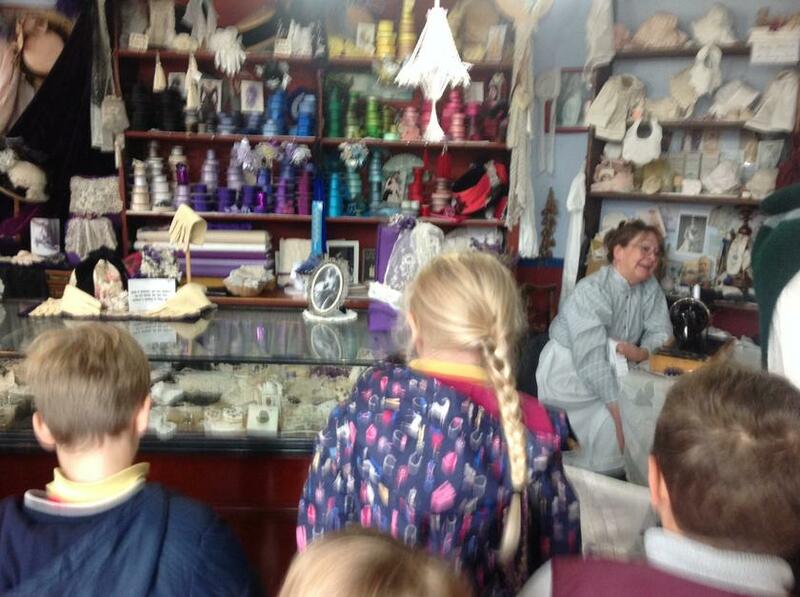 We visited the shops, houses, school, doctors surgery and many places of work whilst talking to the towns folk about their life and trades. 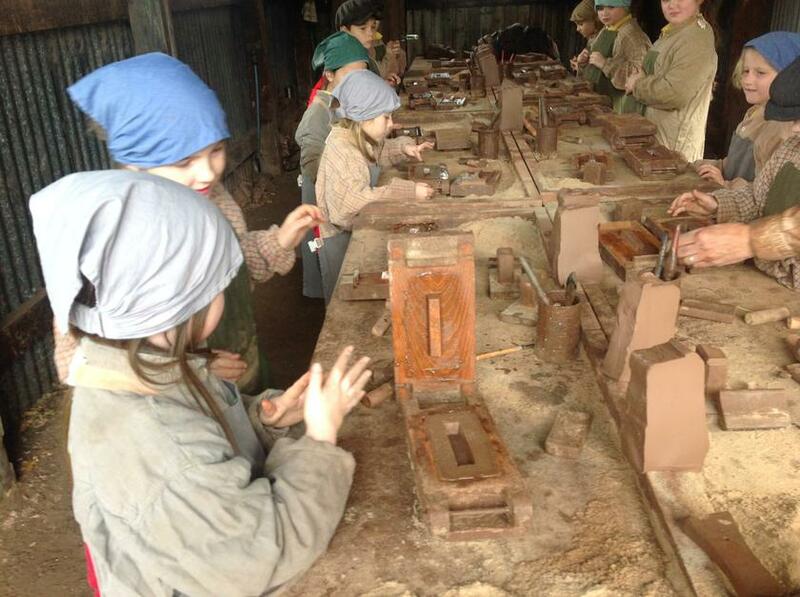 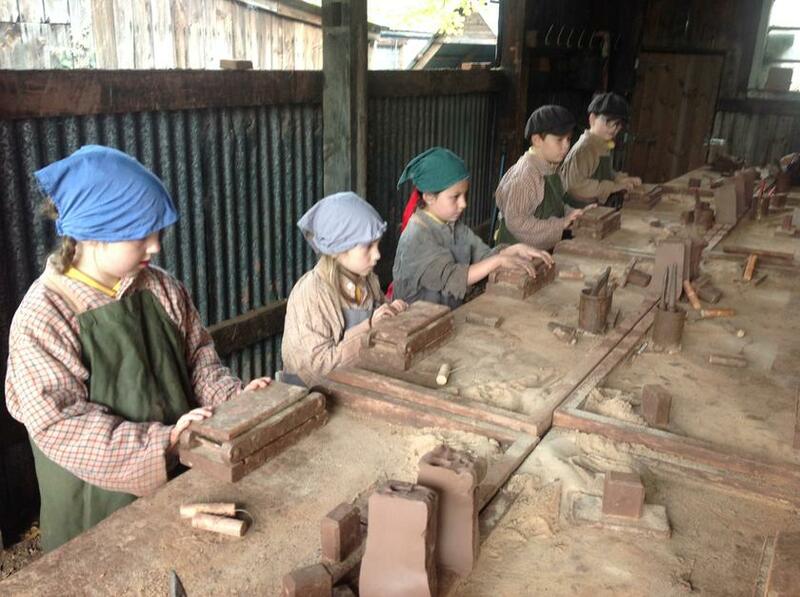 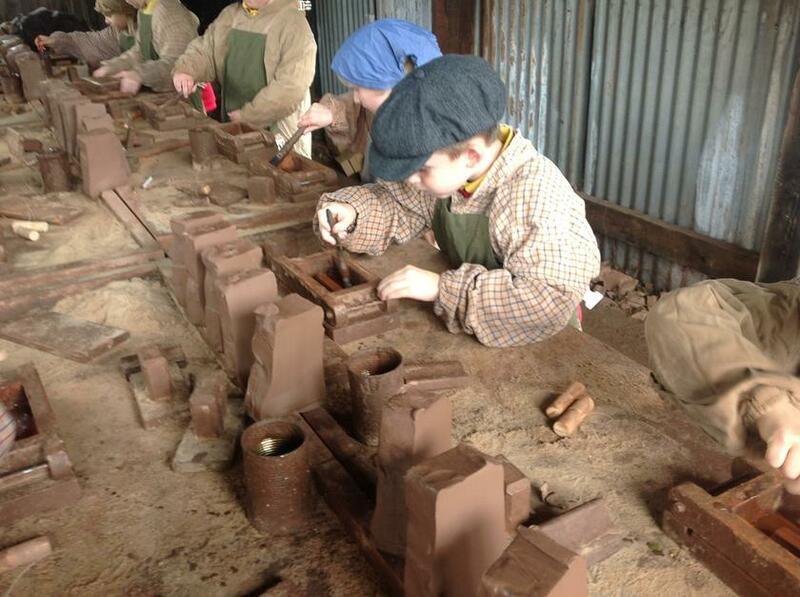 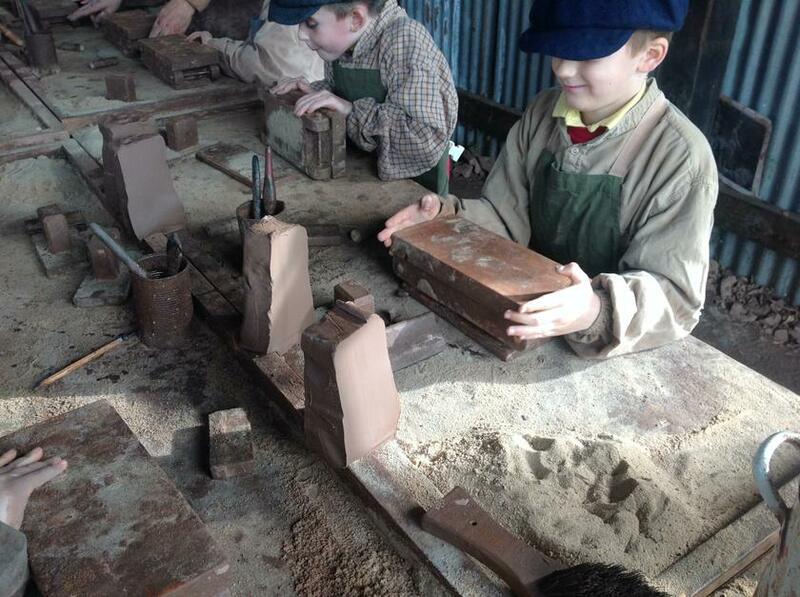 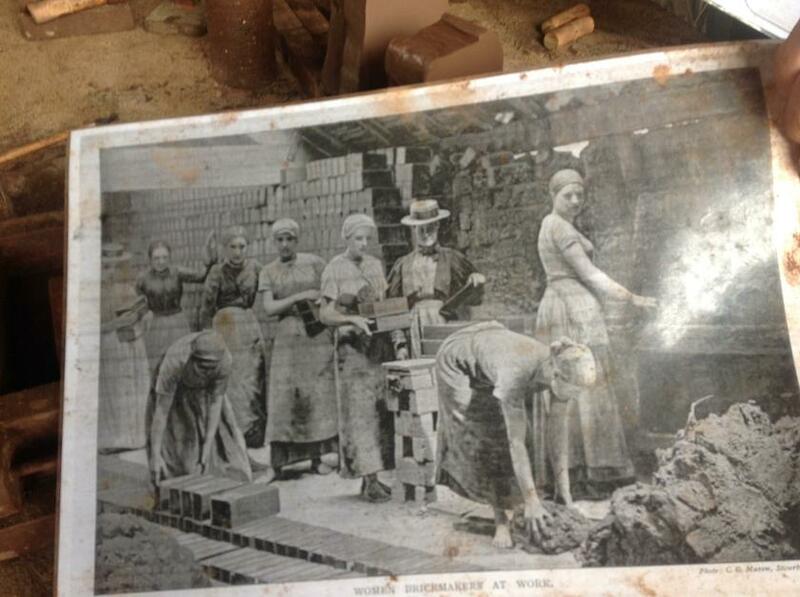 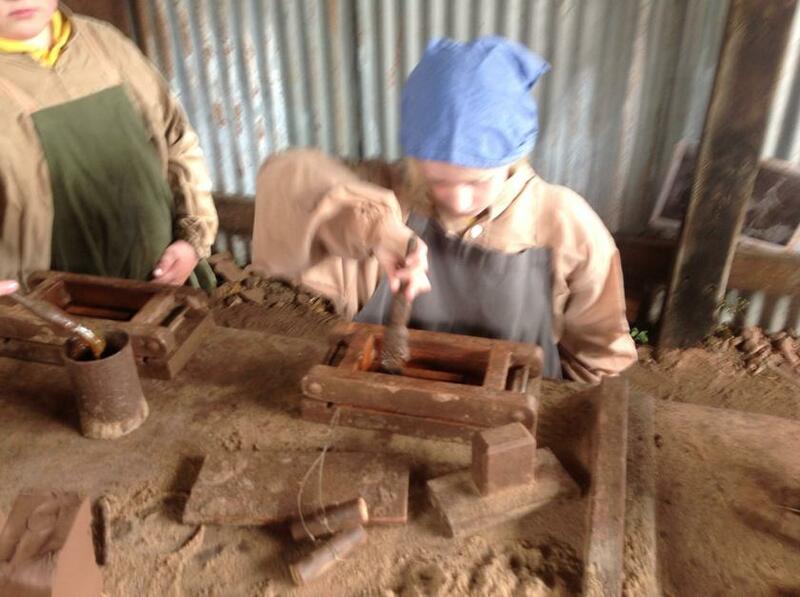 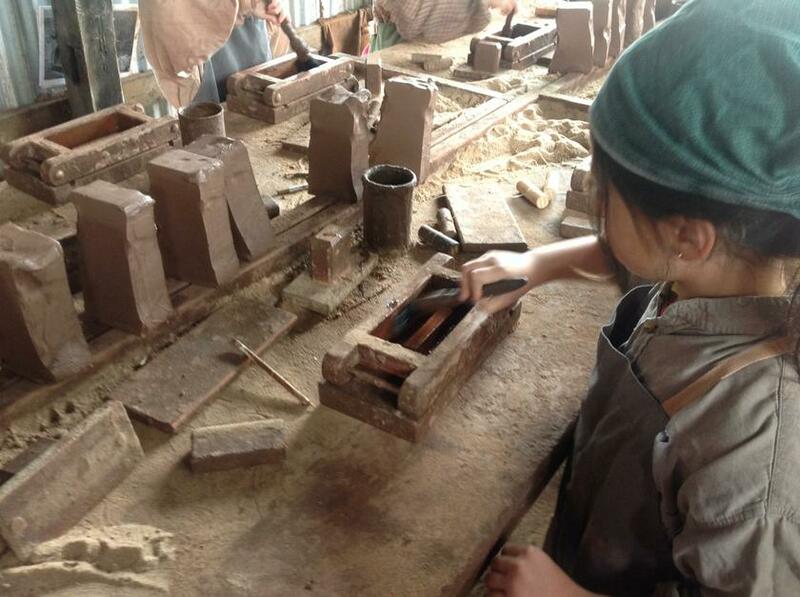 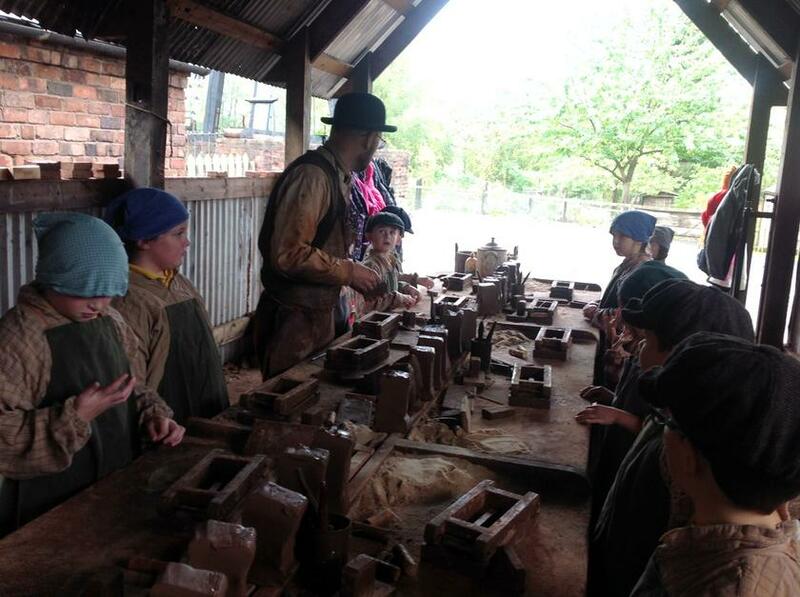 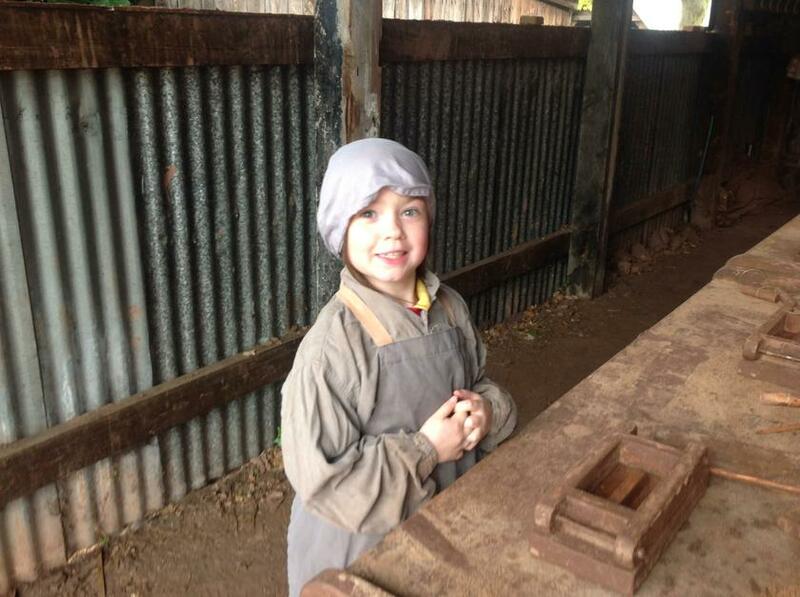 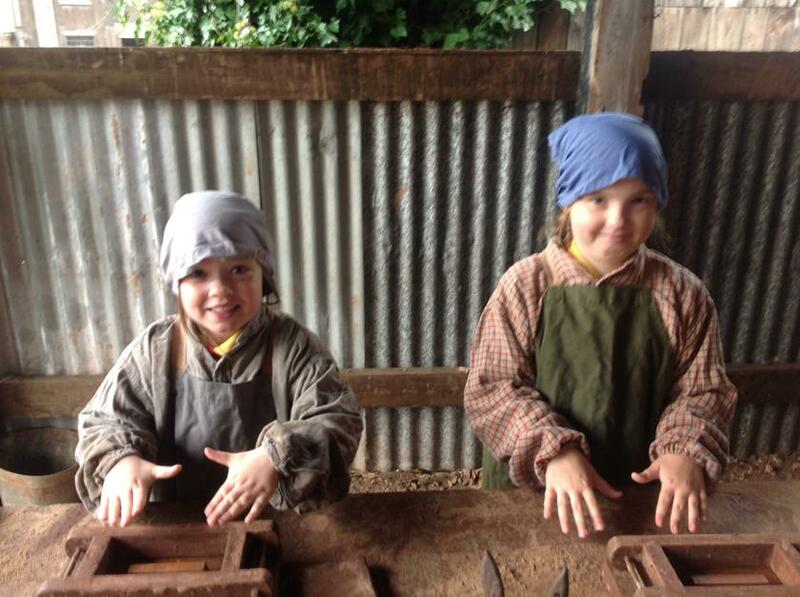 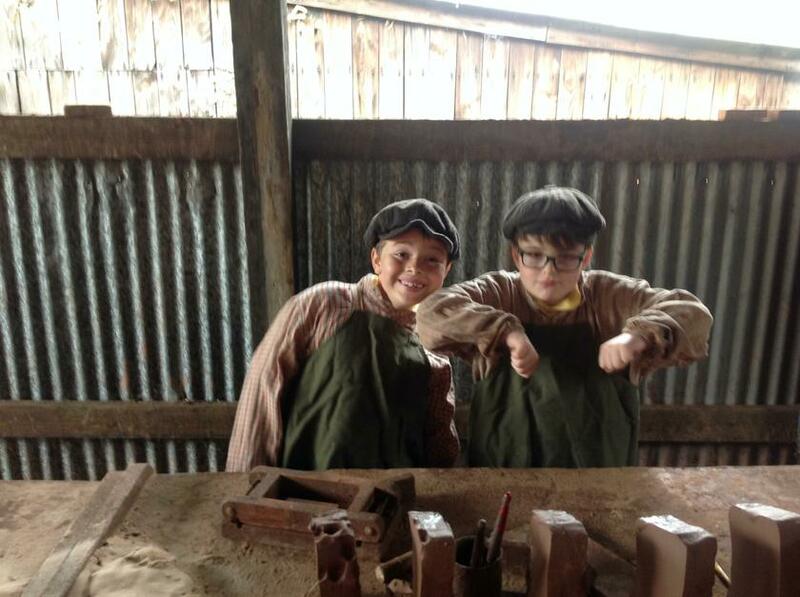 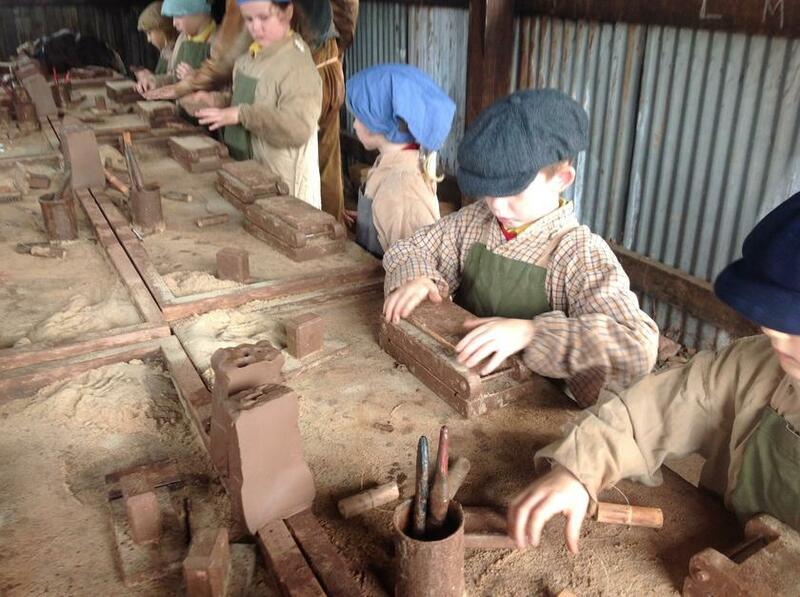 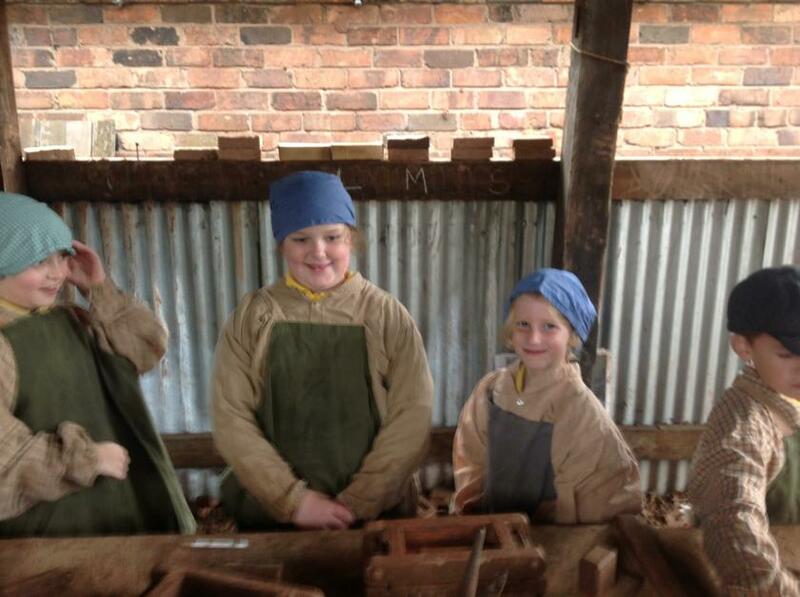 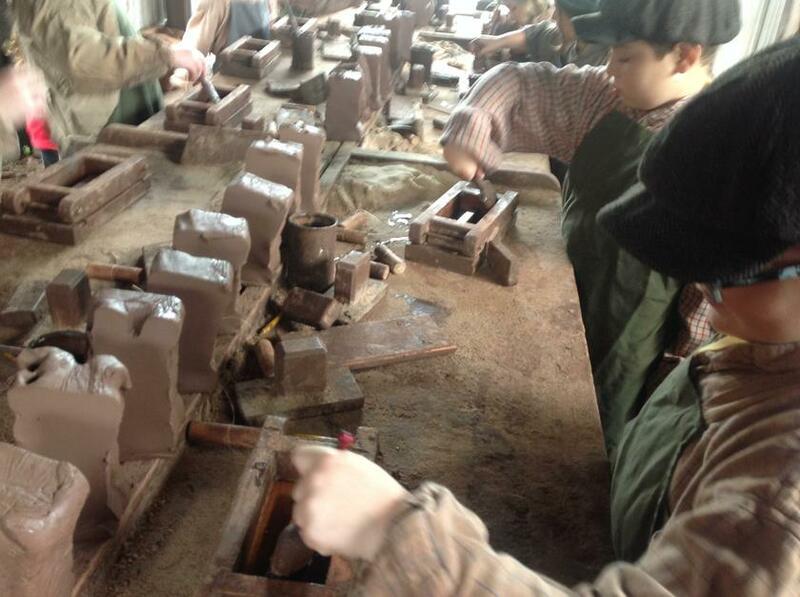 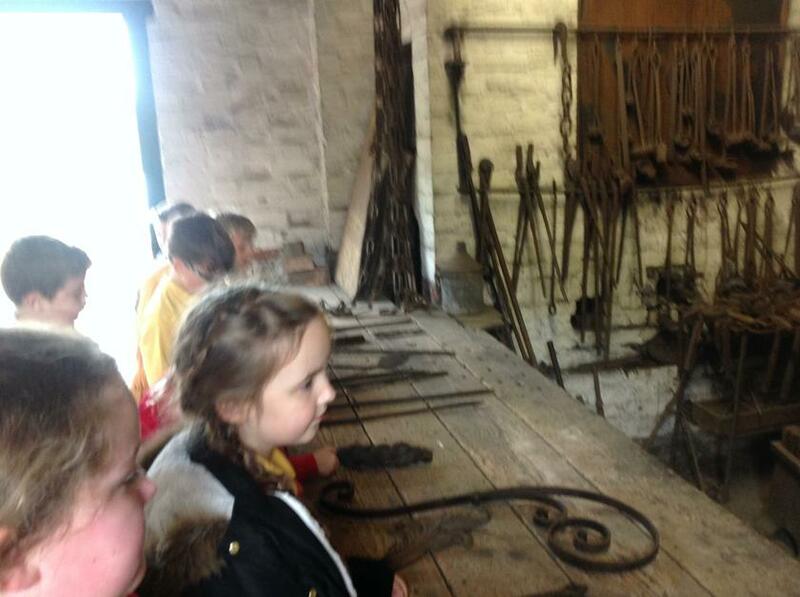 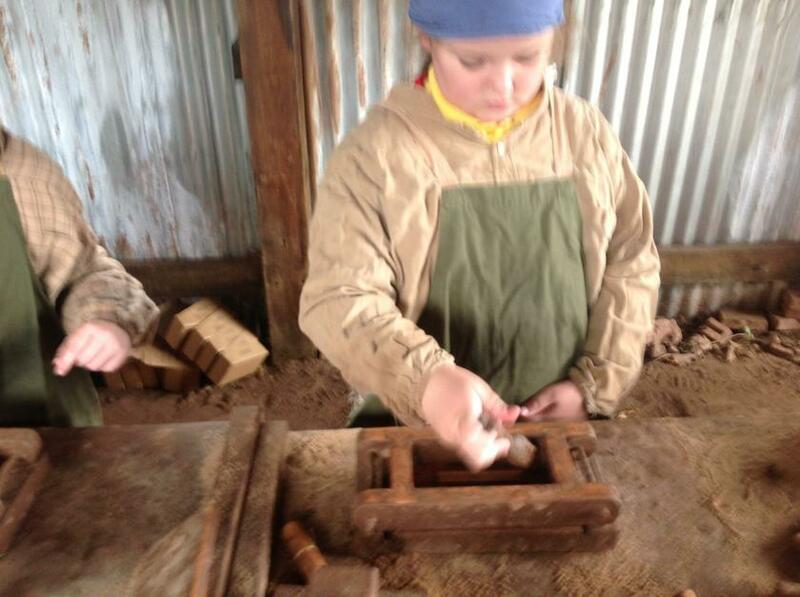 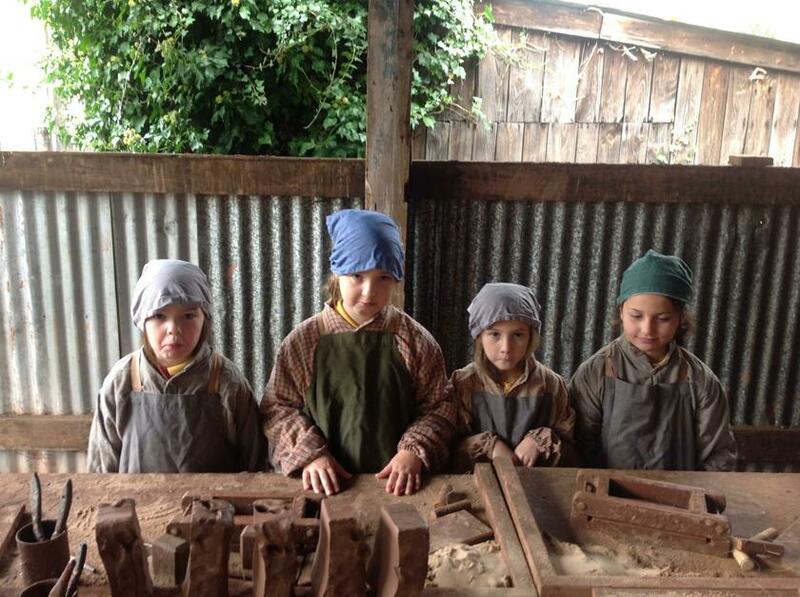 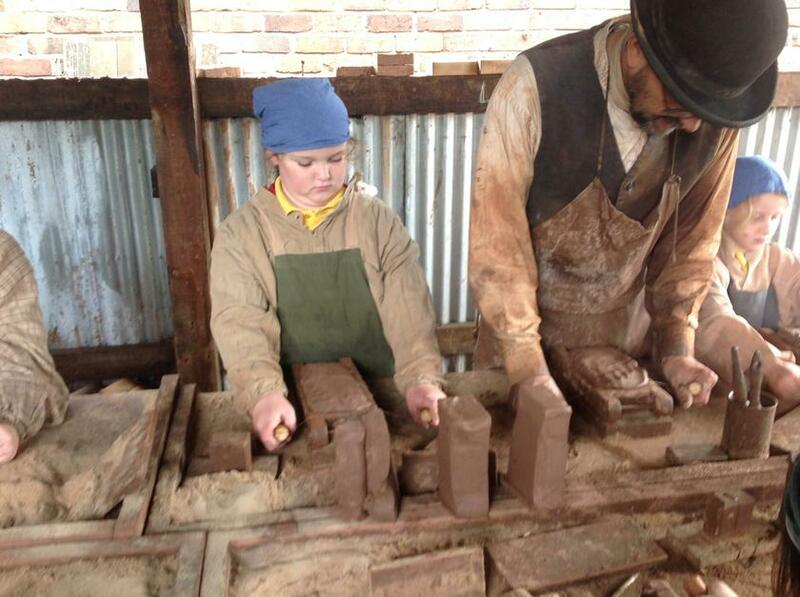 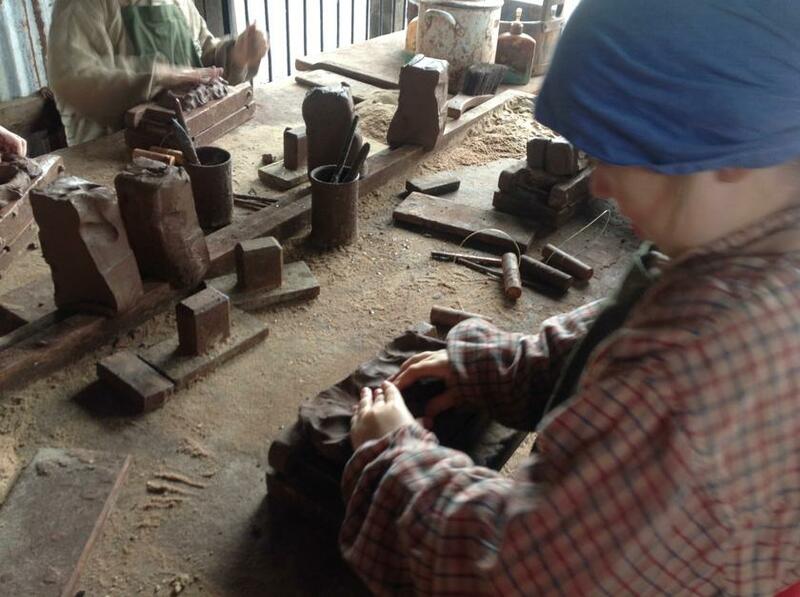 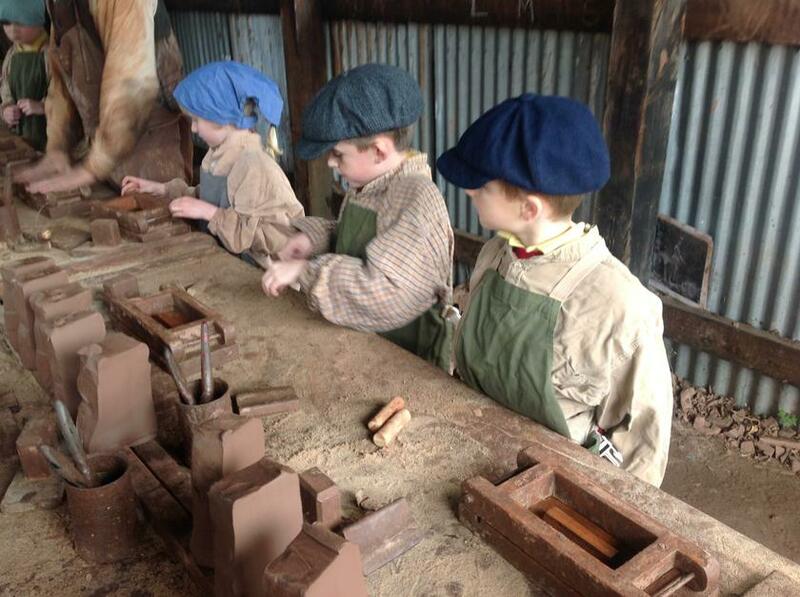 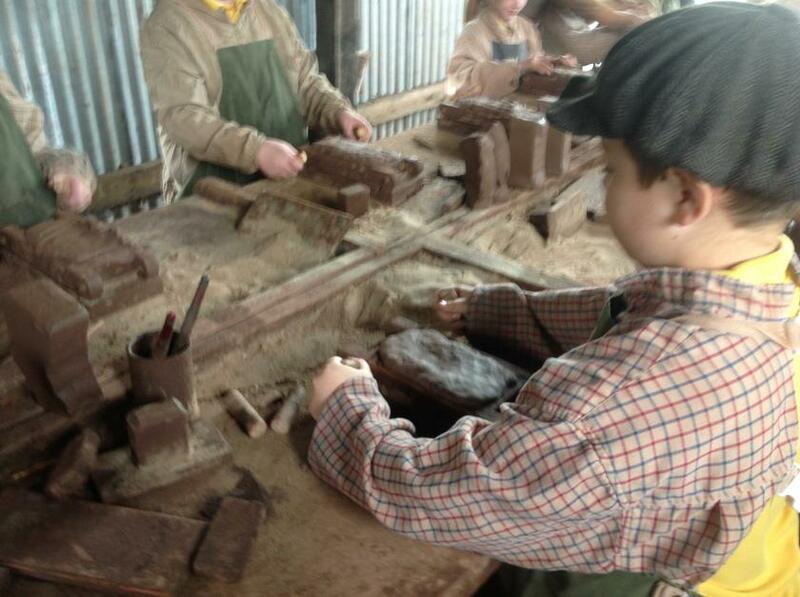 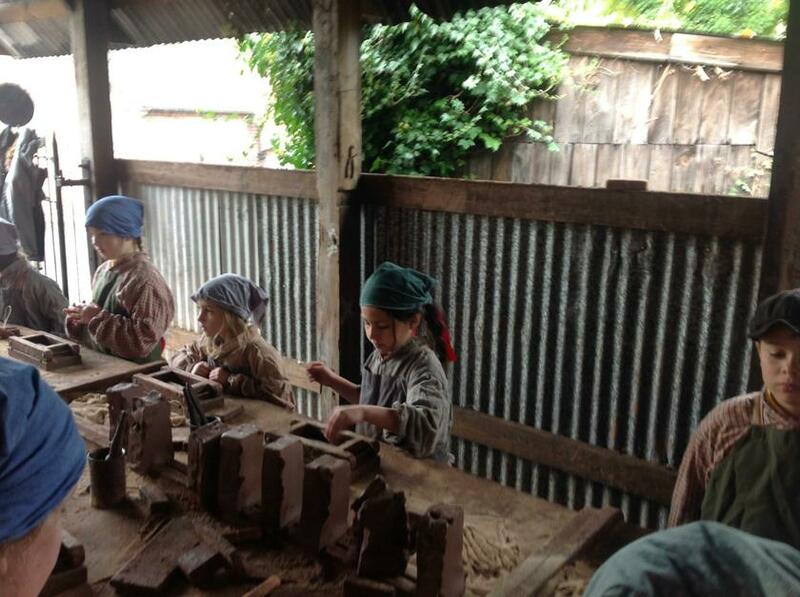 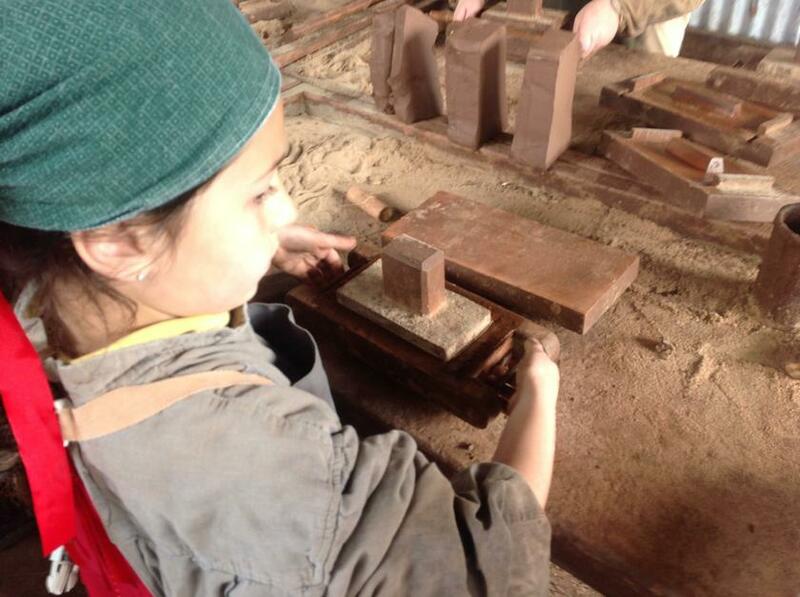 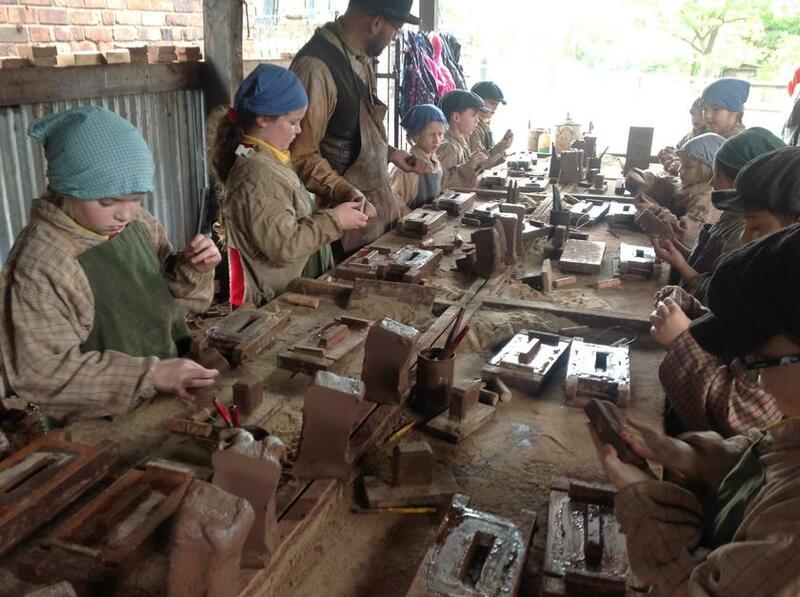 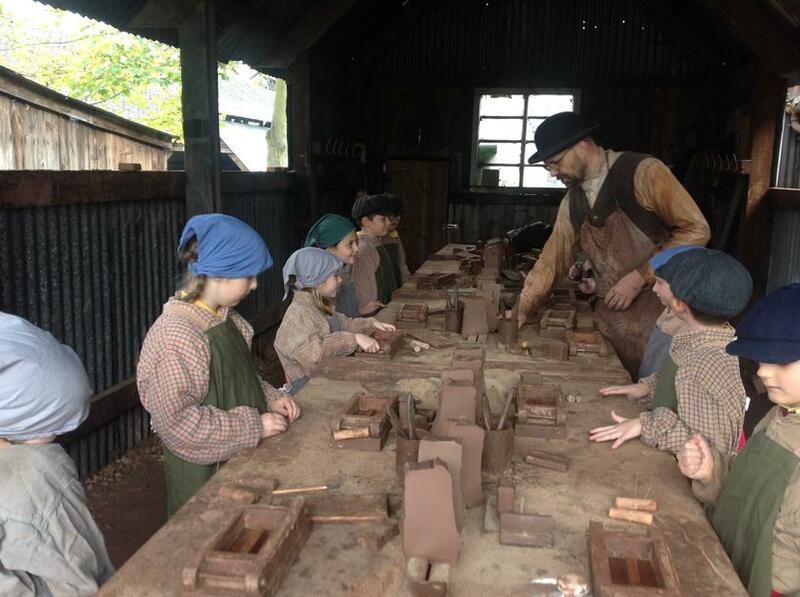 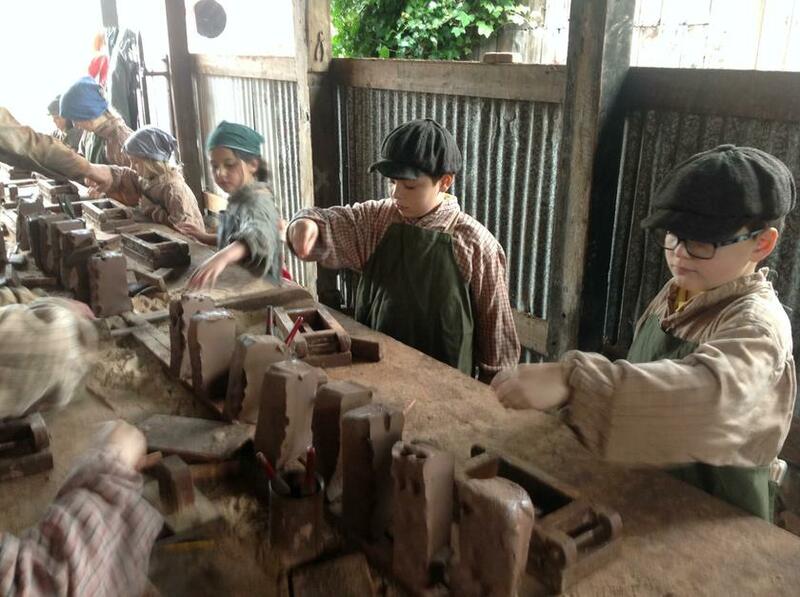 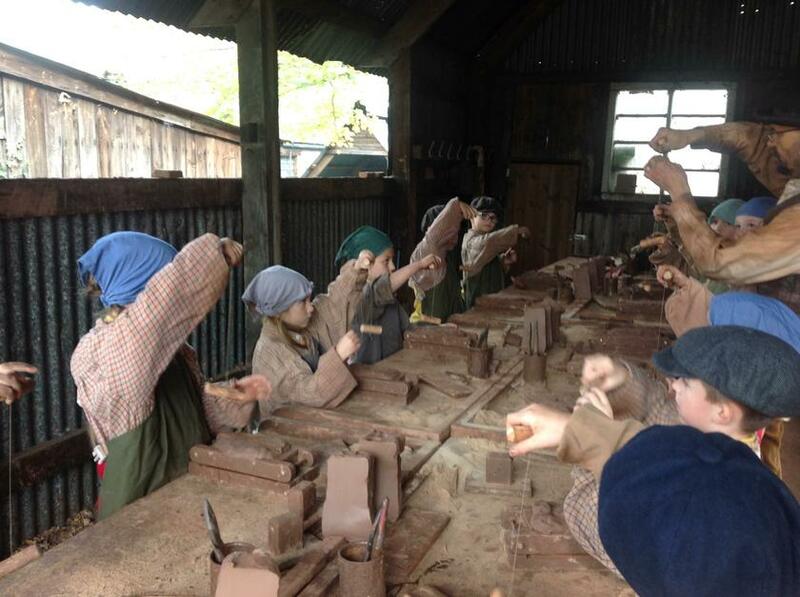 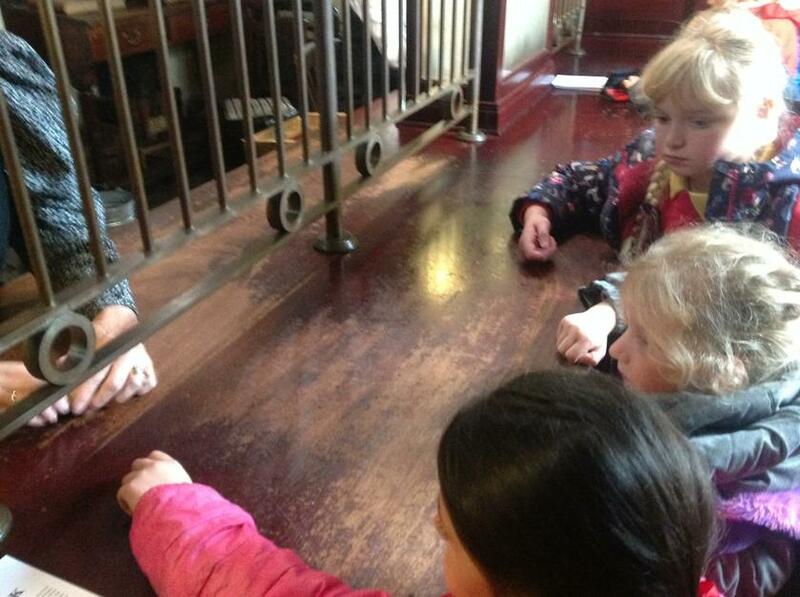 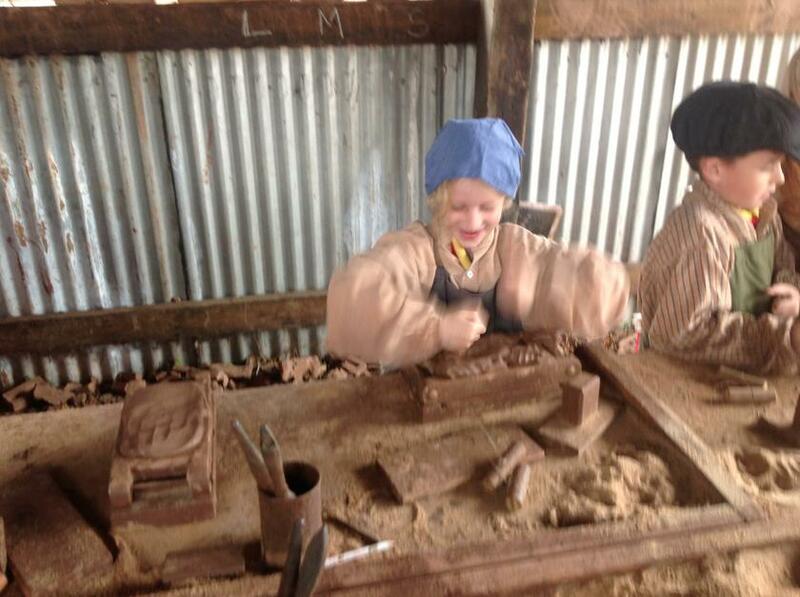 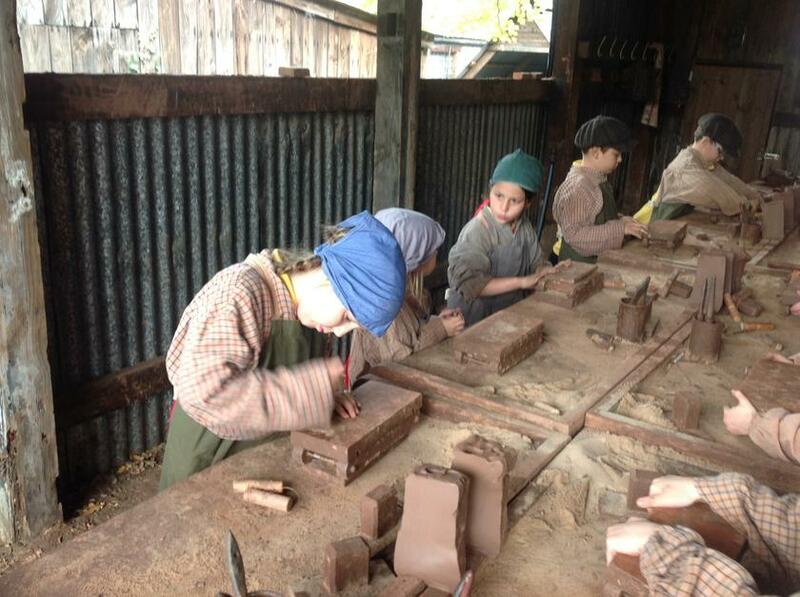 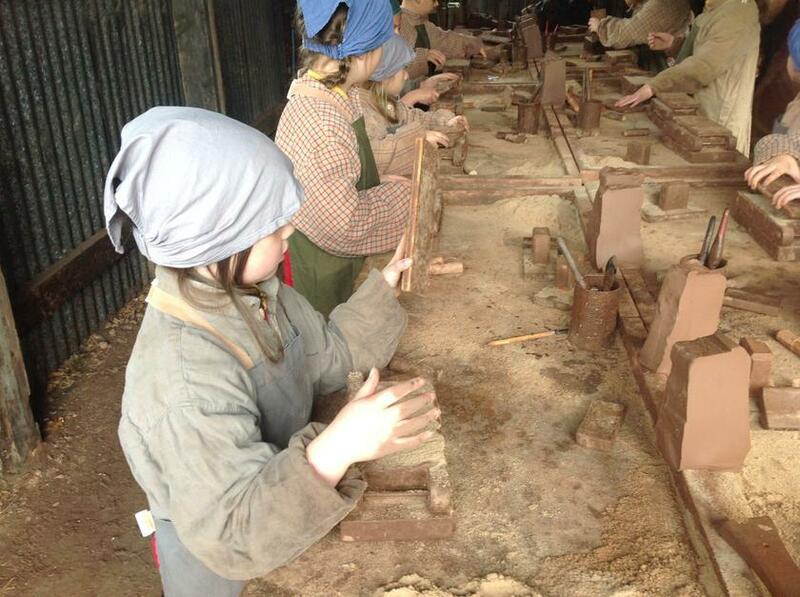 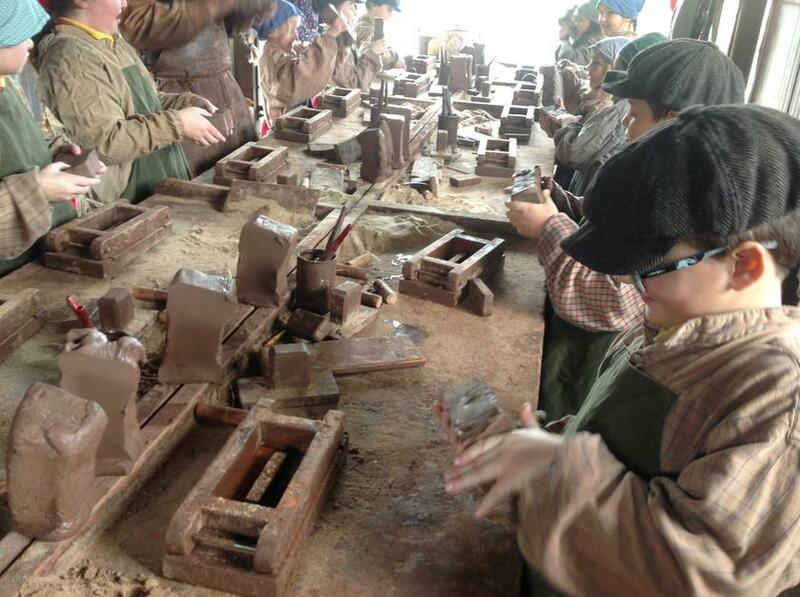 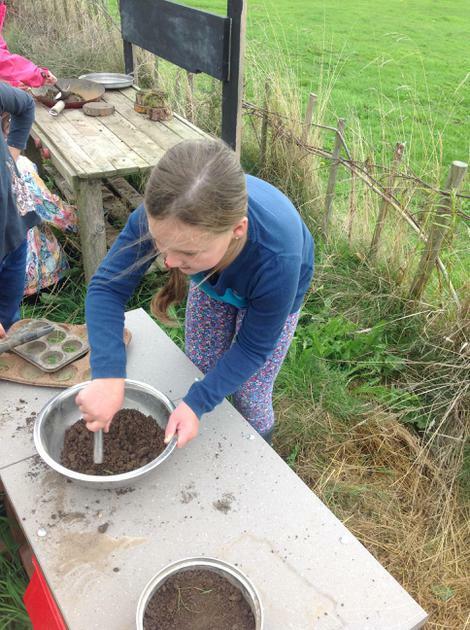 During the morning we experienced first hand life as a working Victorian child in a brick making workshop. 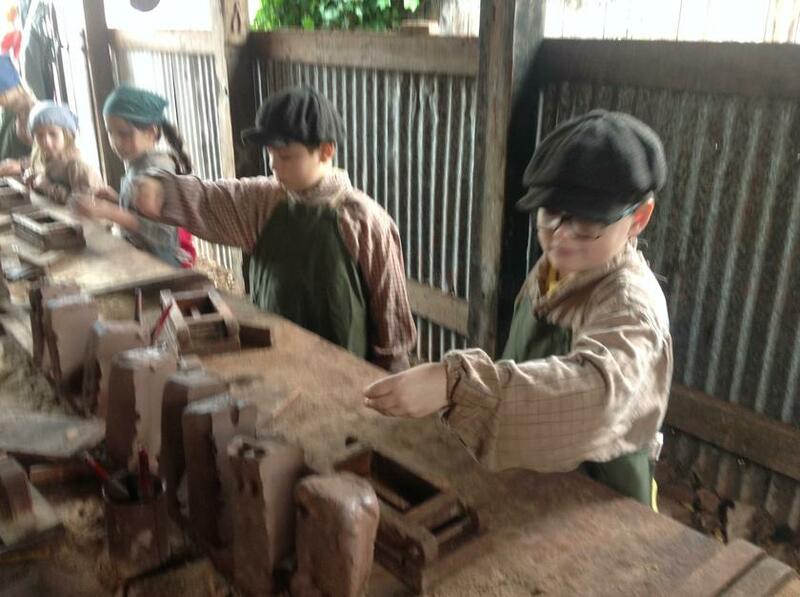 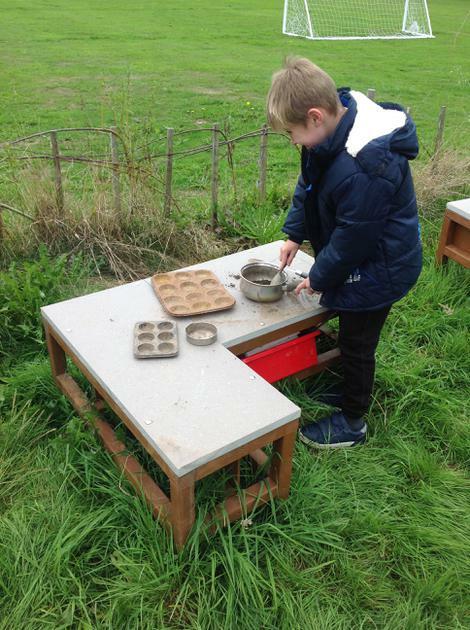 We learnt that there are many stages involved just to make one brick and the Victorian children had to make up to 1000 a day! 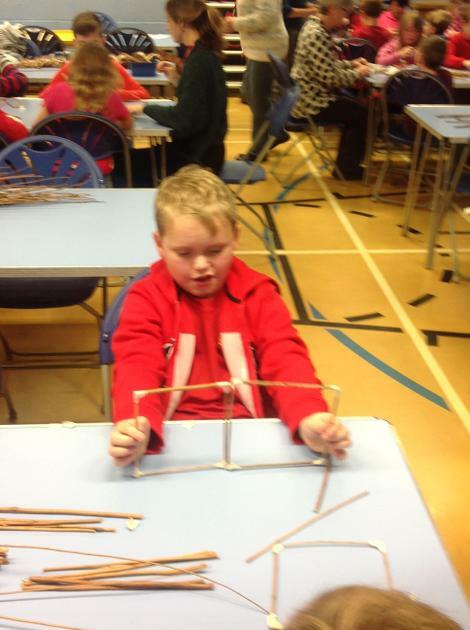 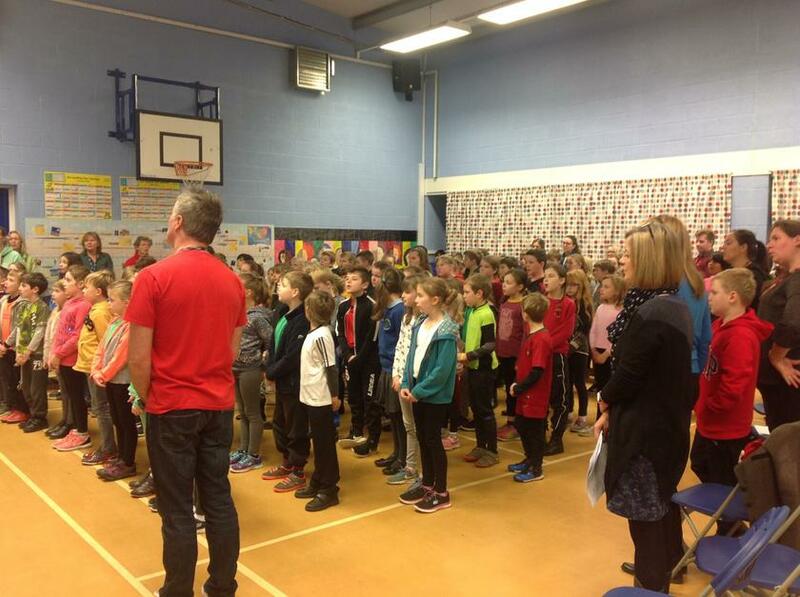 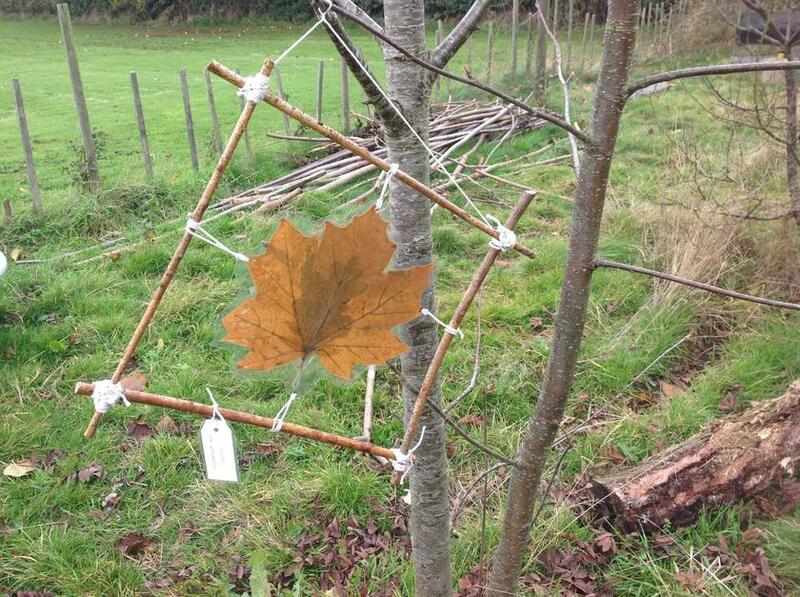 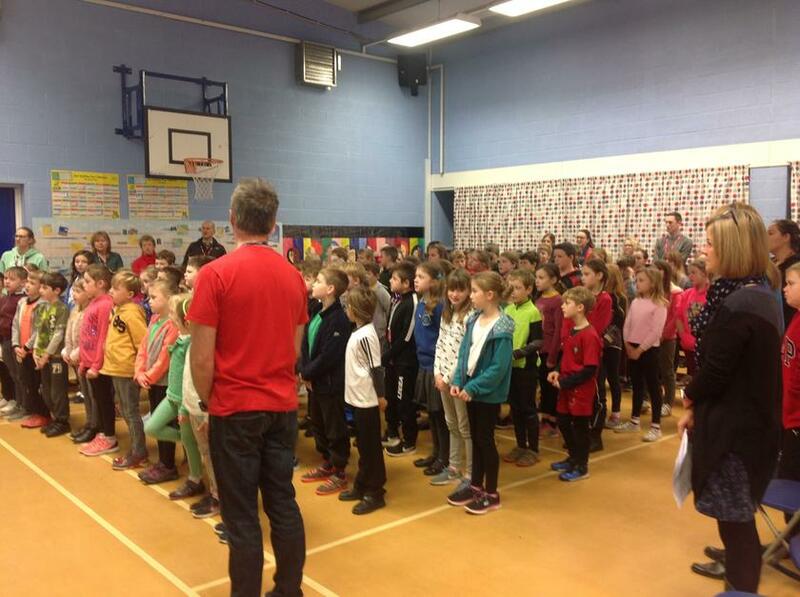 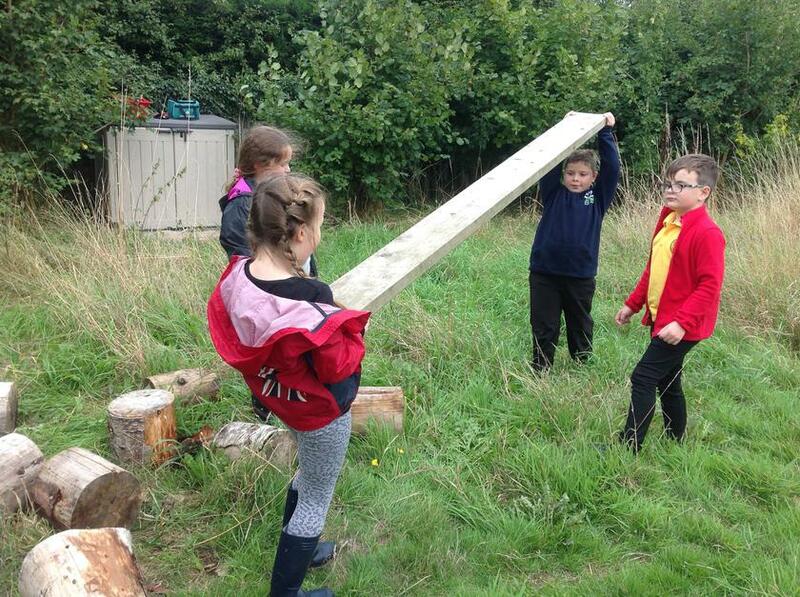 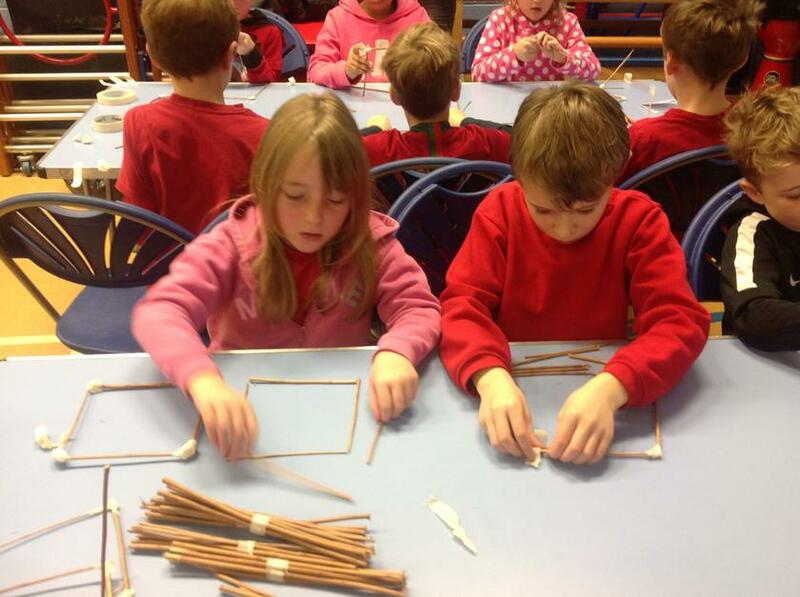 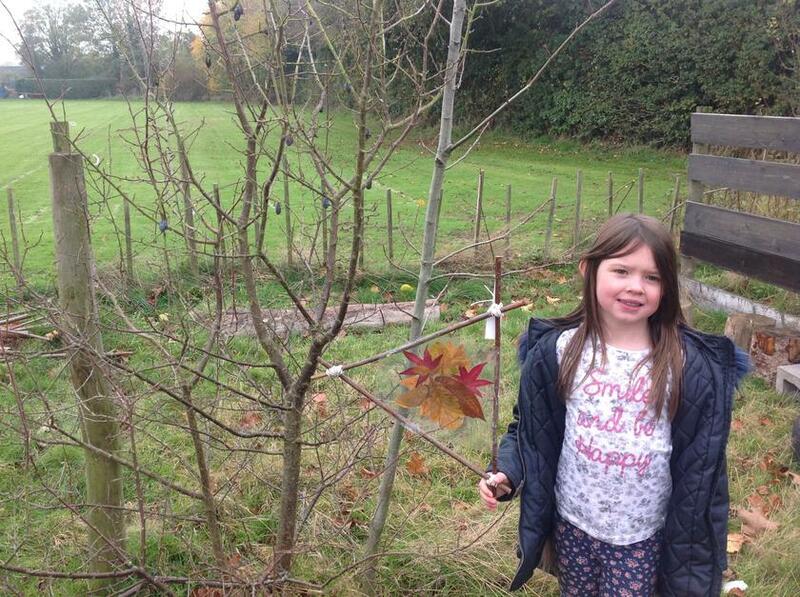 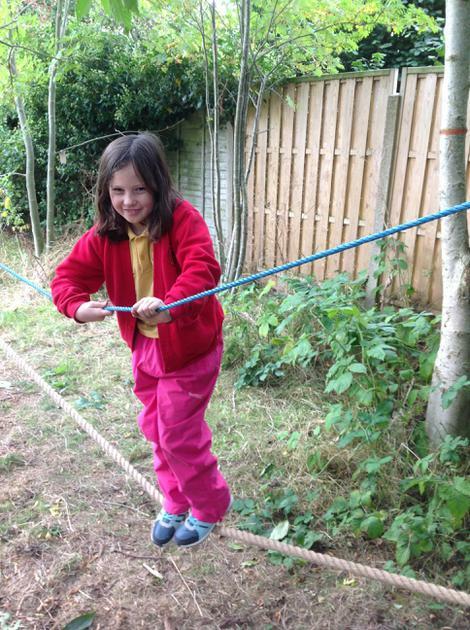 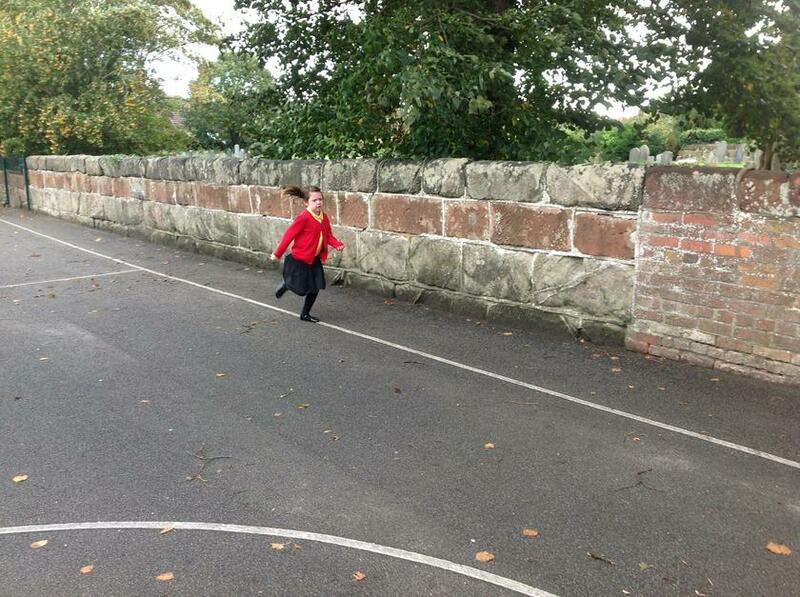 As always the children were a credit to the school with their enthusiasm and behaviour. 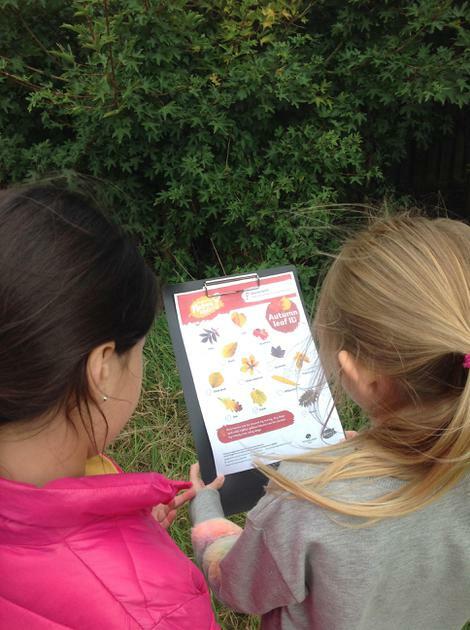 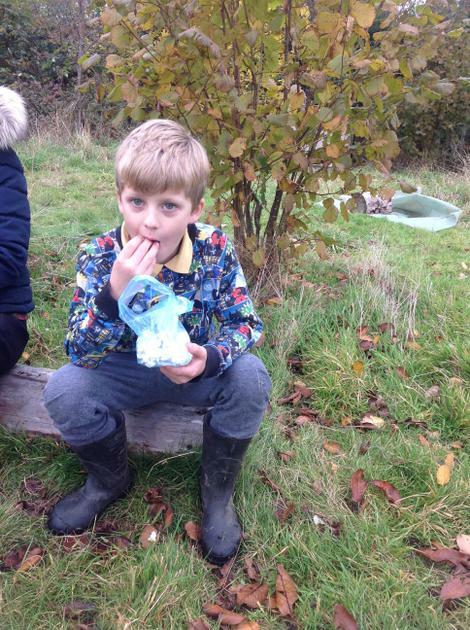 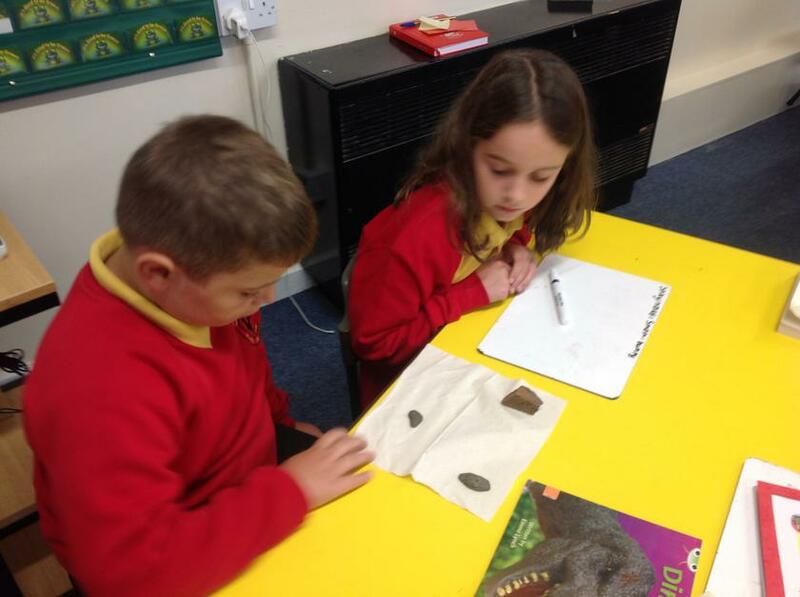 What's the best way to learn about rocks...... CHOCOLATE! 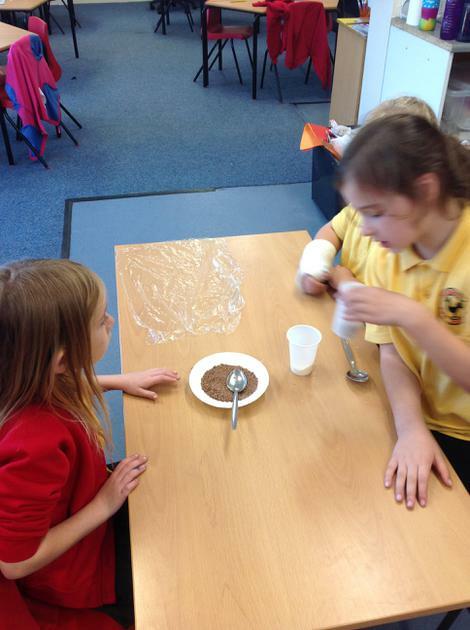 We layered different chocolate and applied pressure to create sedimentary rock, then warmed it up to change the shape, cooled it in cold water to make metaphoric rock. 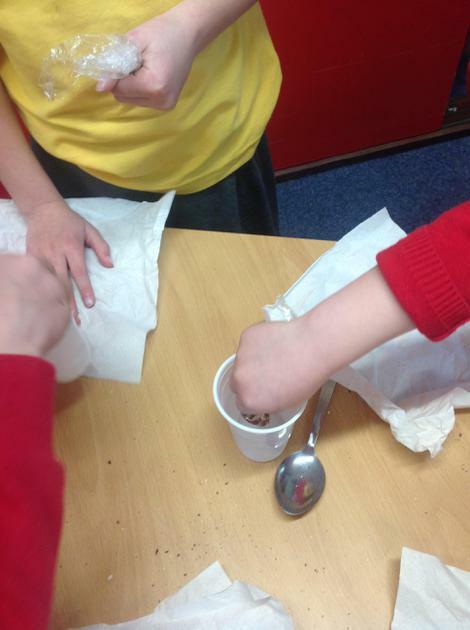 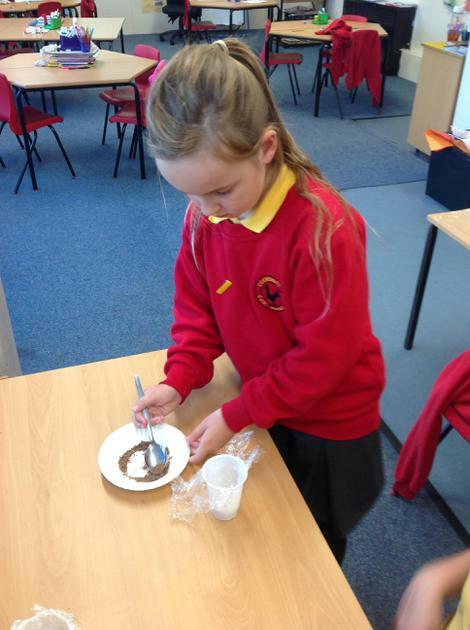 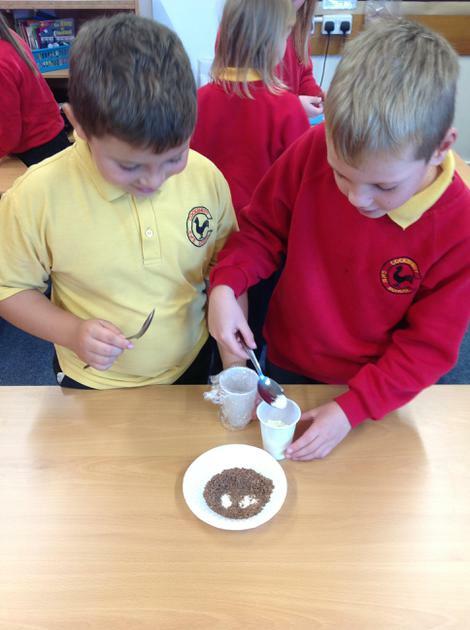 We also explored how melted chocolate changes to demonstrate igneous rock. 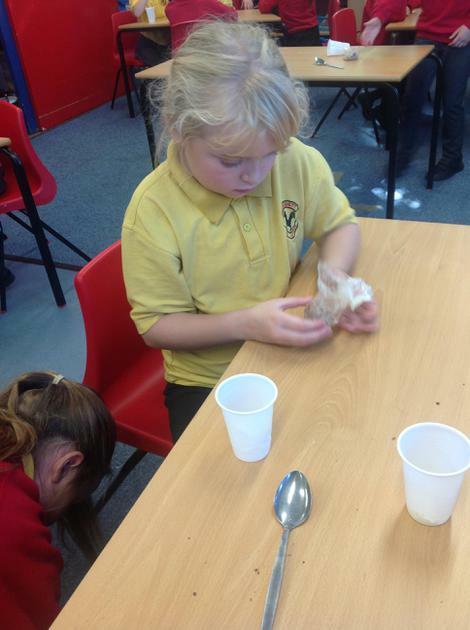 We loved learning through this hands on experiment and the best part...eating them! 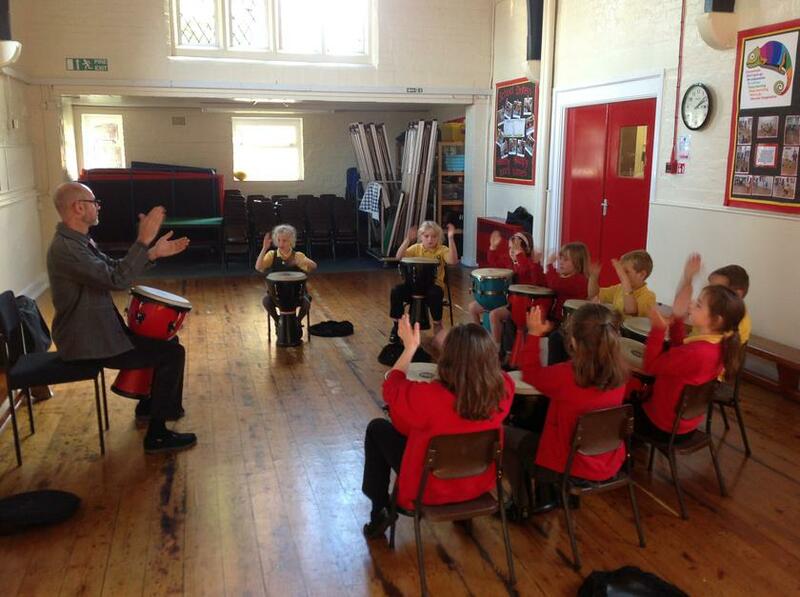 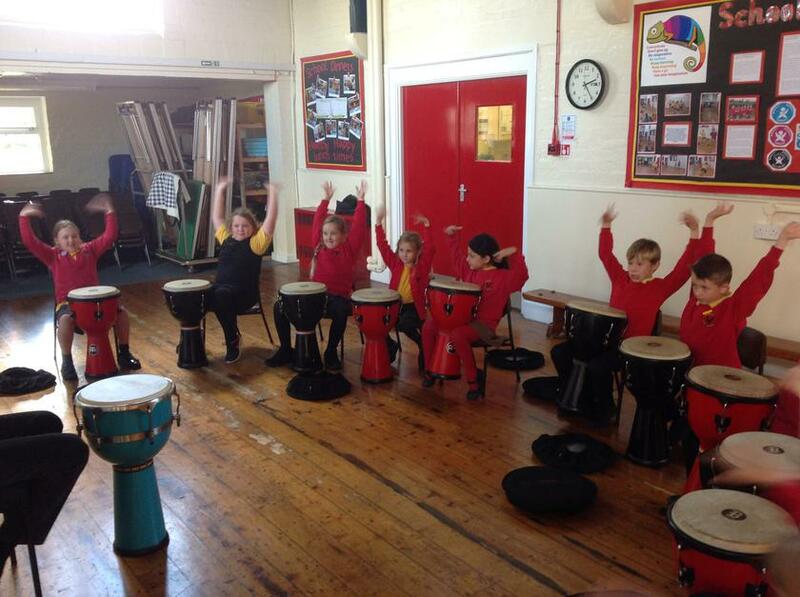 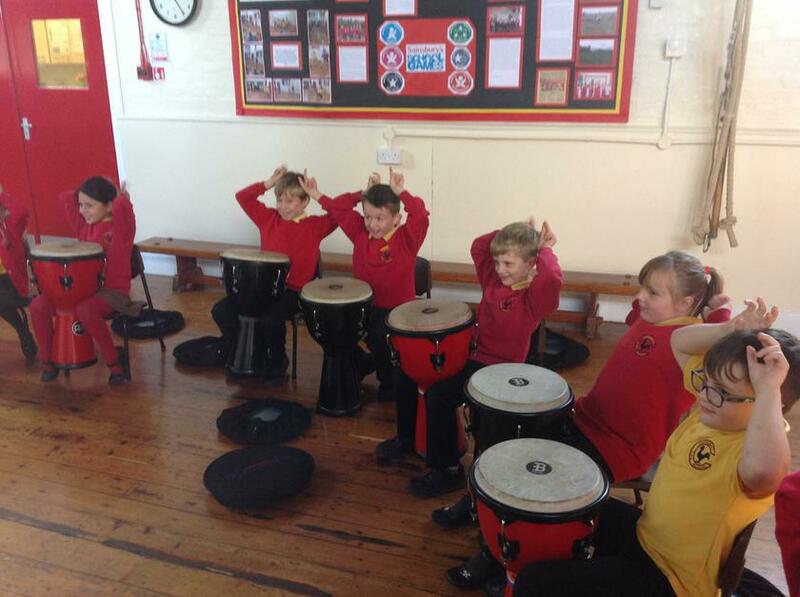 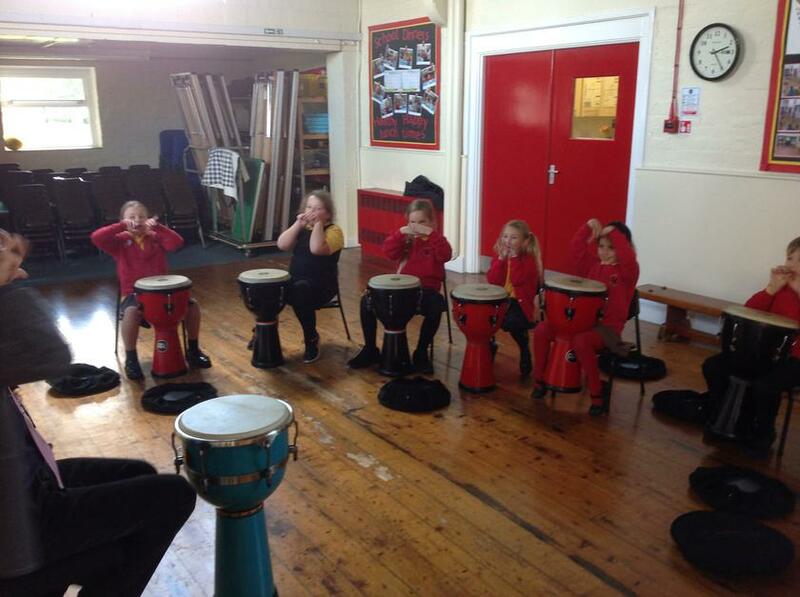 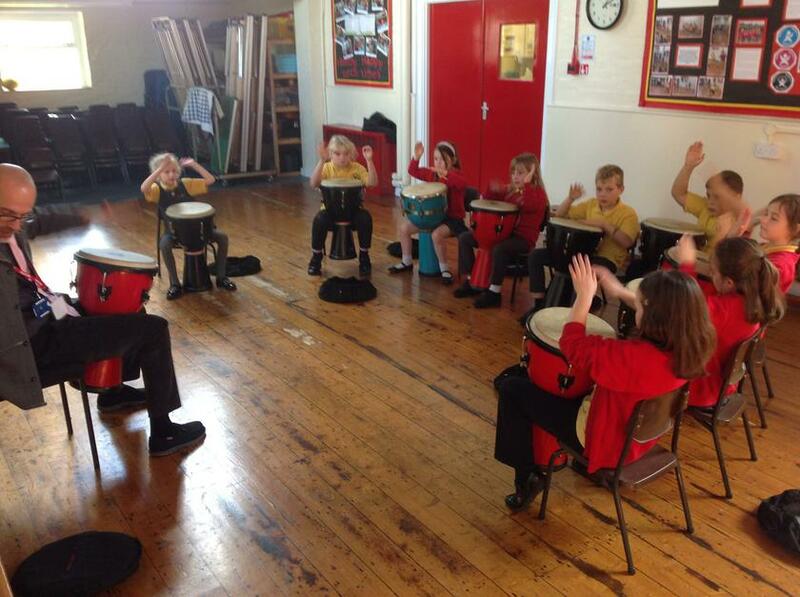 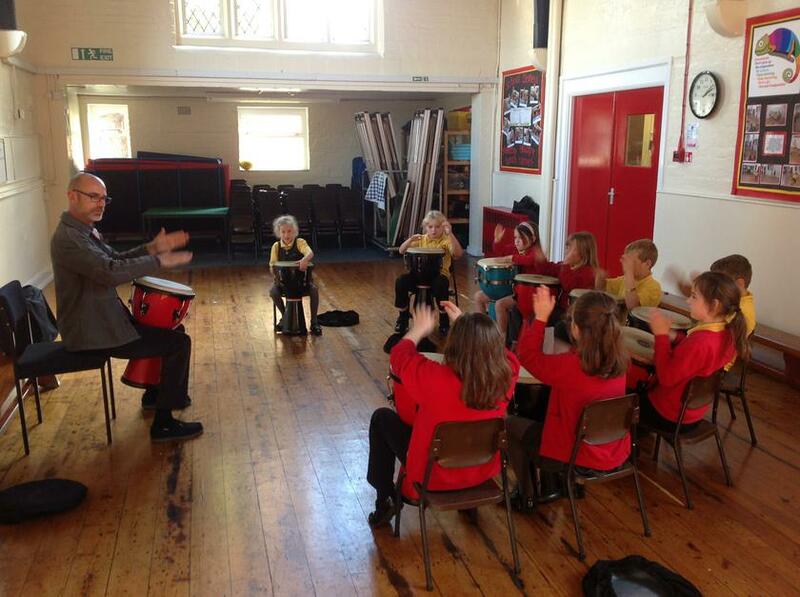 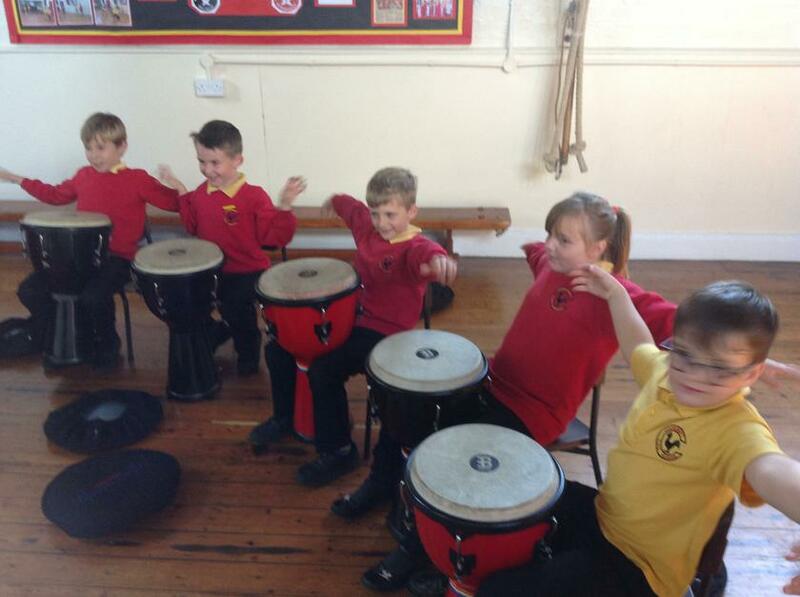 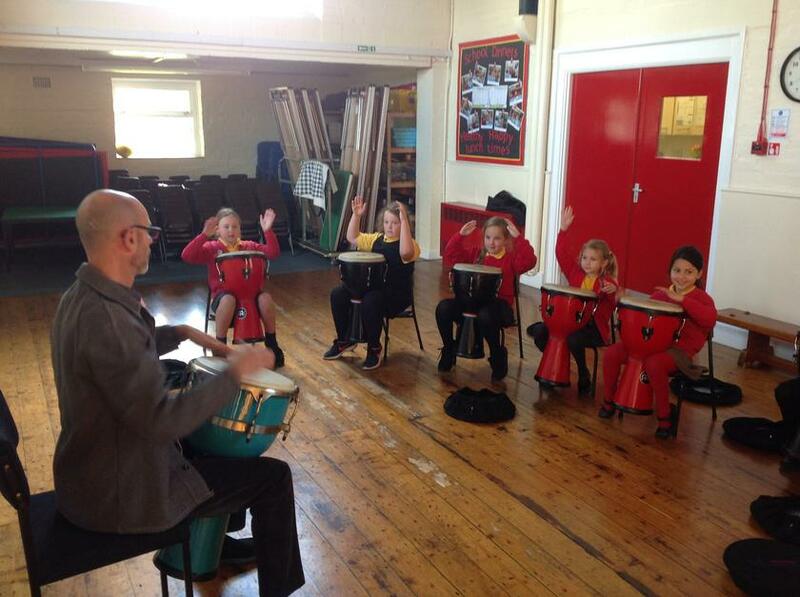 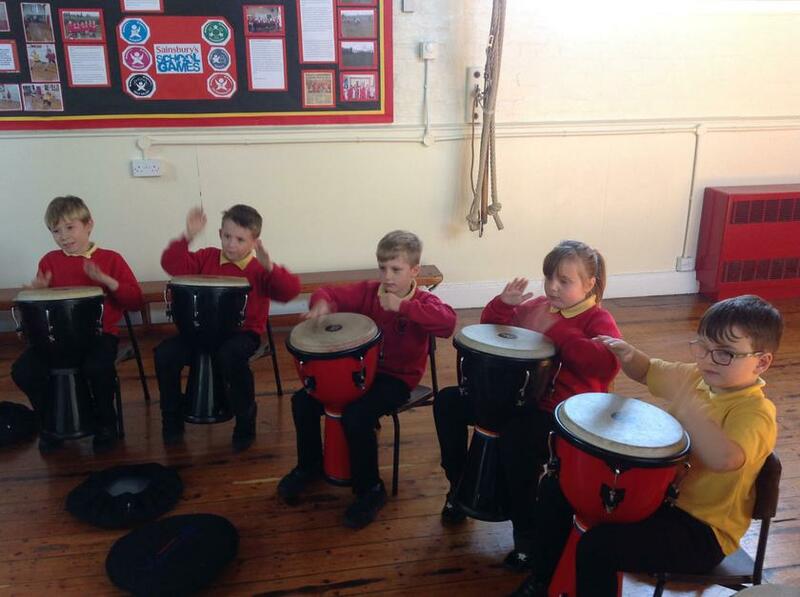 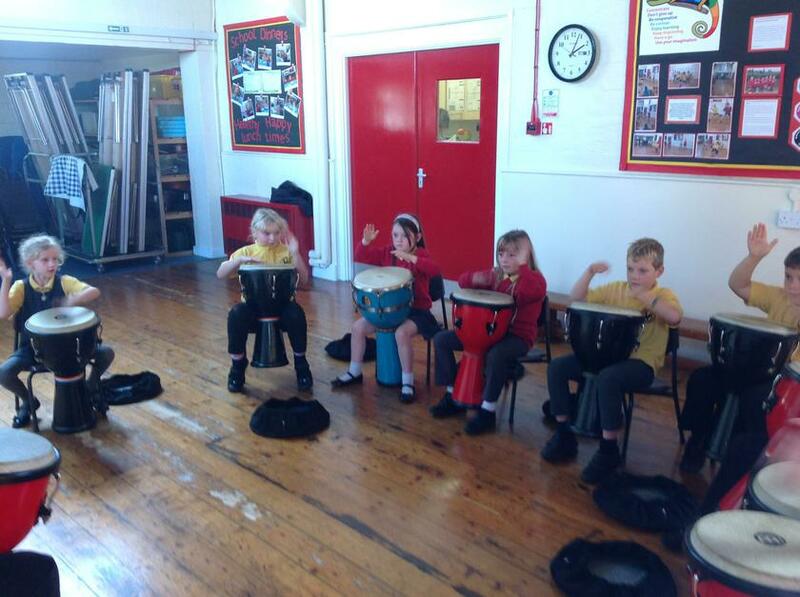 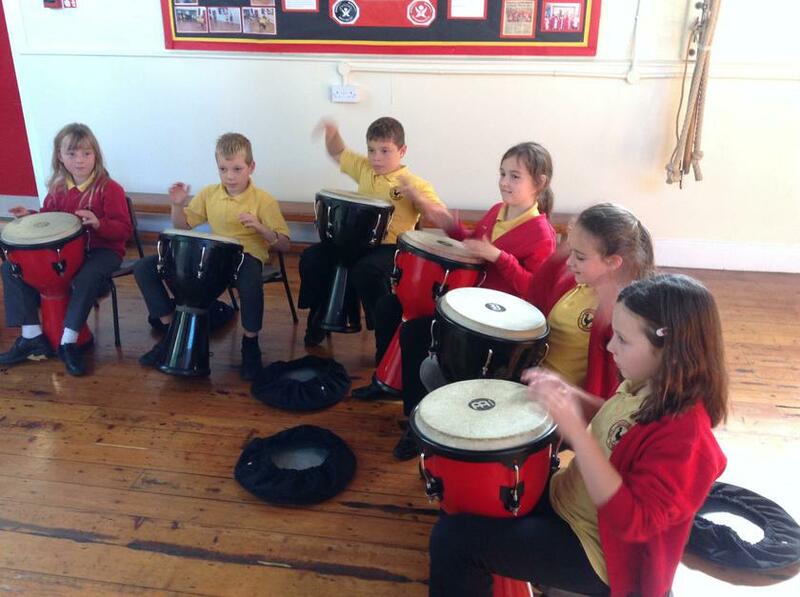 Ash class have been enjoying their weekly drumming lesson led by a music teacher. 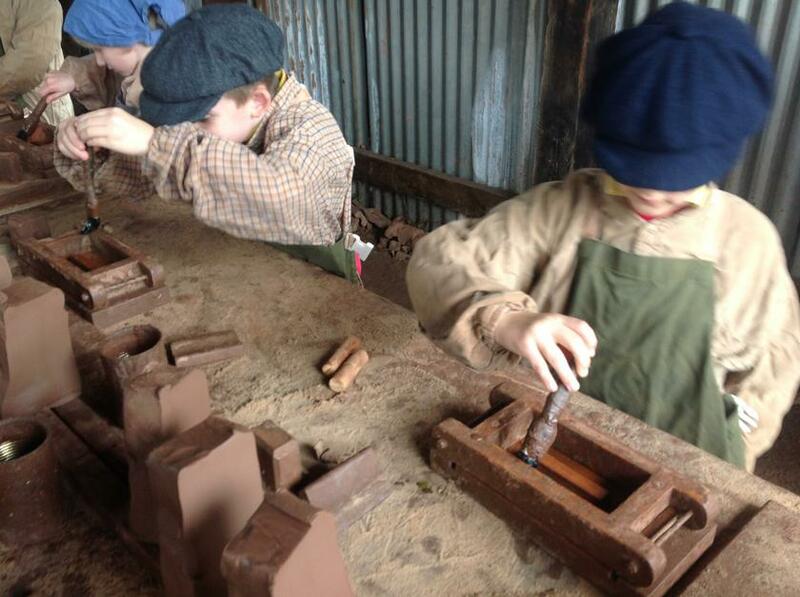 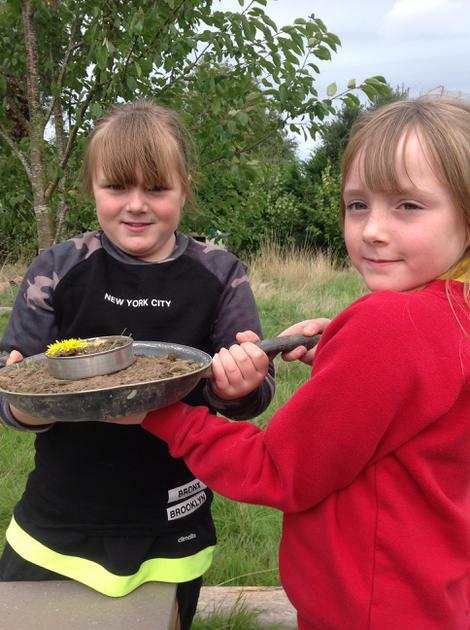 They are always very excited and look forward to chance to develop their skills. 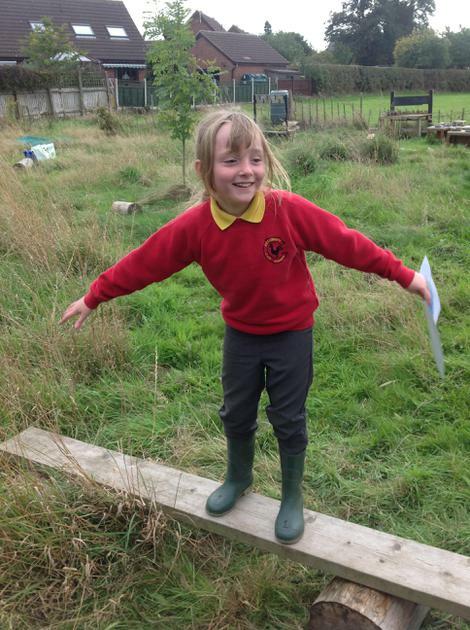 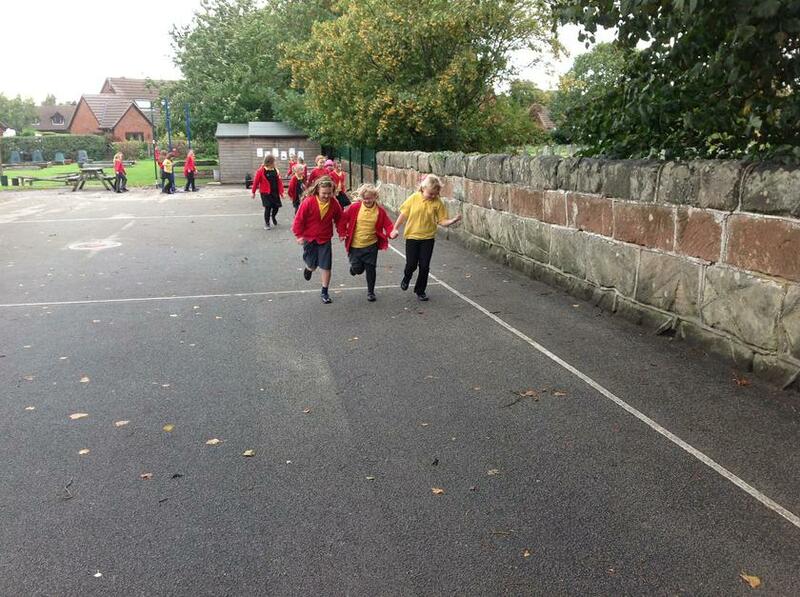 Each week they leave the lesson with a beaming smile and a spring in their step. 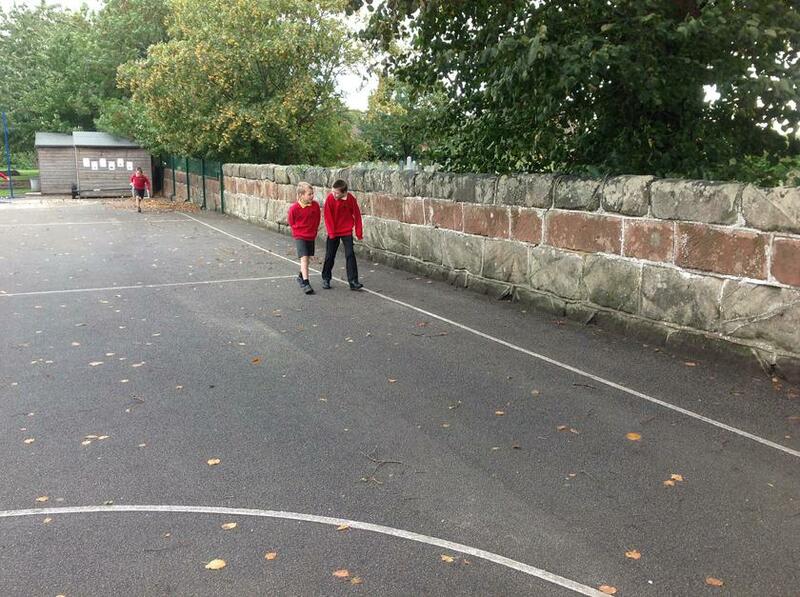 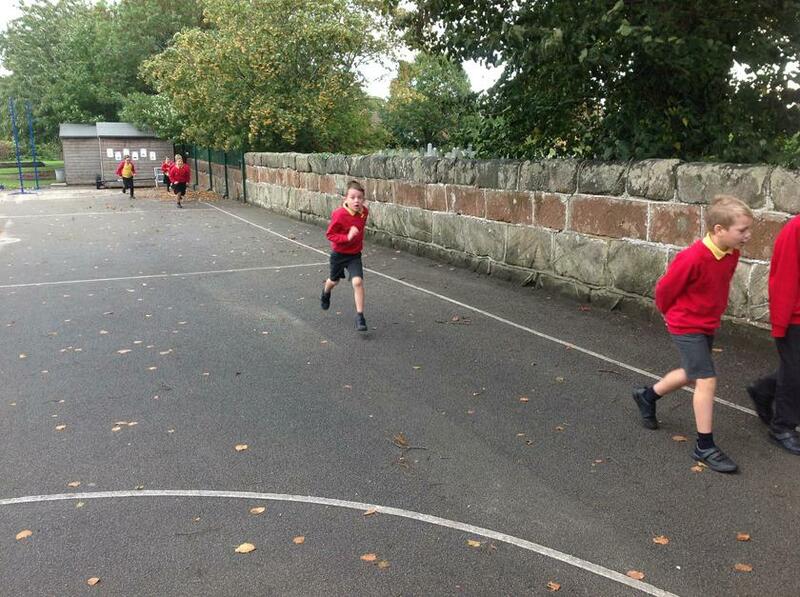 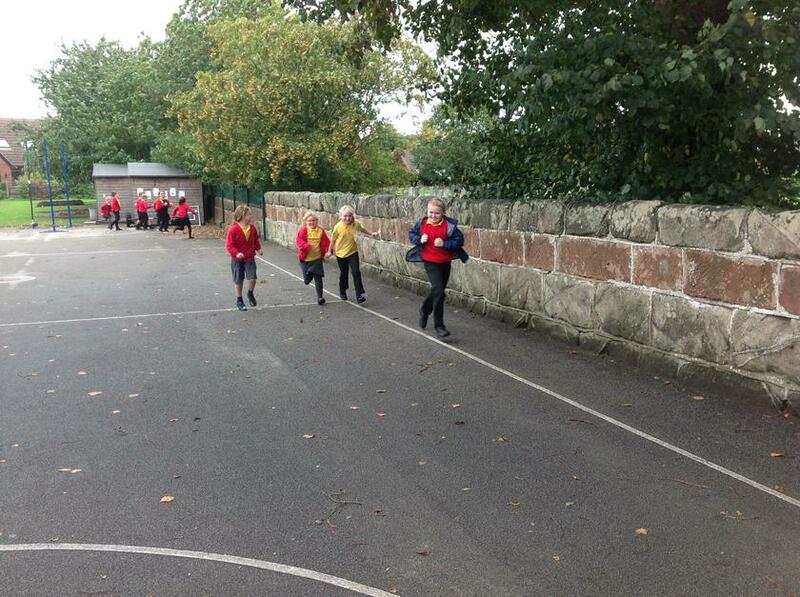 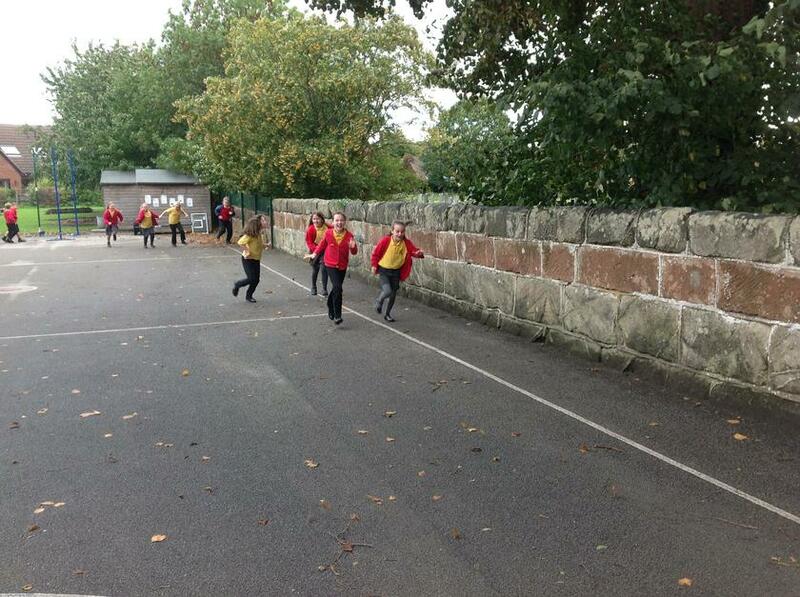 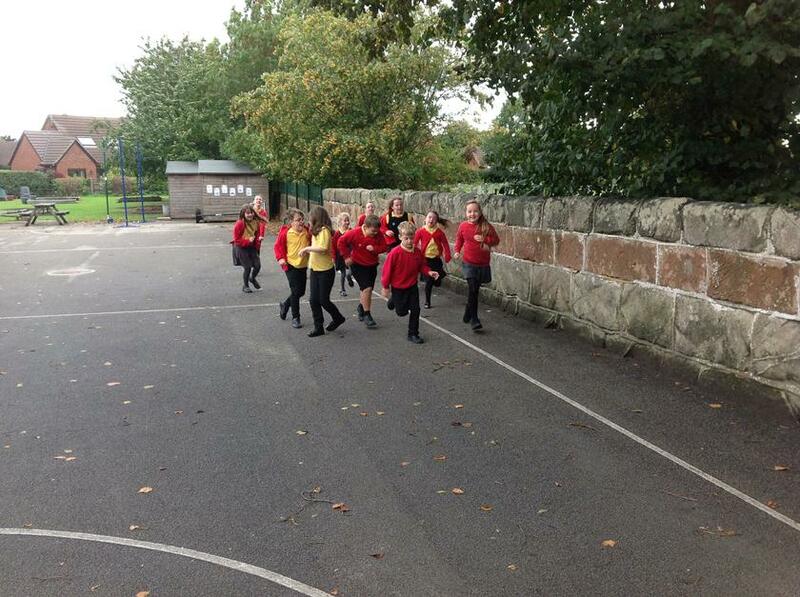 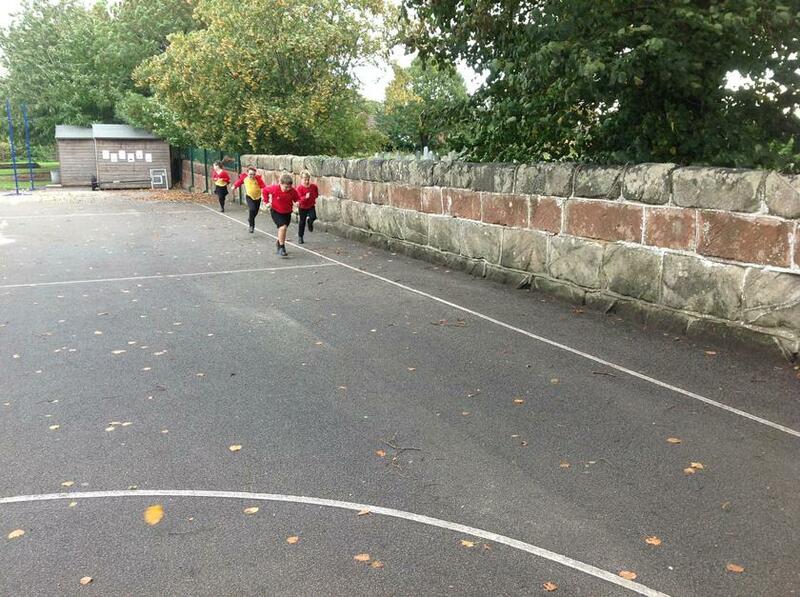 All of the children have been enthusiastically completing the daily mile. 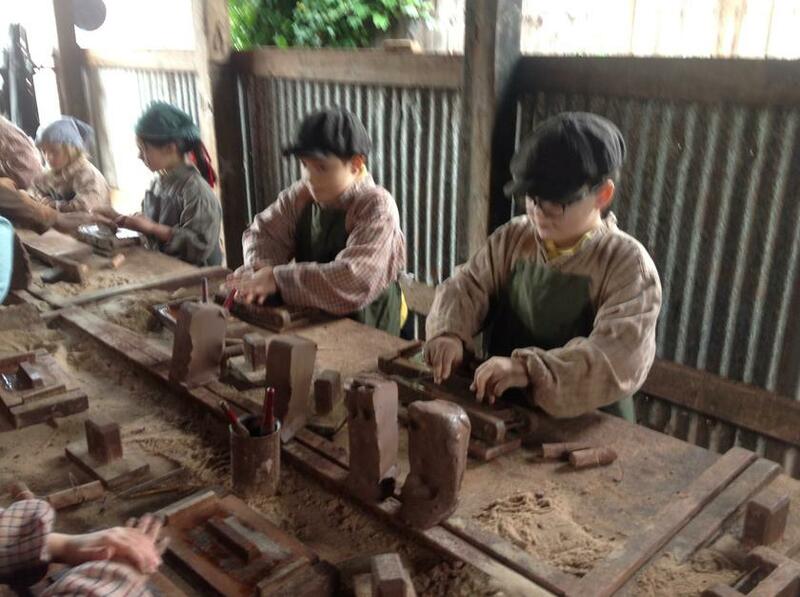 It is a fantastic opportunity to exercise, challenge ourself and be ready for our learning. 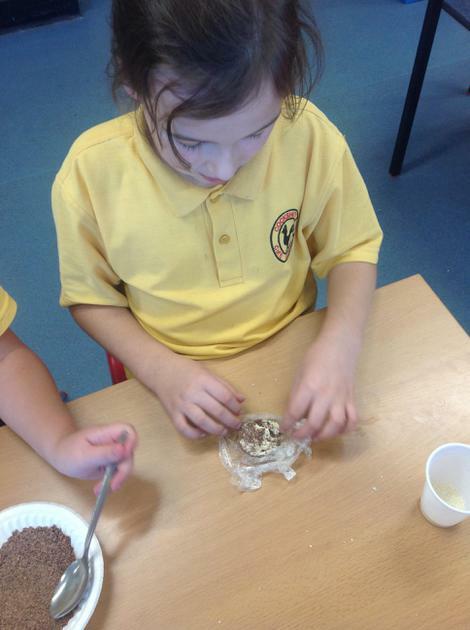 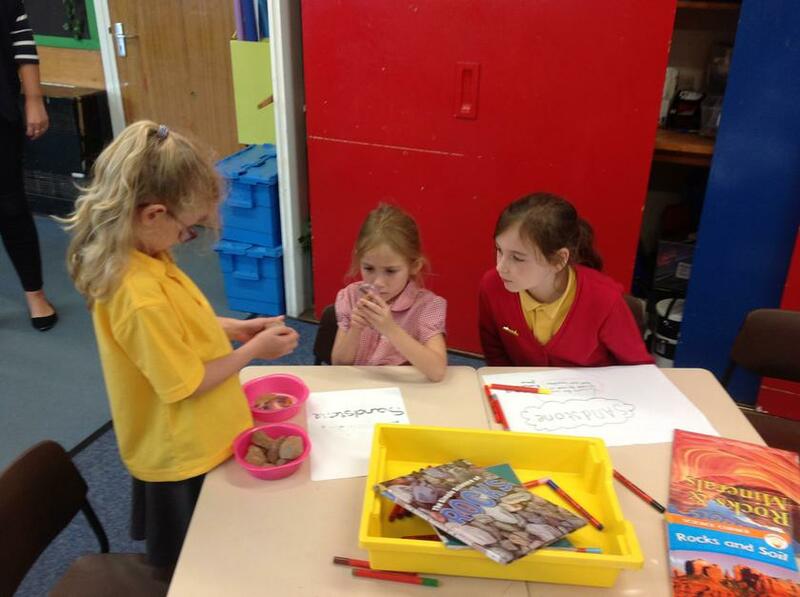 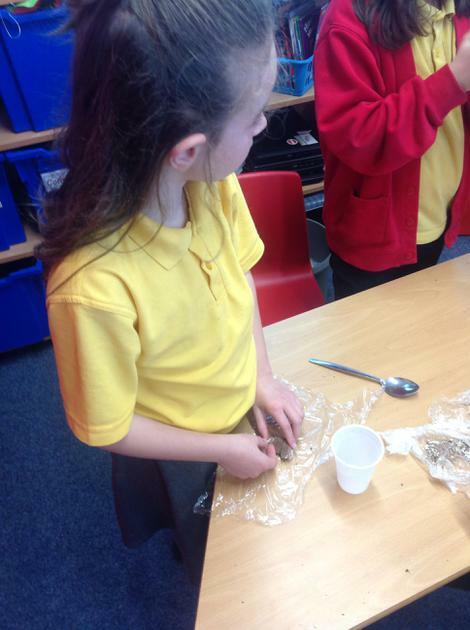 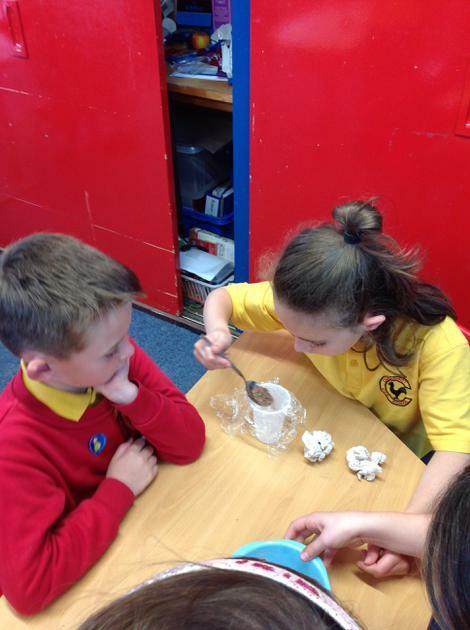 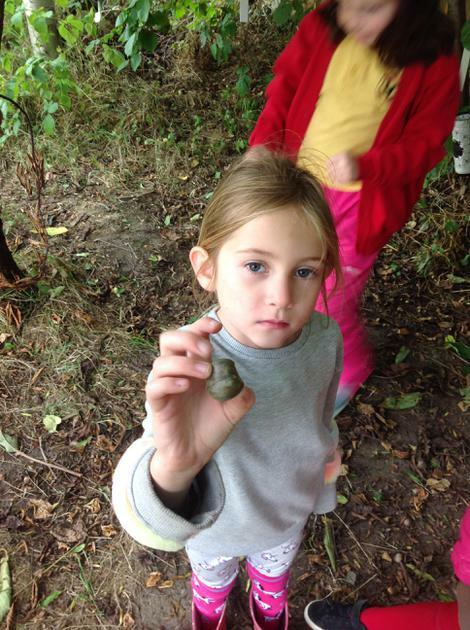 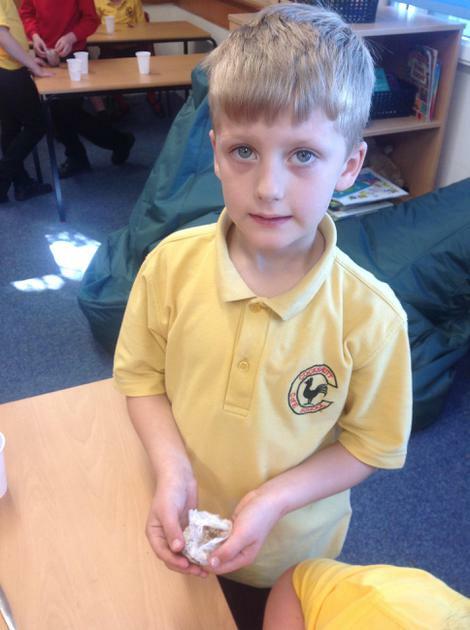 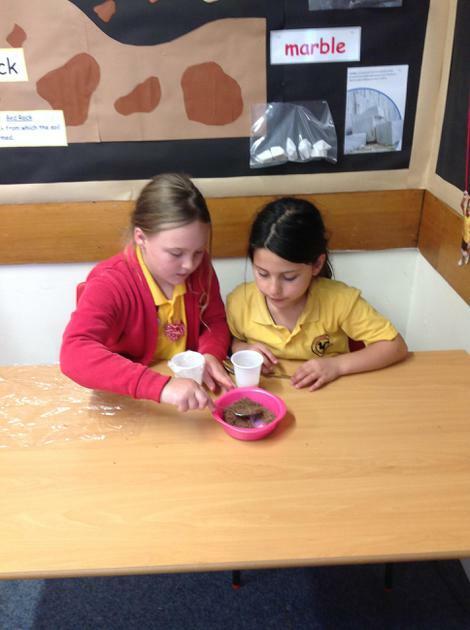 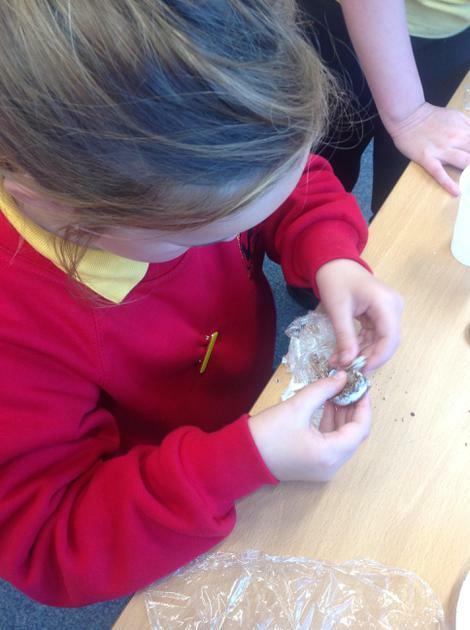 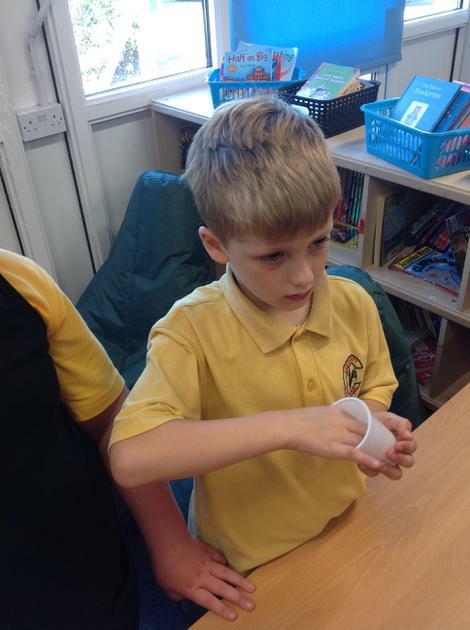 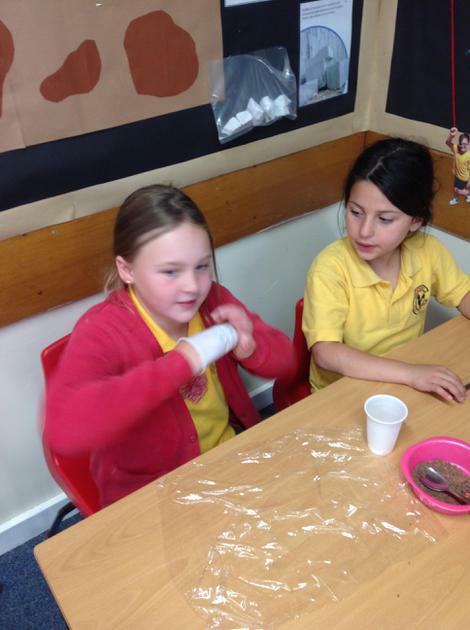 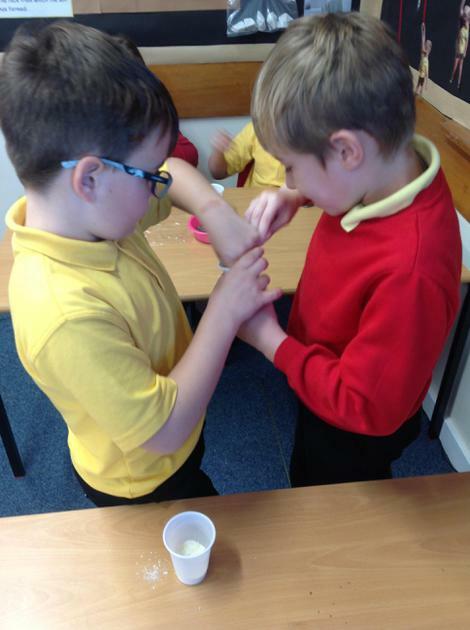 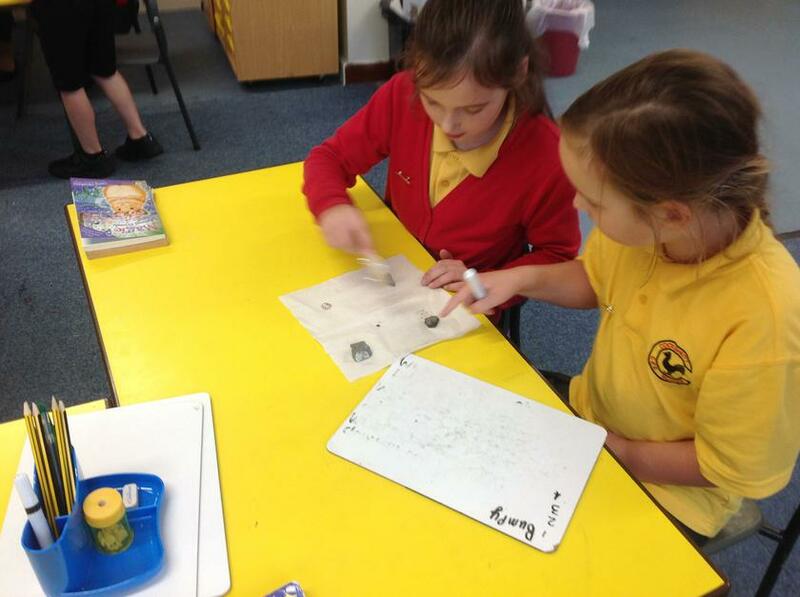 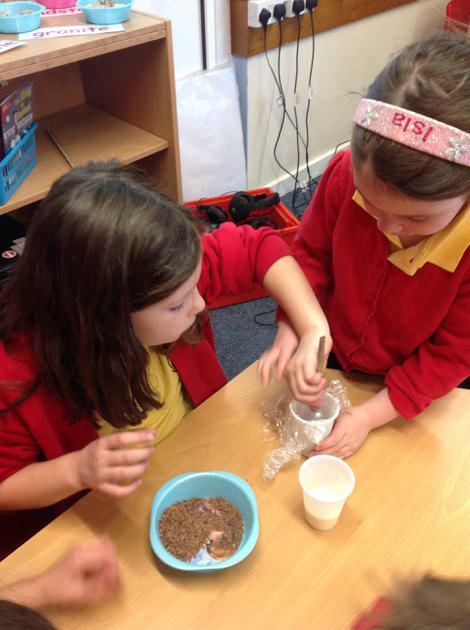 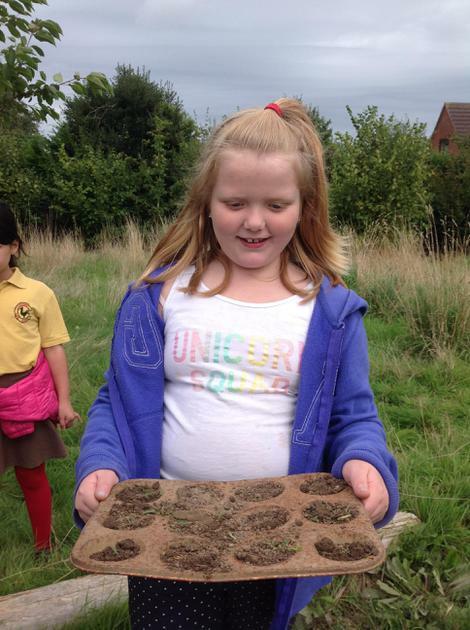 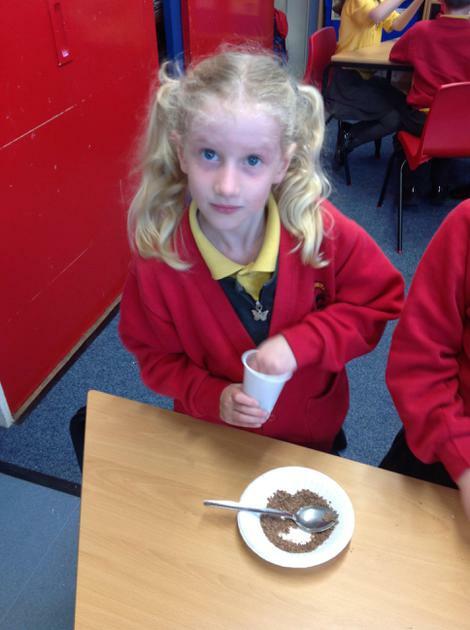 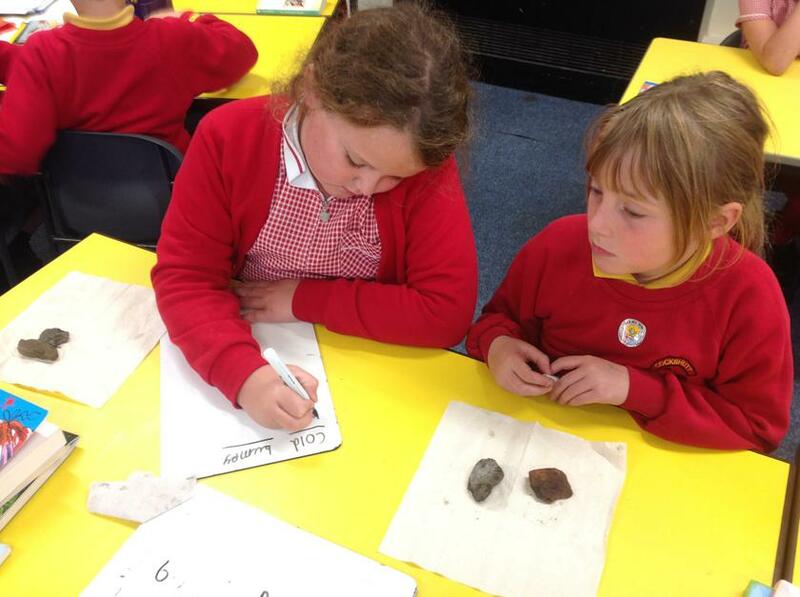 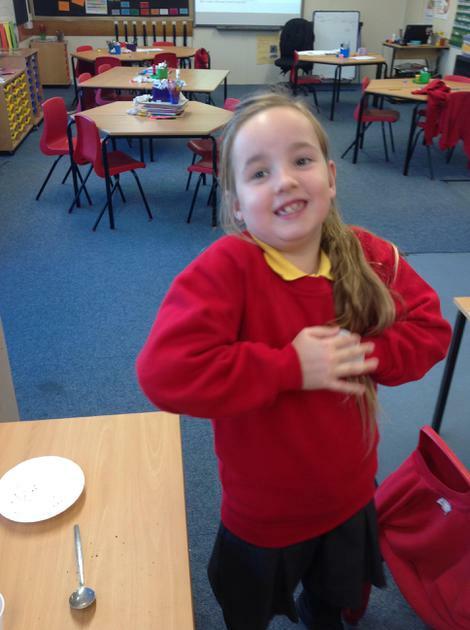 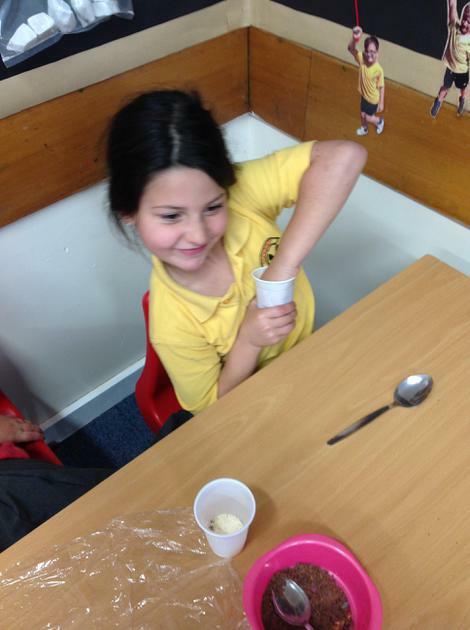 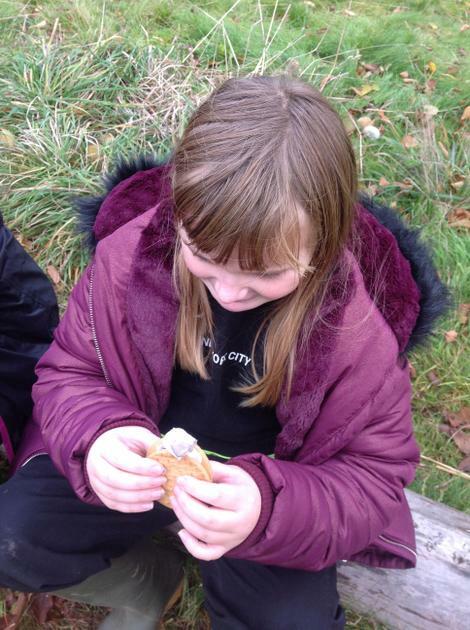 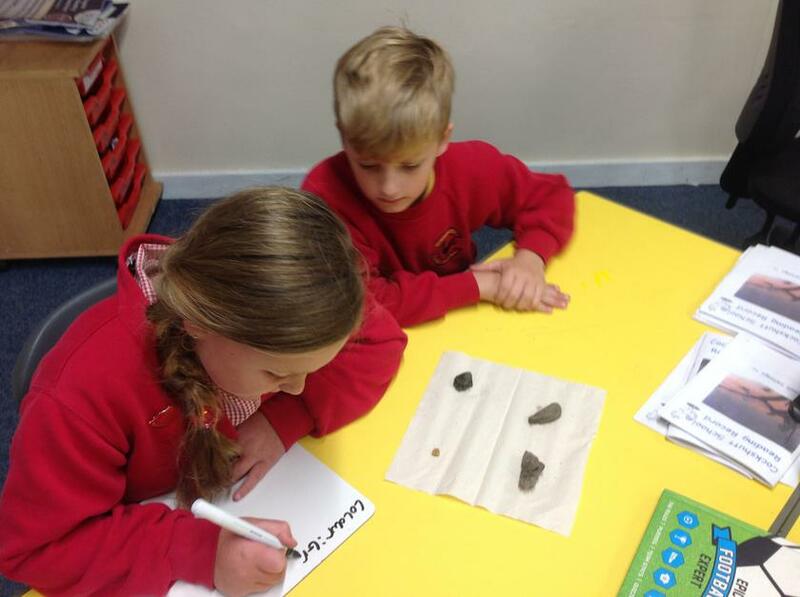 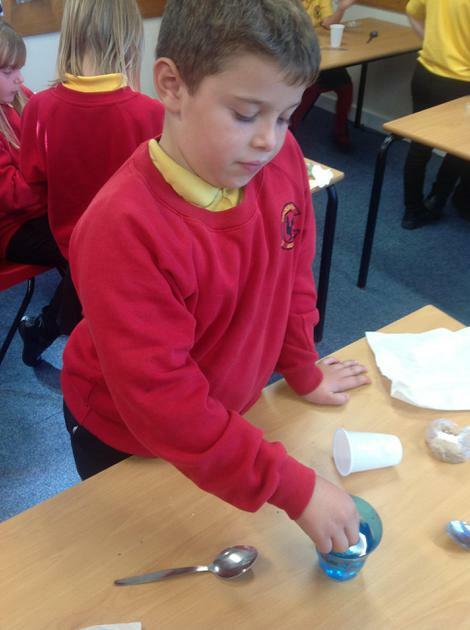 Ash class have been learning about different types of rocks in science. 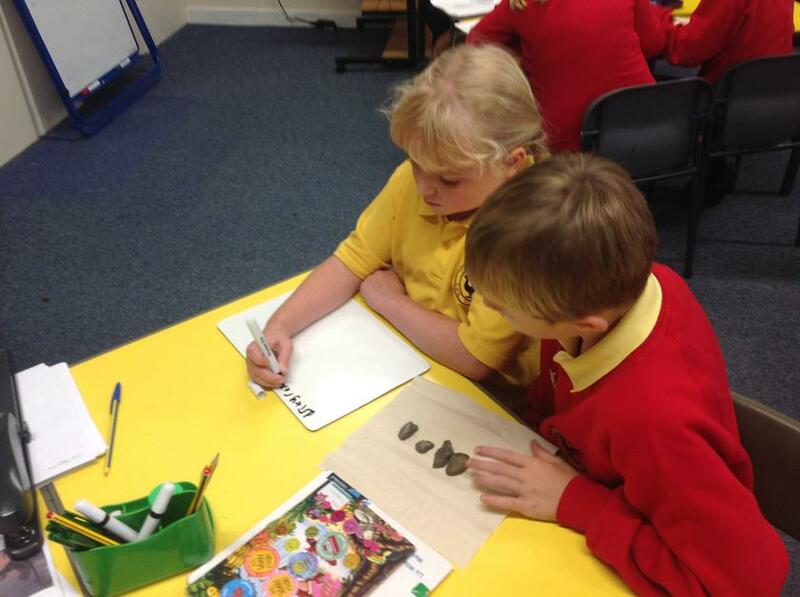 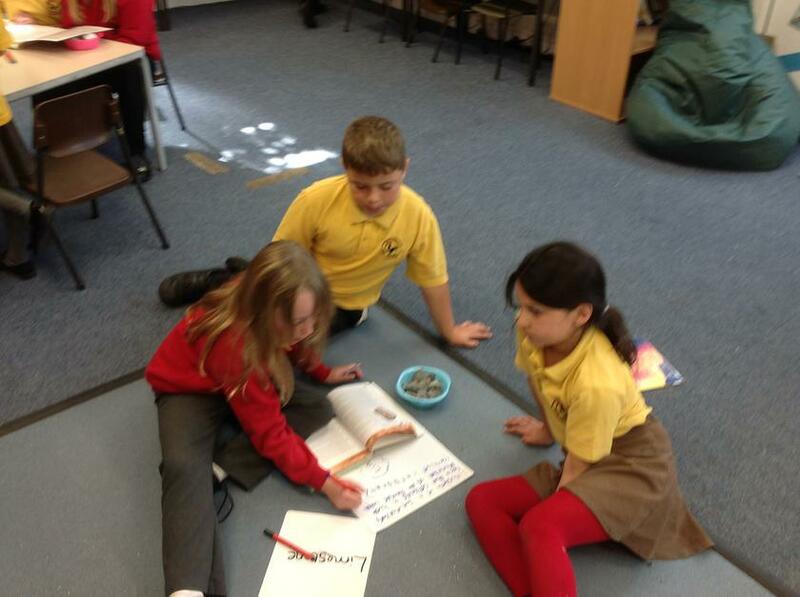 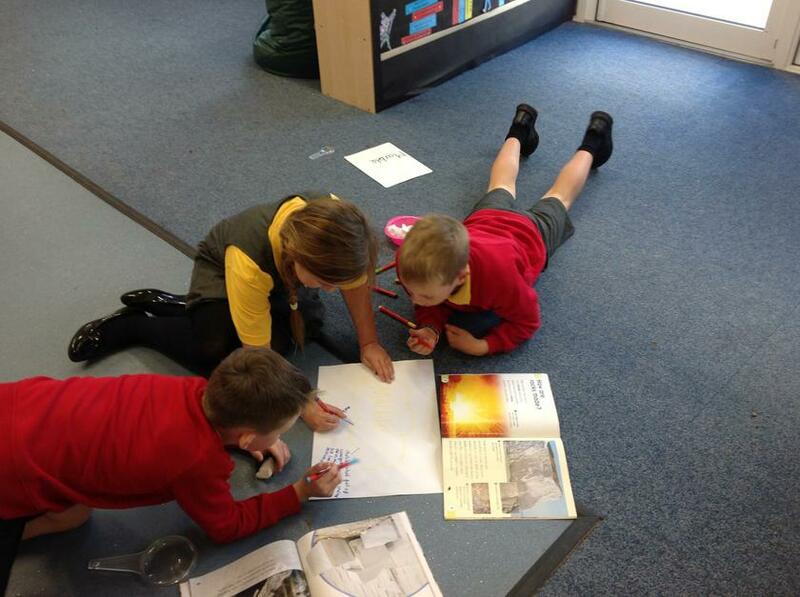 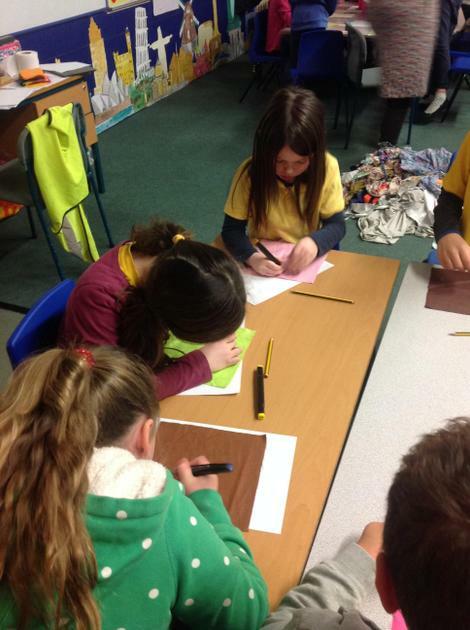 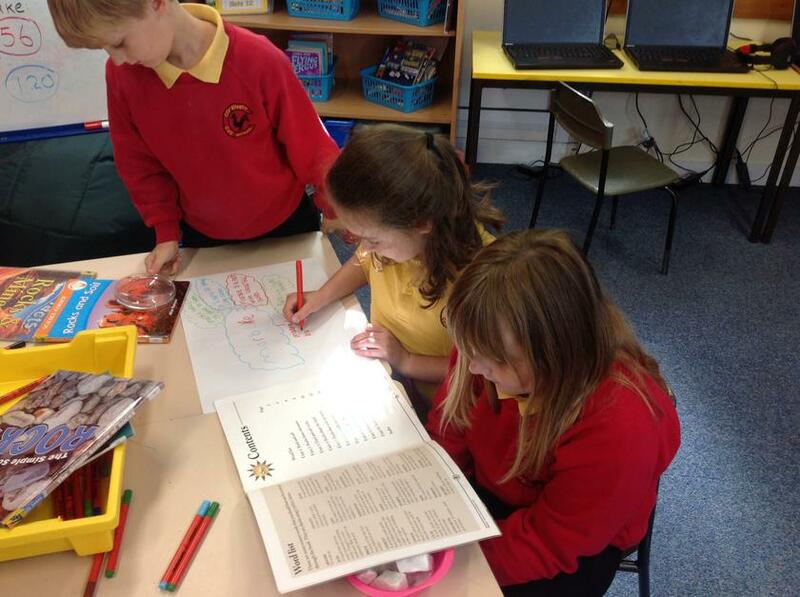 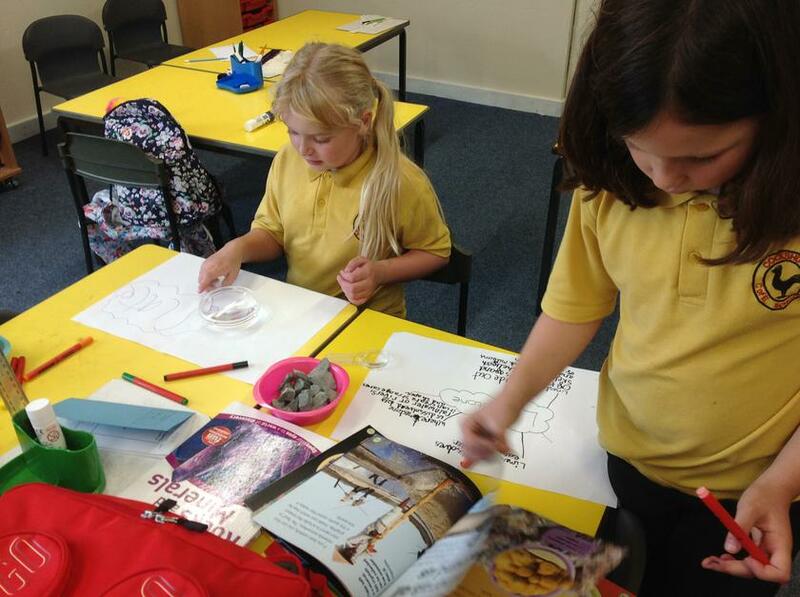 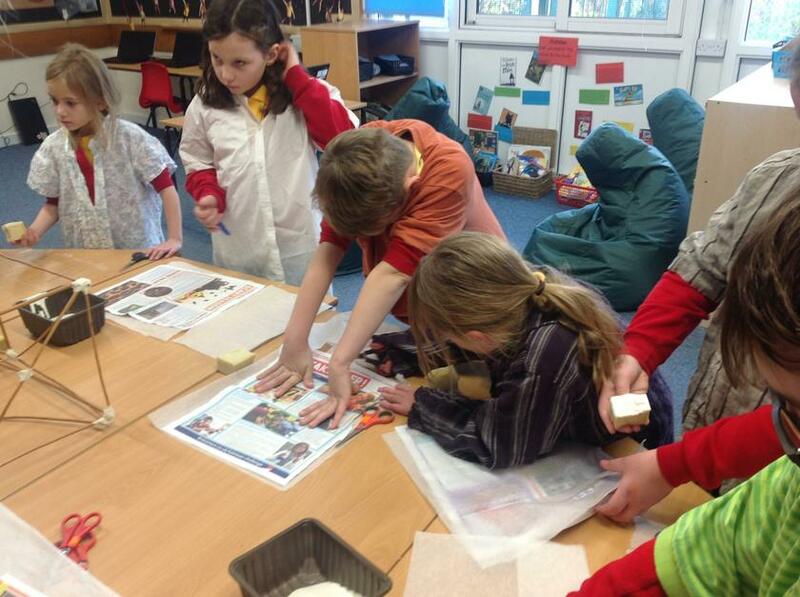 We looked at granite, sandstone, marble, slate and limestone and researched their features to create a poster.